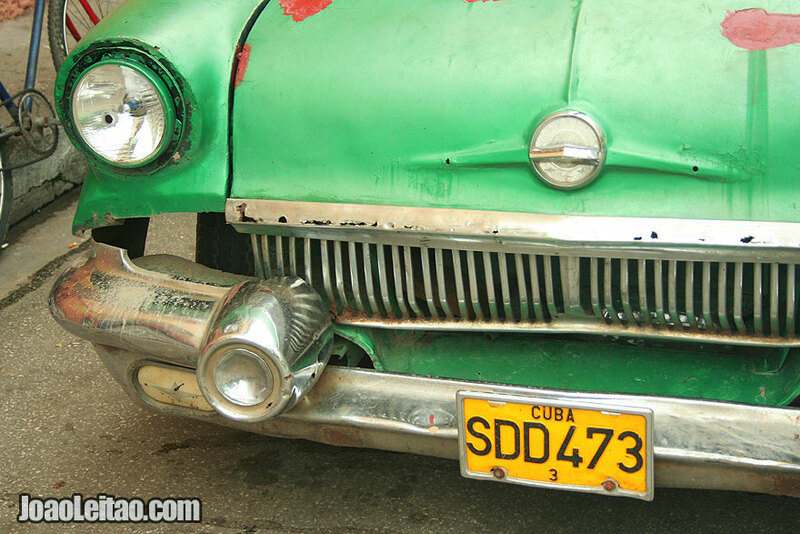 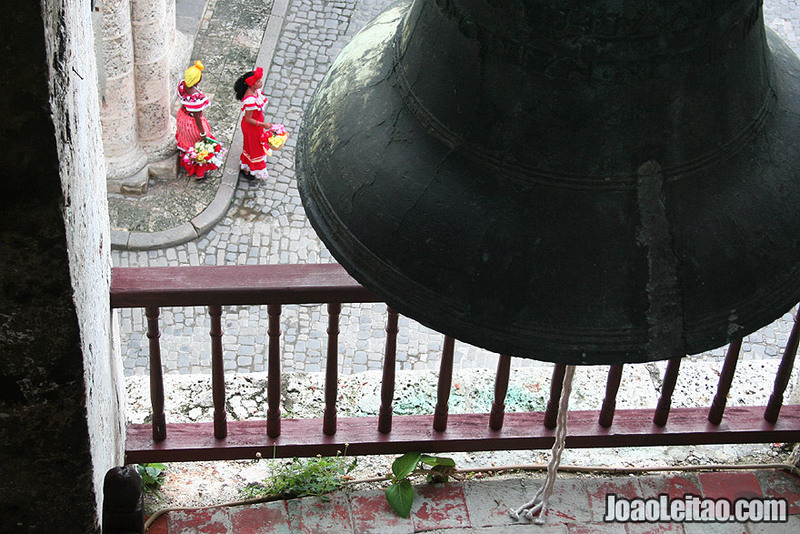 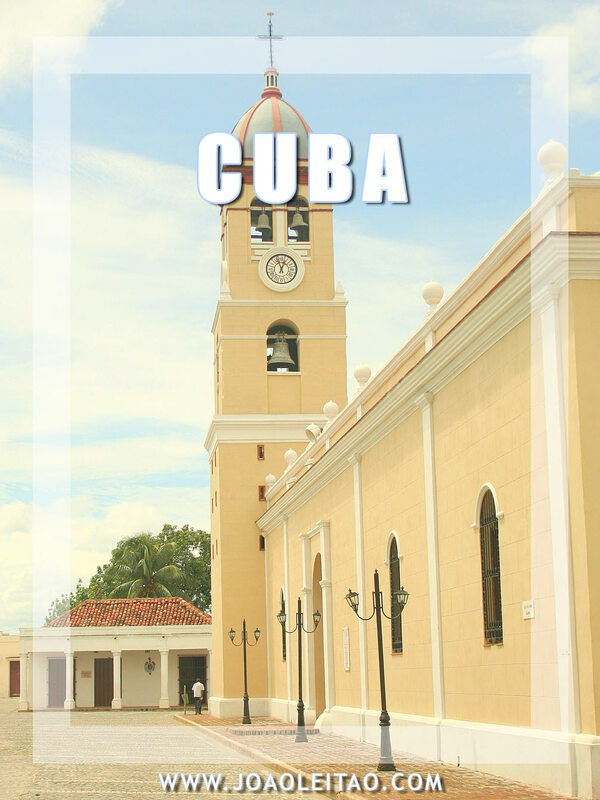 Cuba is a fascinating country with a cheerful and interesting culture. 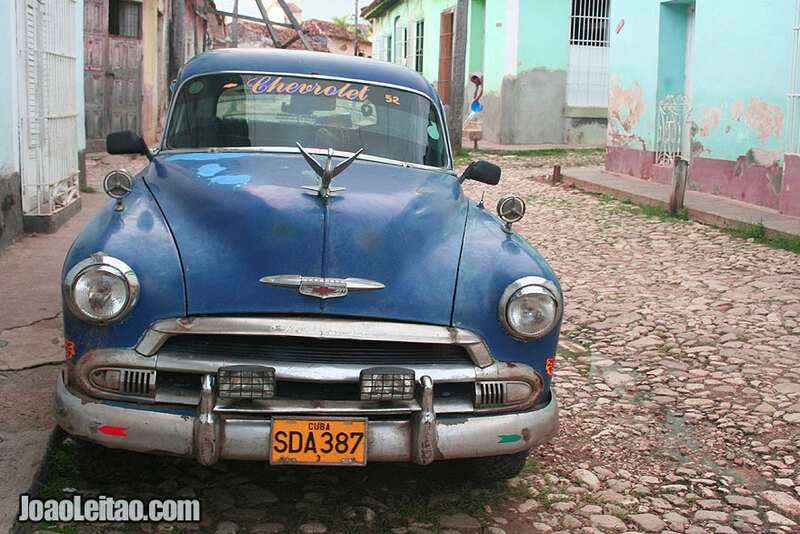 A trip to Cuba will be engraved in your memory forever. 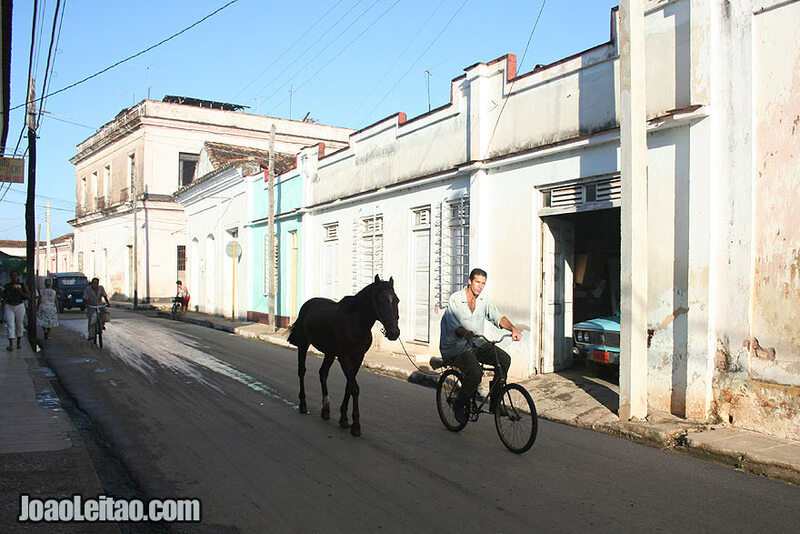 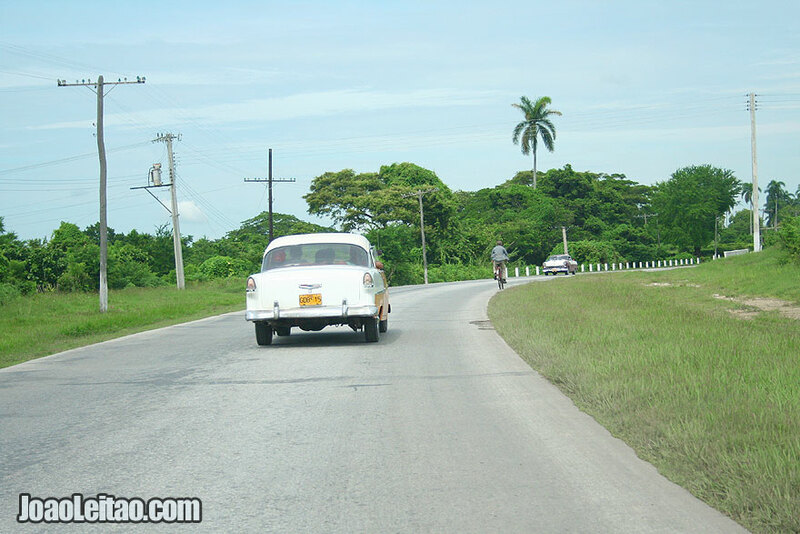 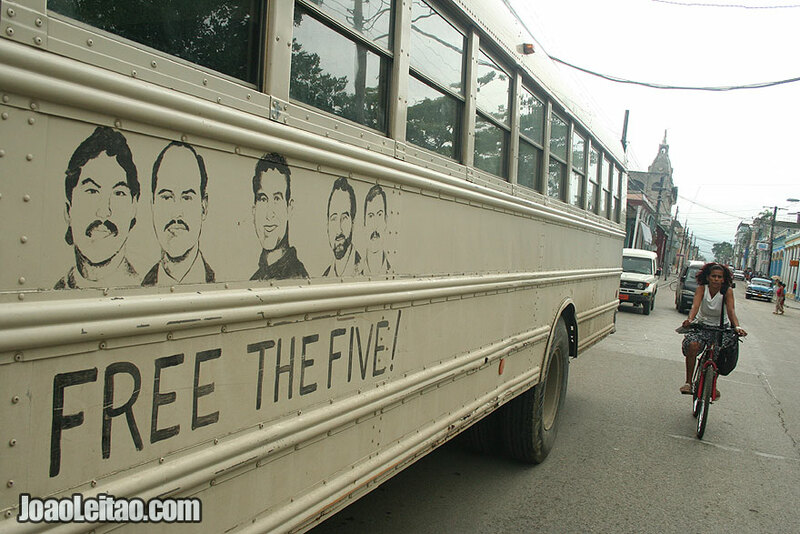 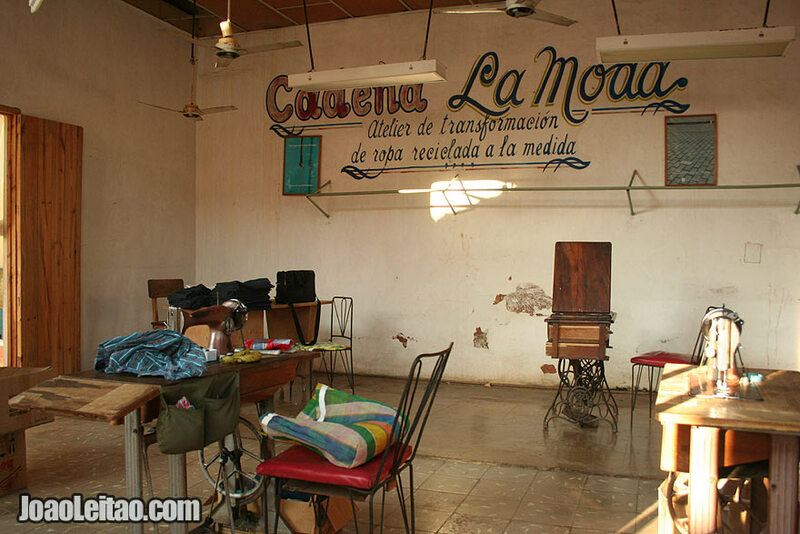 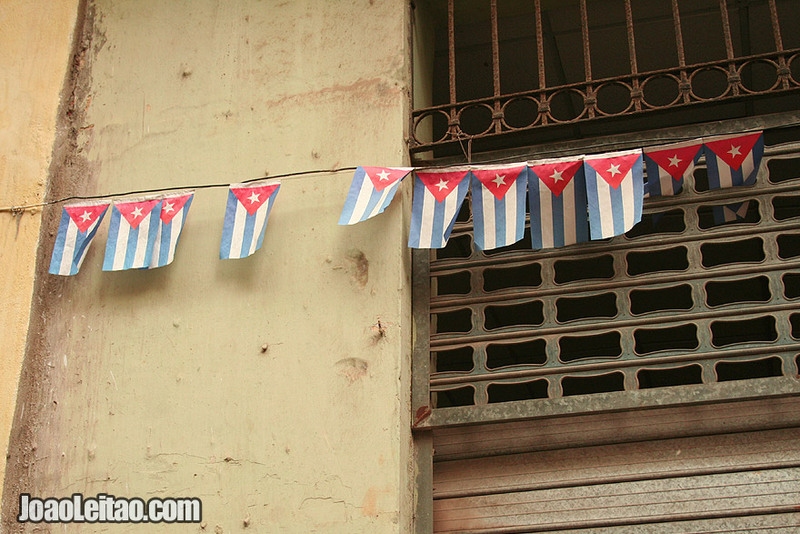 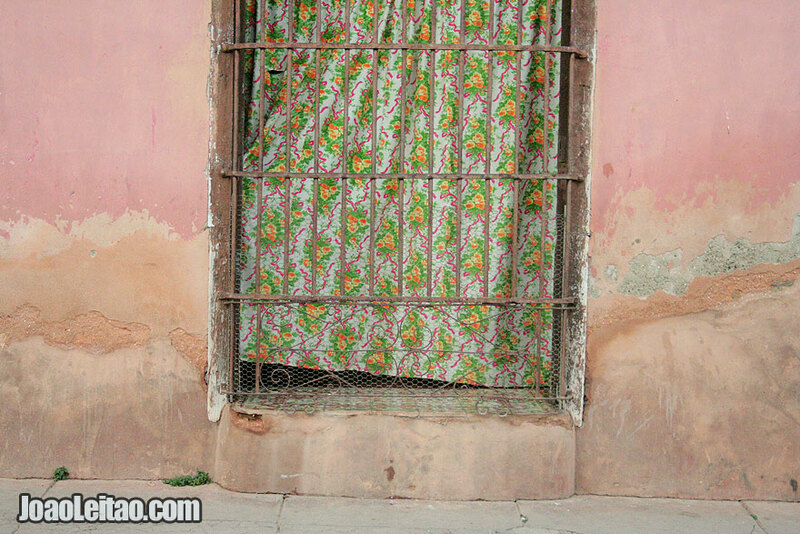 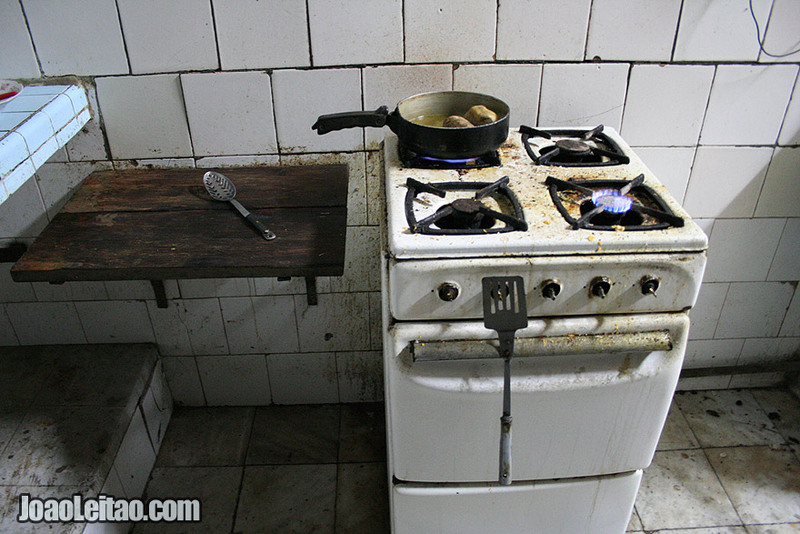 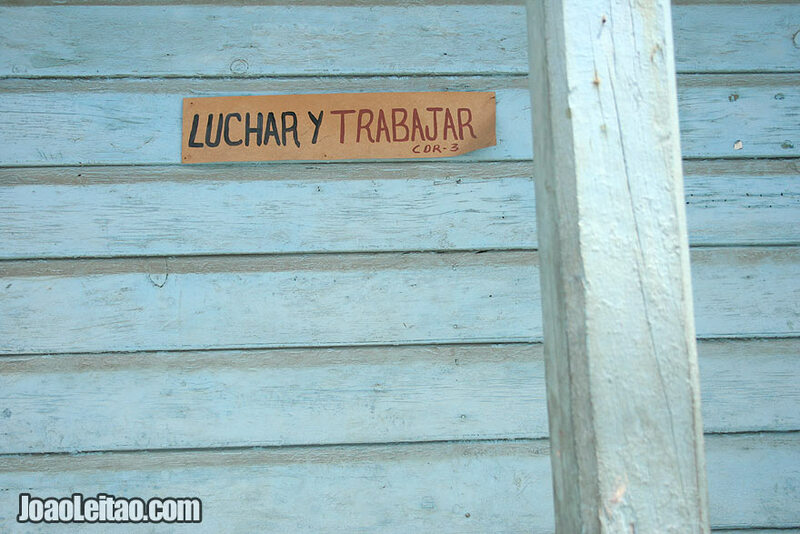 Cuba is an easy country to travel, people are friendly and you can safely move around everywhere all by yourself. 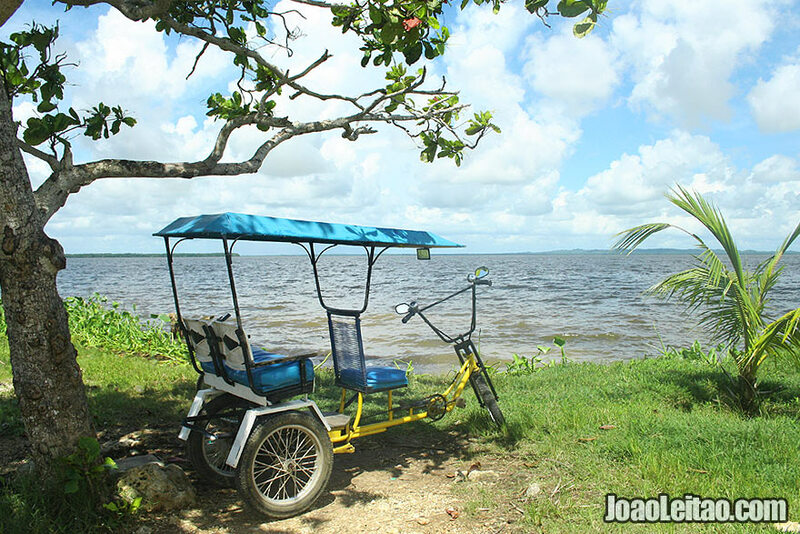 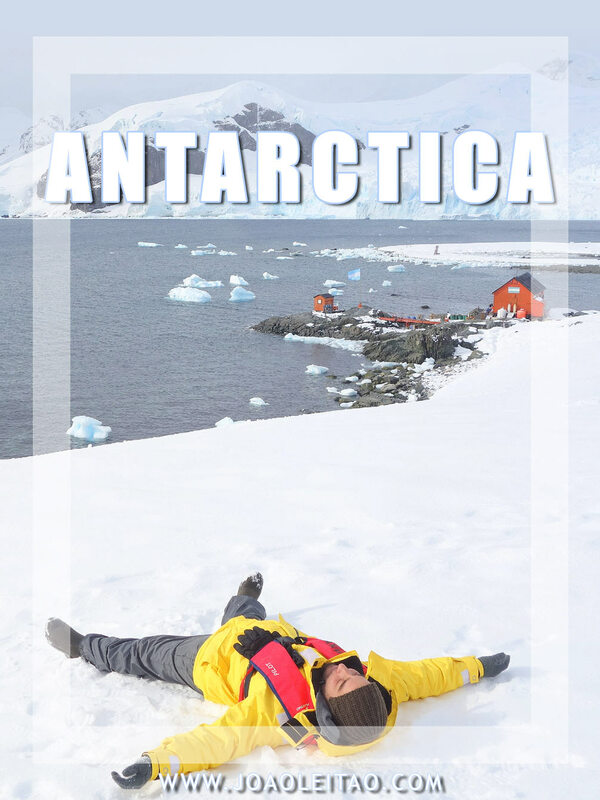 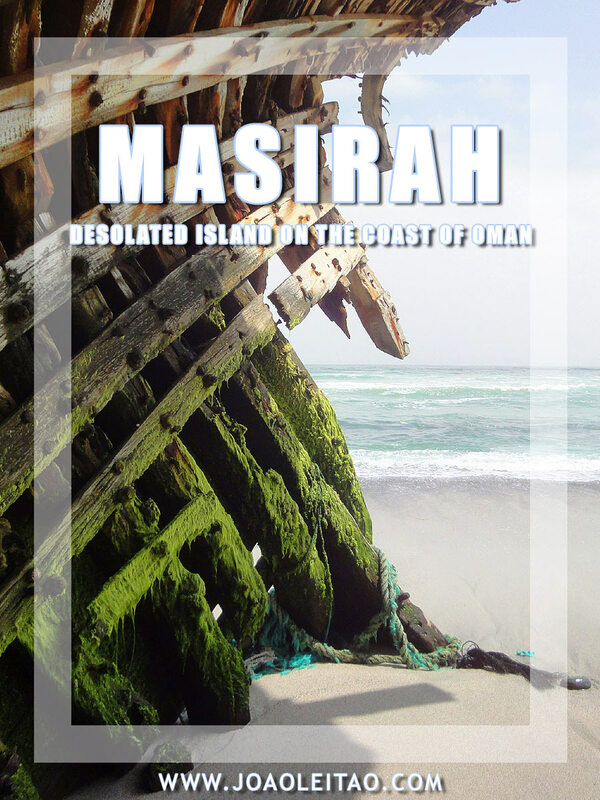 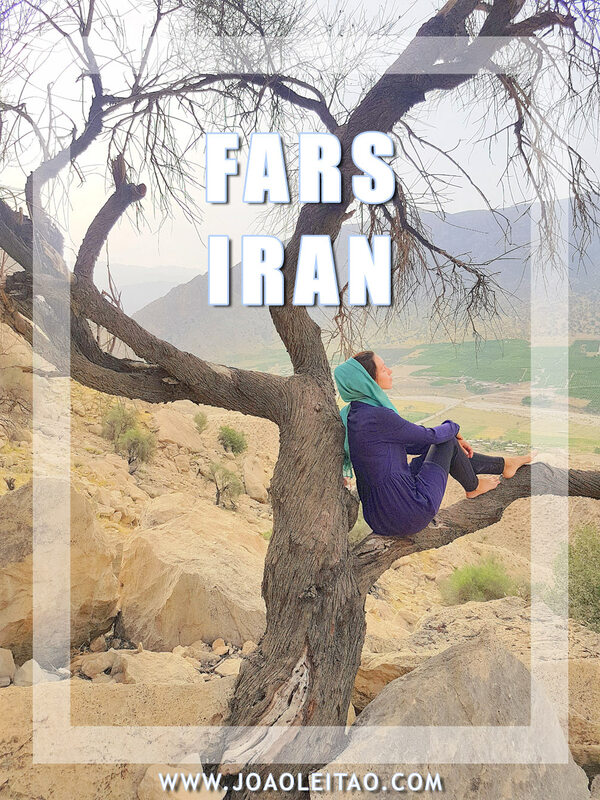 I had the opportunity to travel around the island for a month and explore a bit of all its more touristic places as well as its secret spots. 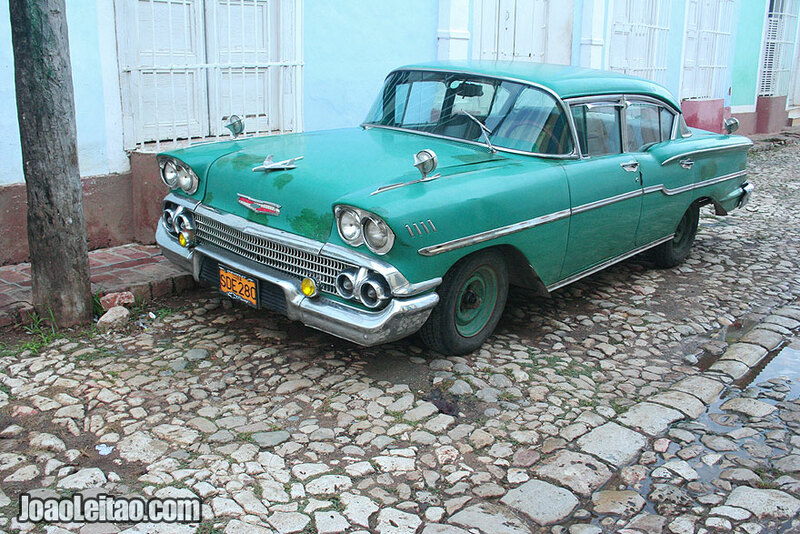 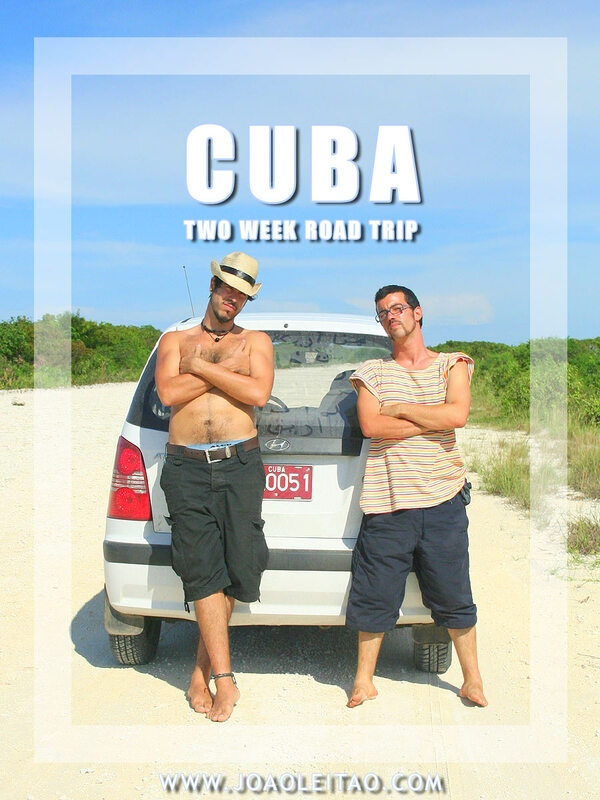 Basically I drove around the island on a rent-a-car, visiting Cuba best destinations including the most remote beaches and villages. 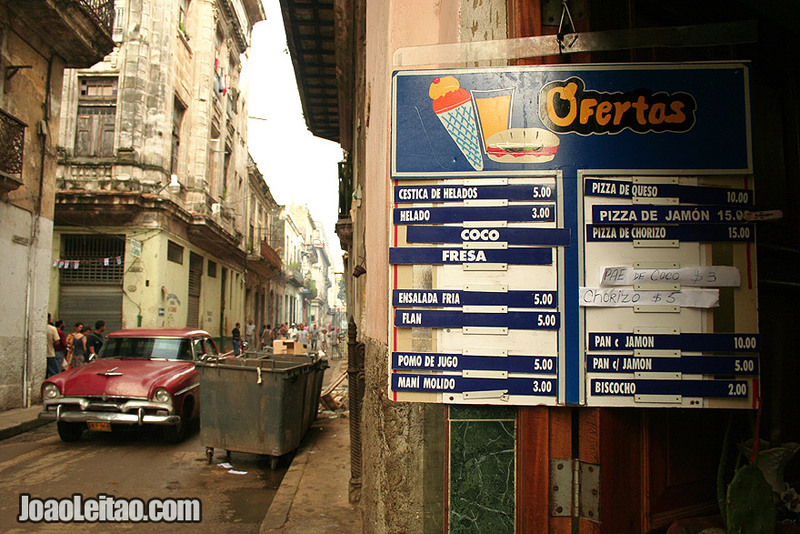 I advise everyone to visit Cuba, and experience an unique travel destination. 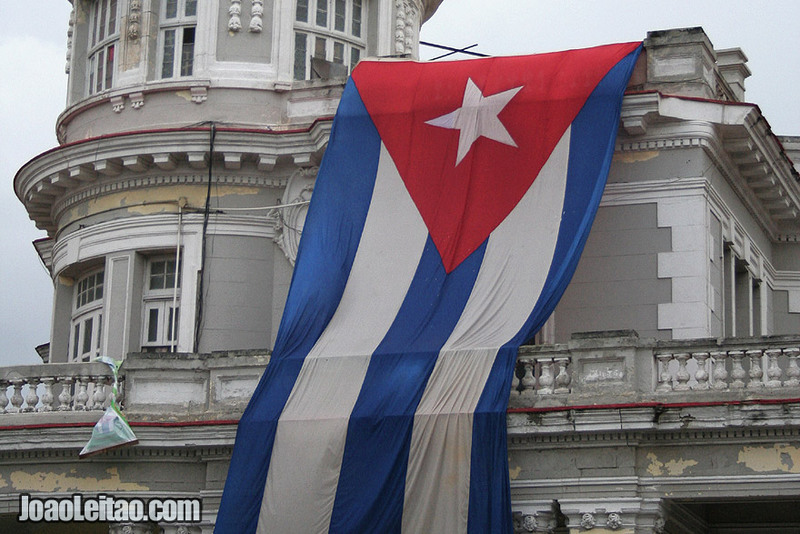 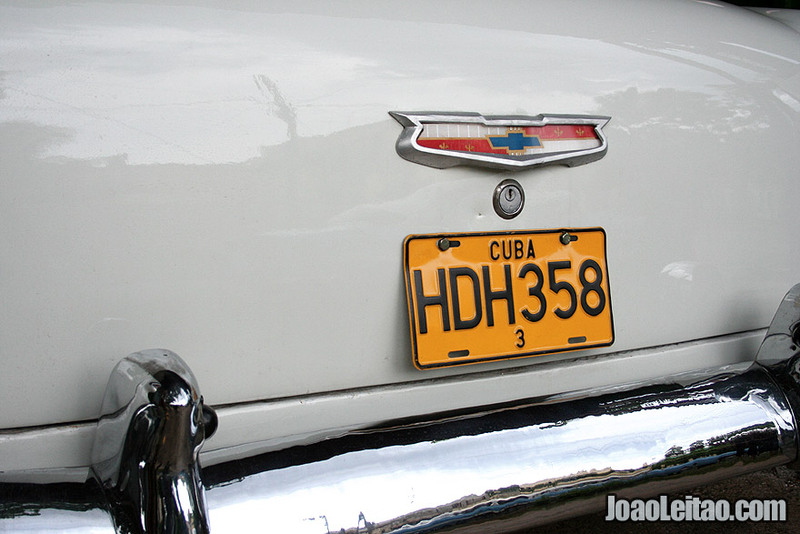 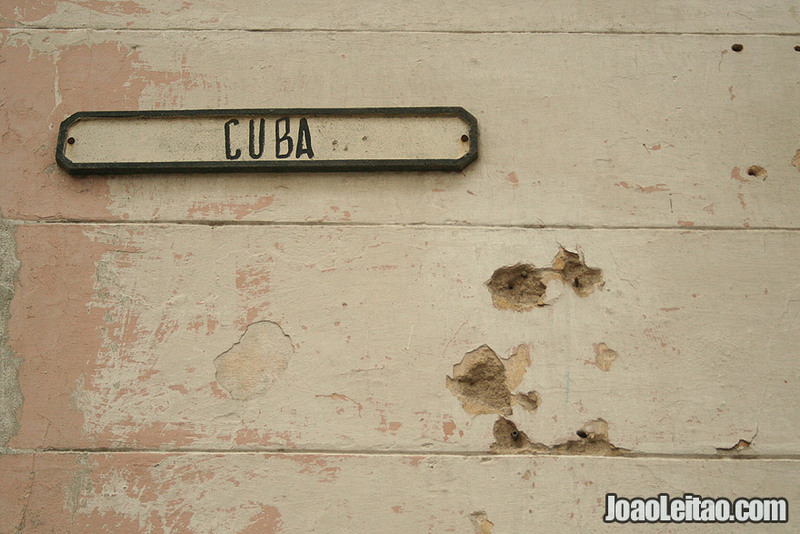 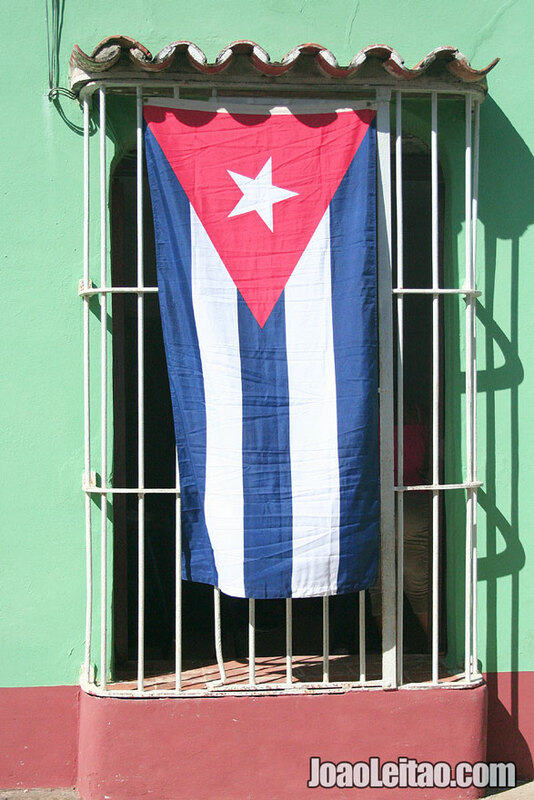 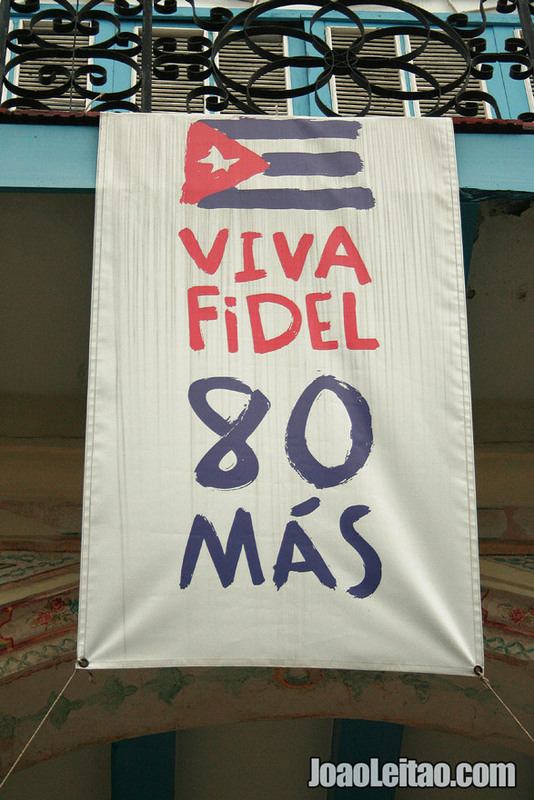 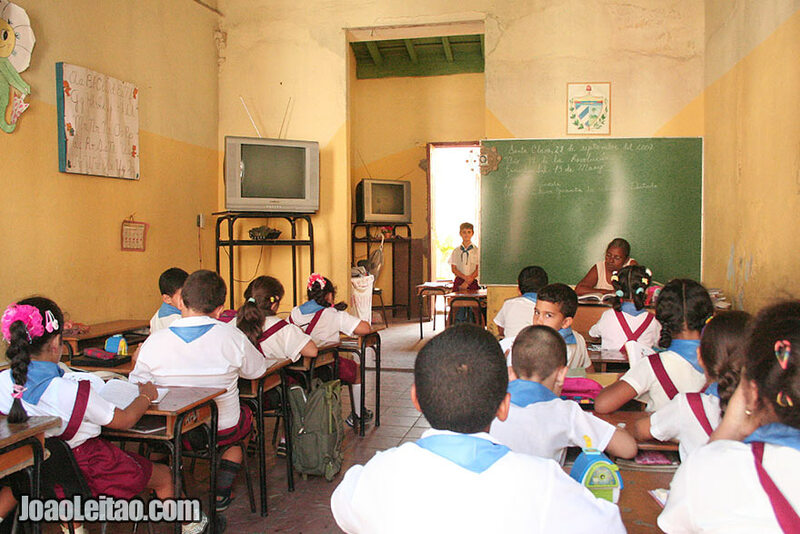 It seems, due to recent political changes, that Cuba is turning out to be gradually different from what it used to be. 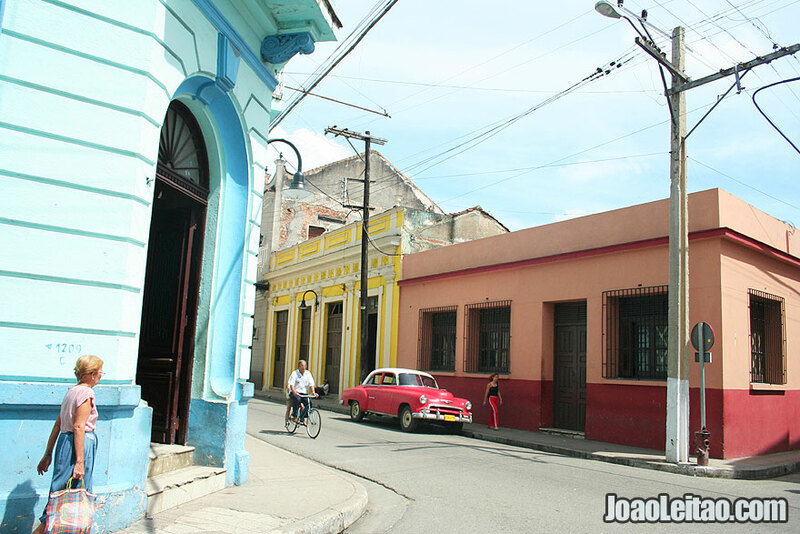 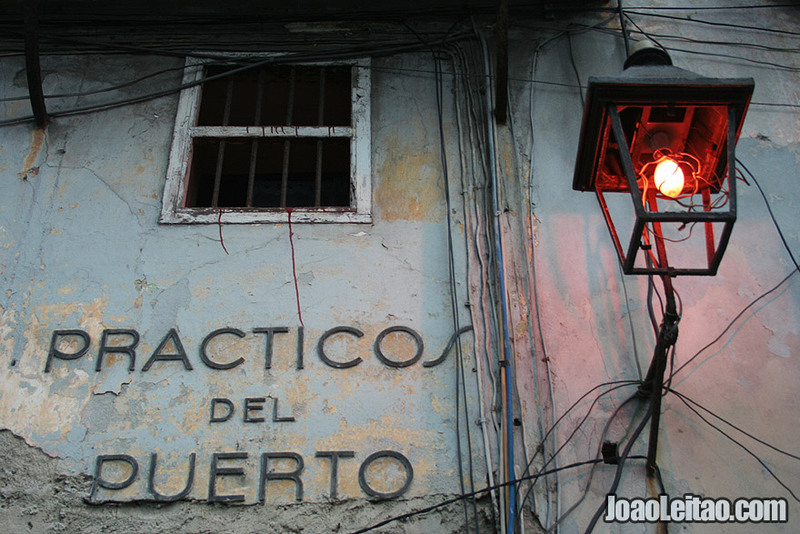 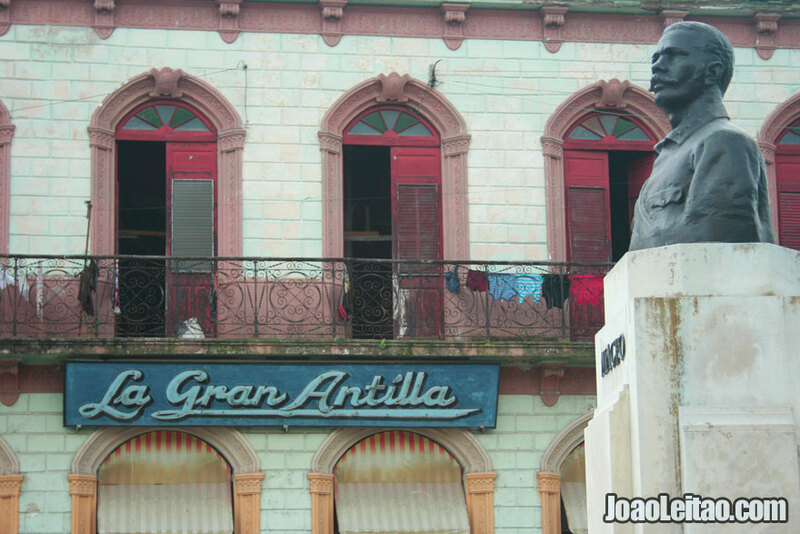 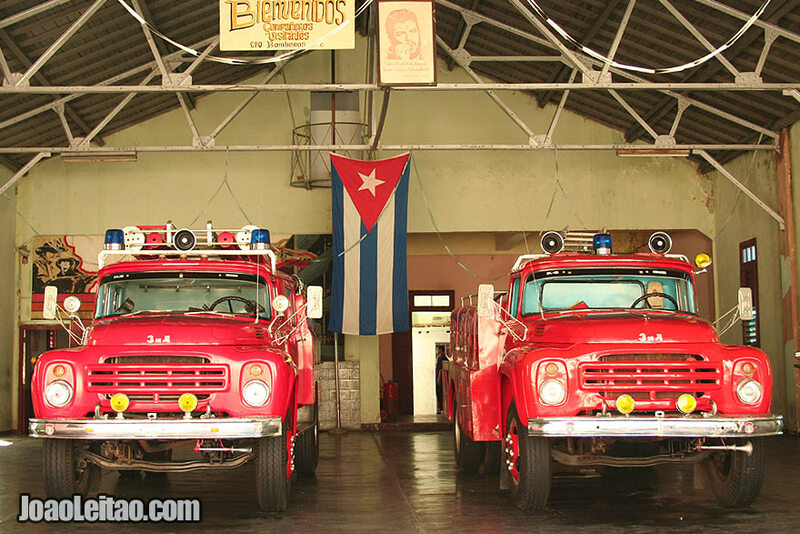 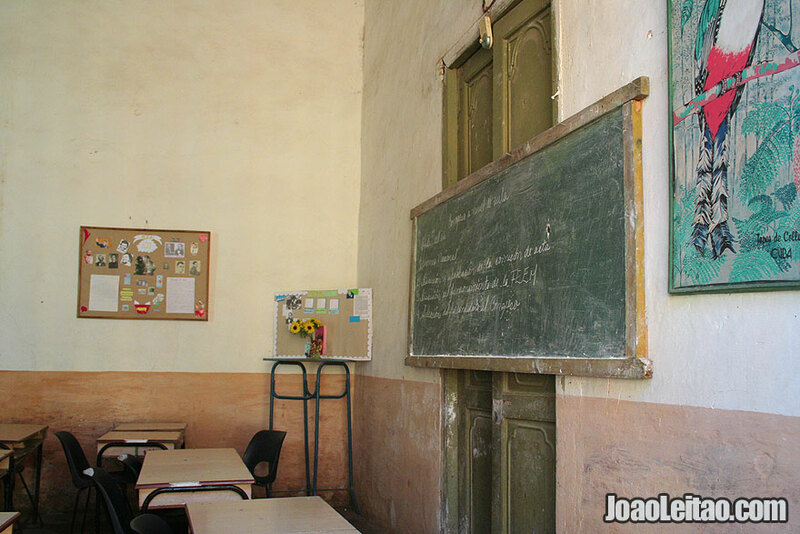 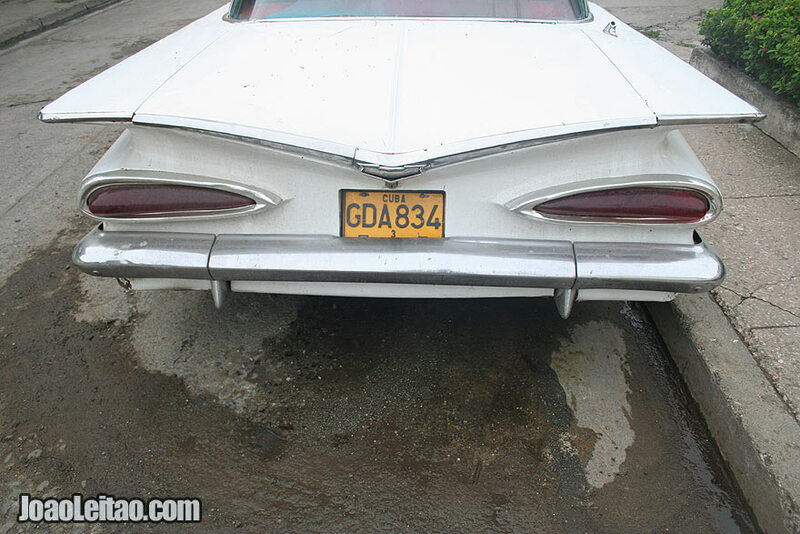 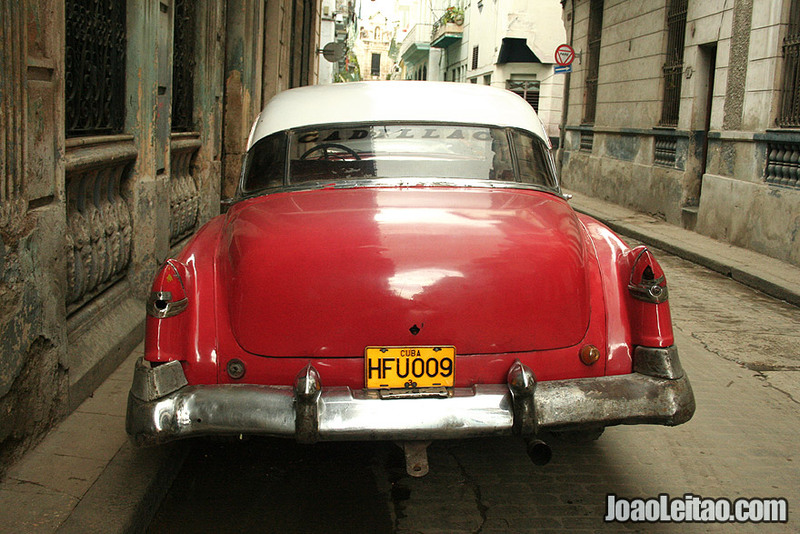 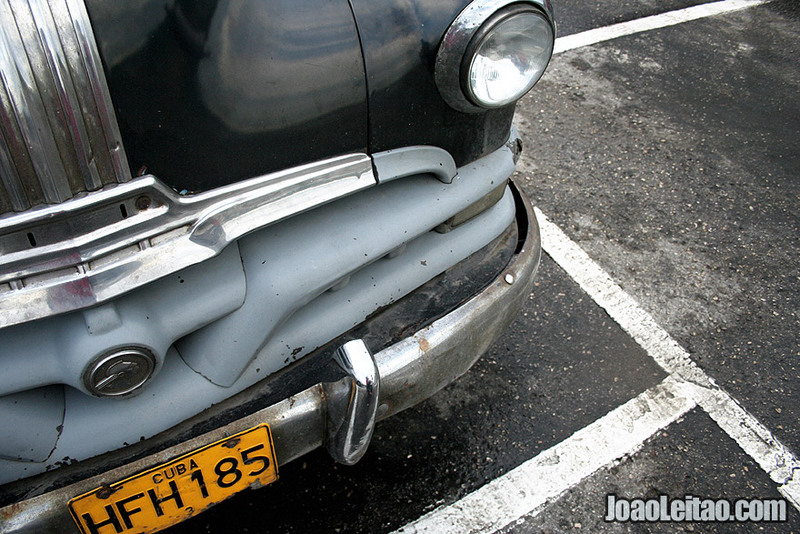 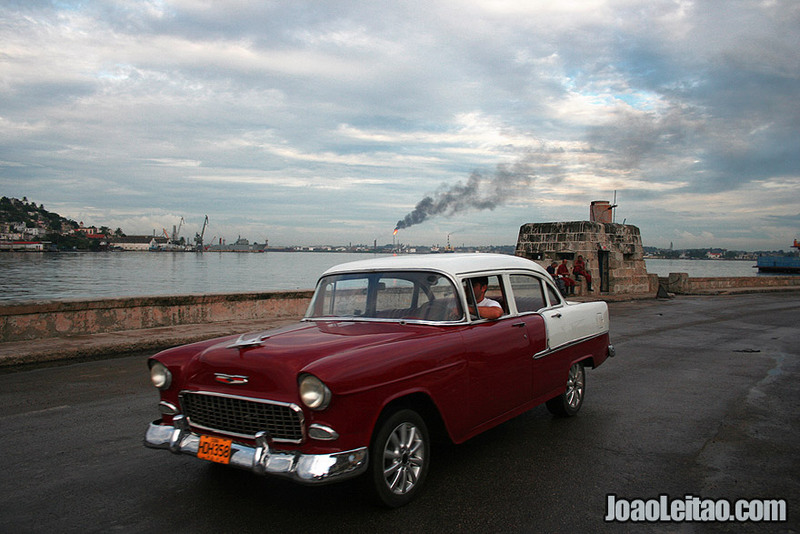 So on this page I invite you to enjoy 142 images of the Cuba we all gonna miss – the Cuba still held by Socialism, Castro’s brothers and stricken by international embargo policies. 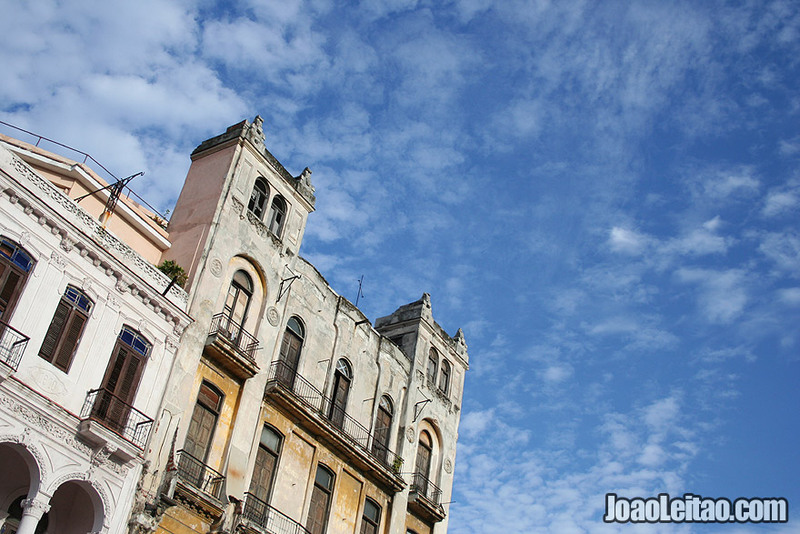 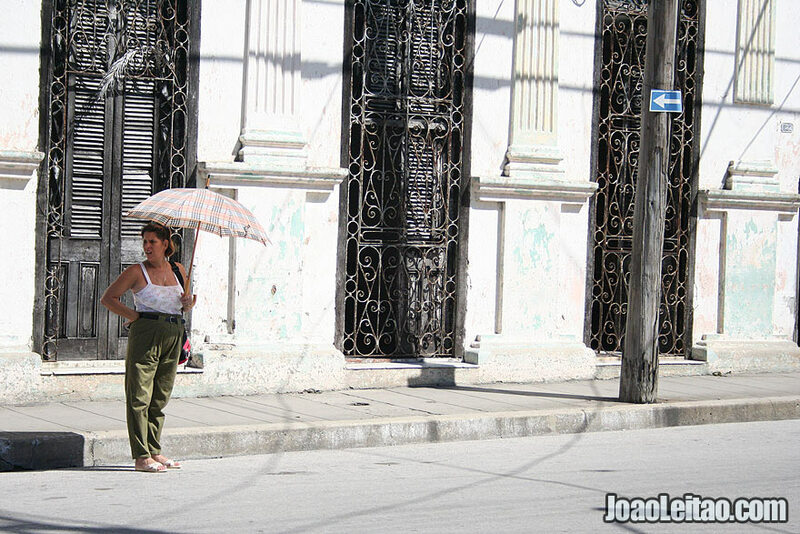 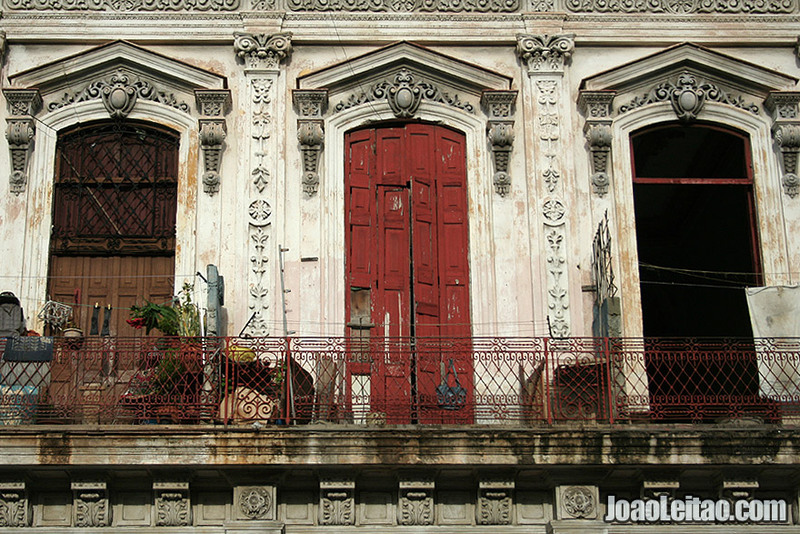 Havana is a very nice city, mixing tropical vibes with colonial Spanish architecture. 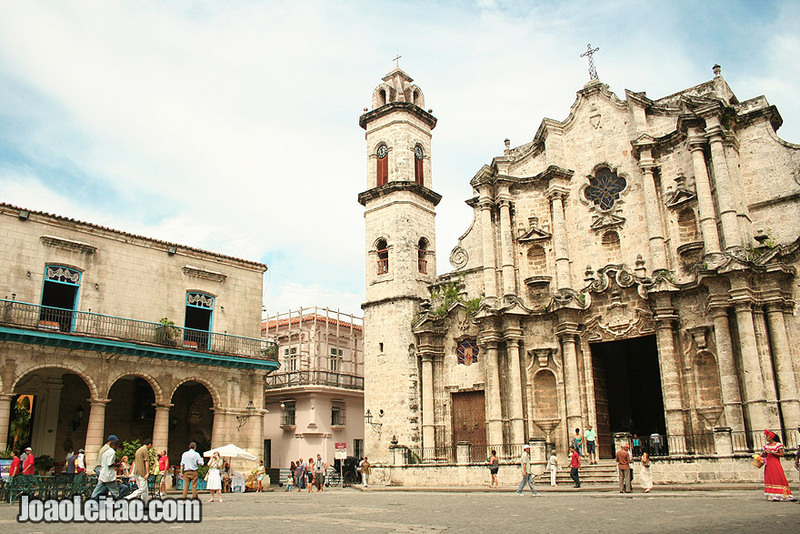 Havana old town is very pretty and a UNESCO World Heritage site. 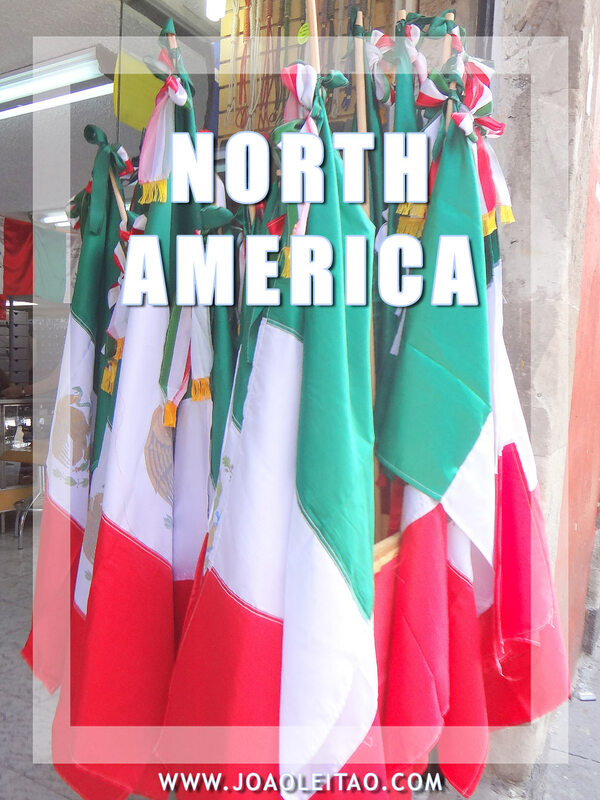 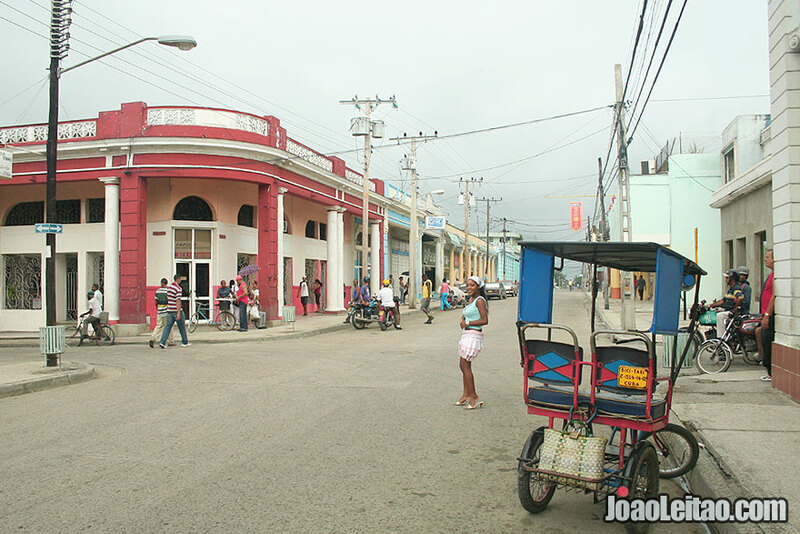 It was the sixth town founded by the Spanish on the island. 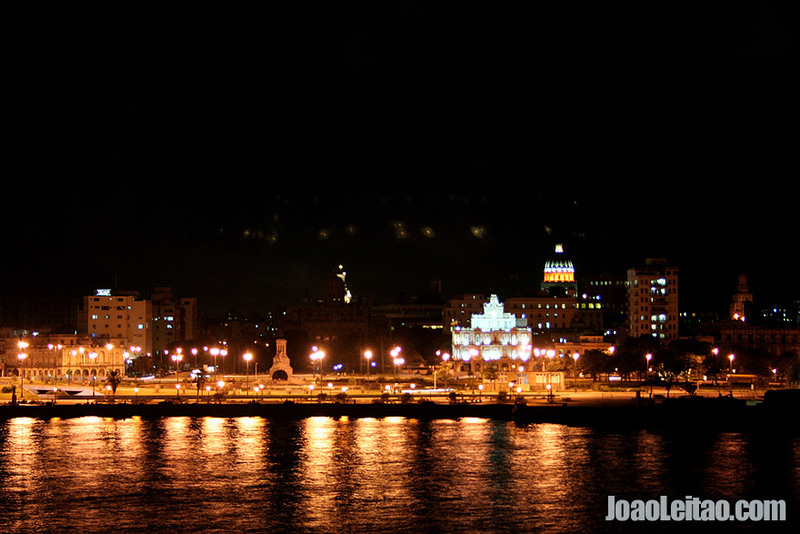 Not to be missed are the Paseo de Martí, the Castillo de San Salvador de la Punta, Old Havana, the Havana Cathedral and the Castillo de la Real Fuerza. 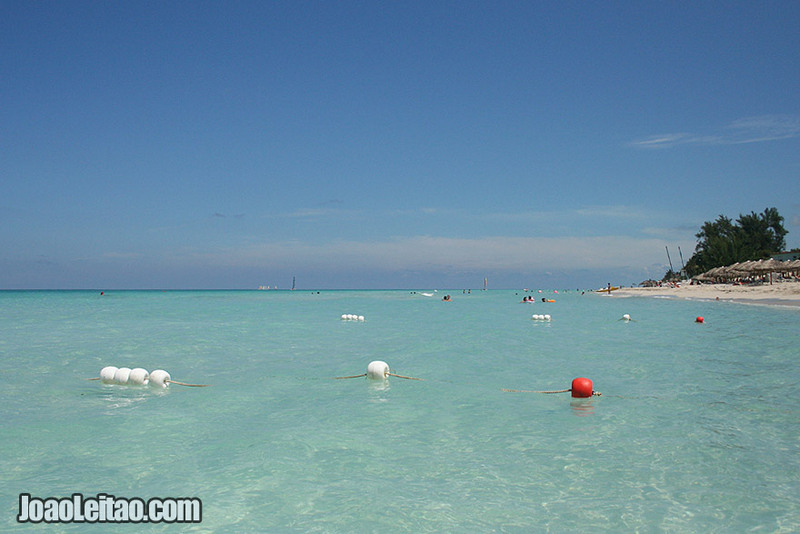 Varadero is probably the most famous beach in the world. 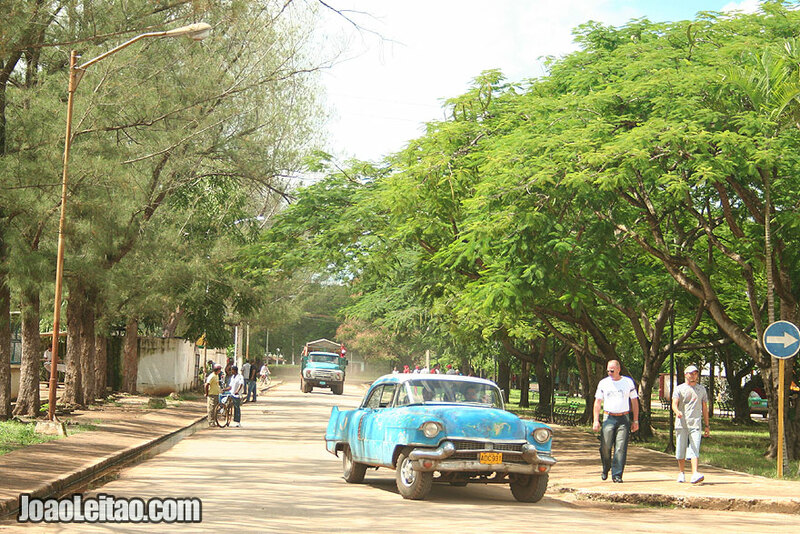 Varadero is a city in a narrow neck of land between the Gulf of Mexico and the Bahía de Cárdenas. 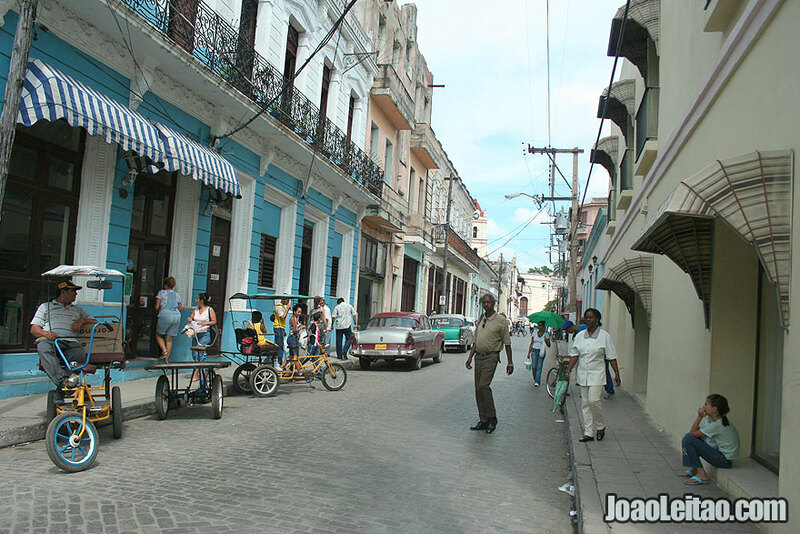 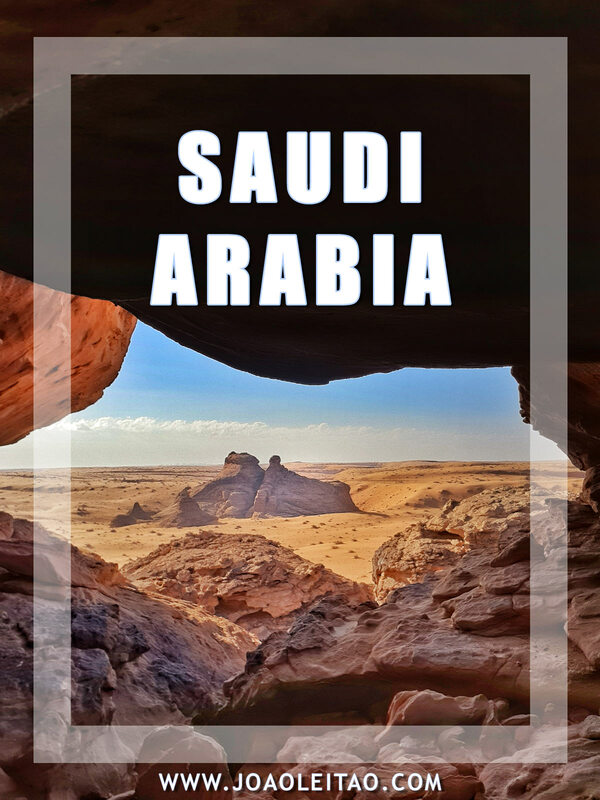 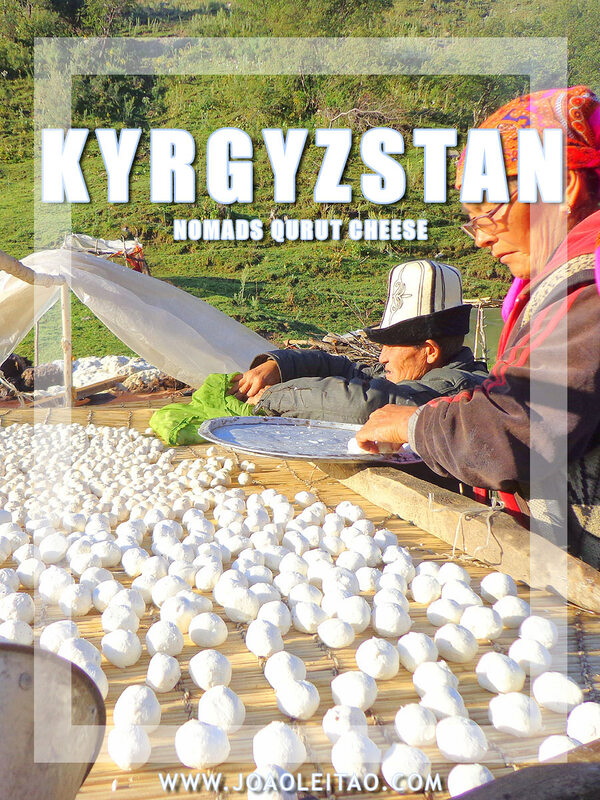 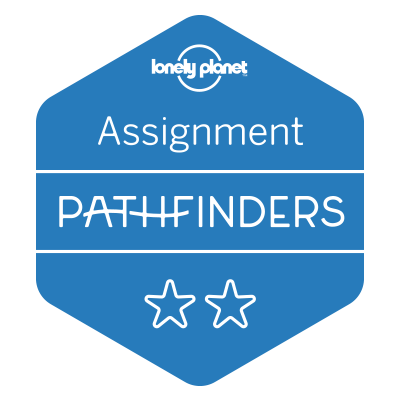 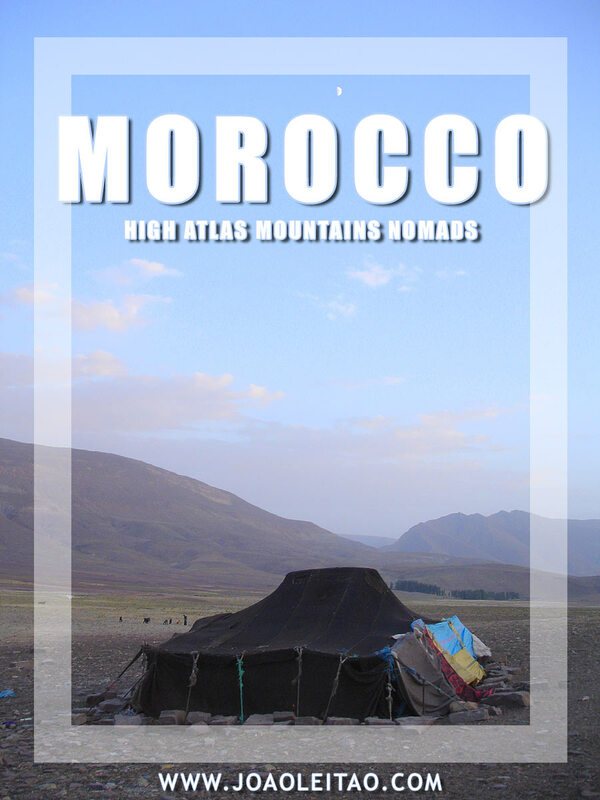 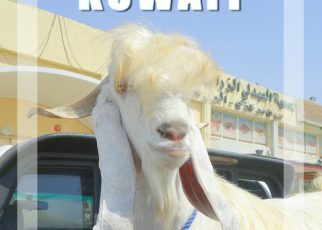 In this city there are several resort hotels but there are other accommodation options where you can stay and enjoy local’s people company. 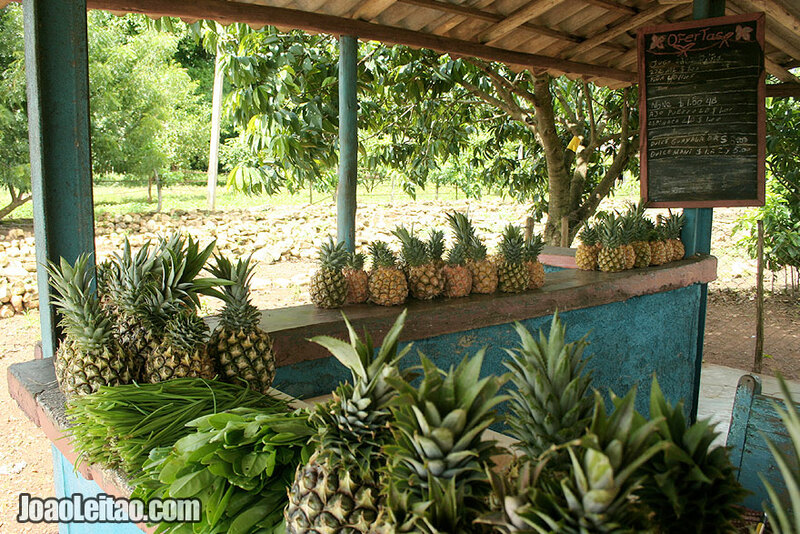 There are several beach restaurants serving fresh juices and seafood. 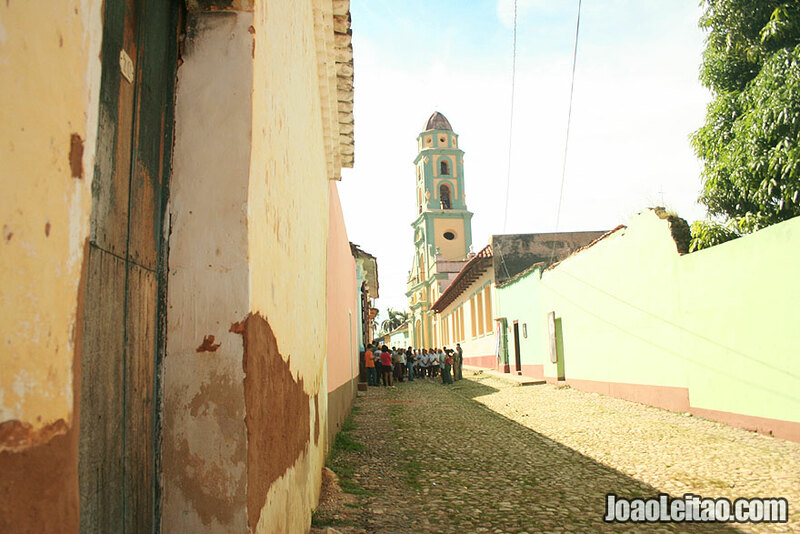 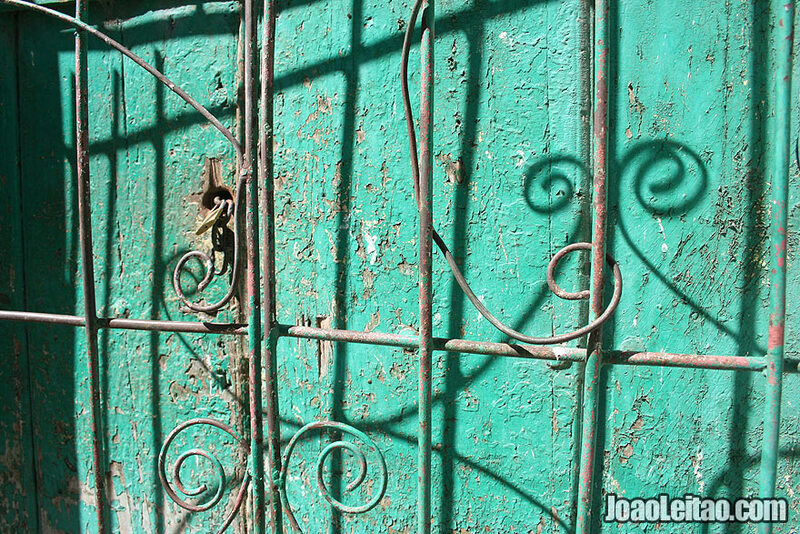 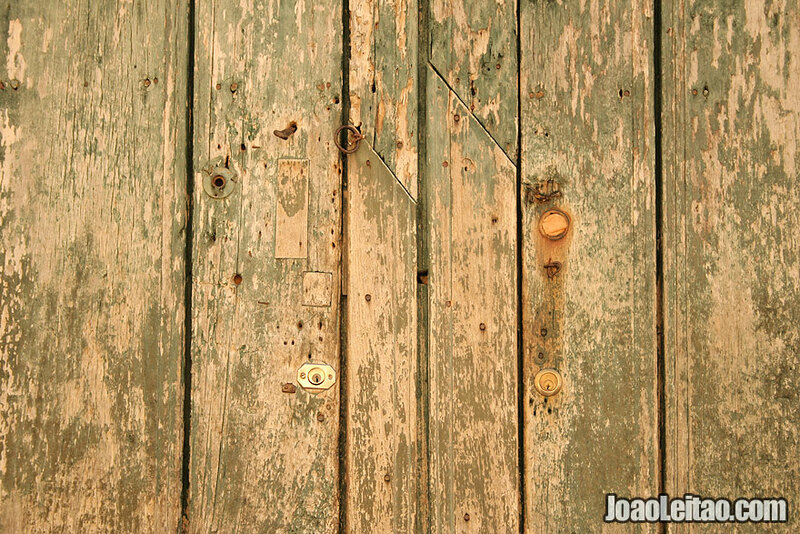 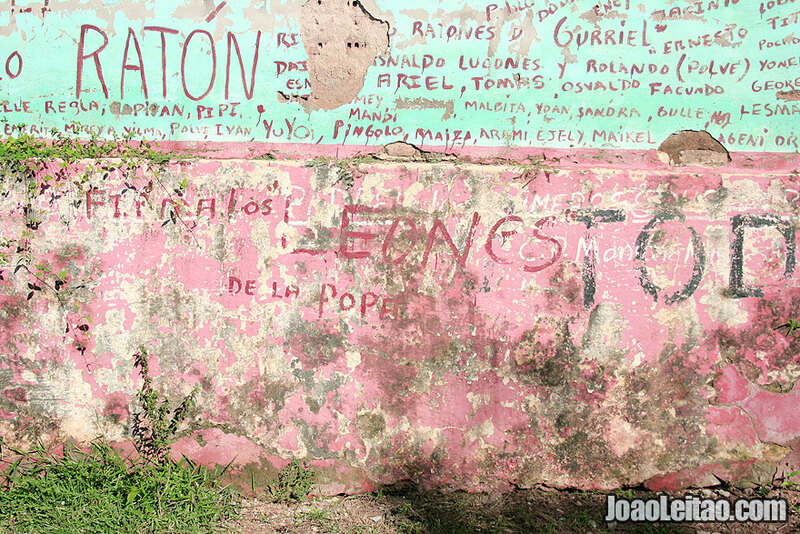 San Juan de Los Remedios was the first small Cuban town that I visited. 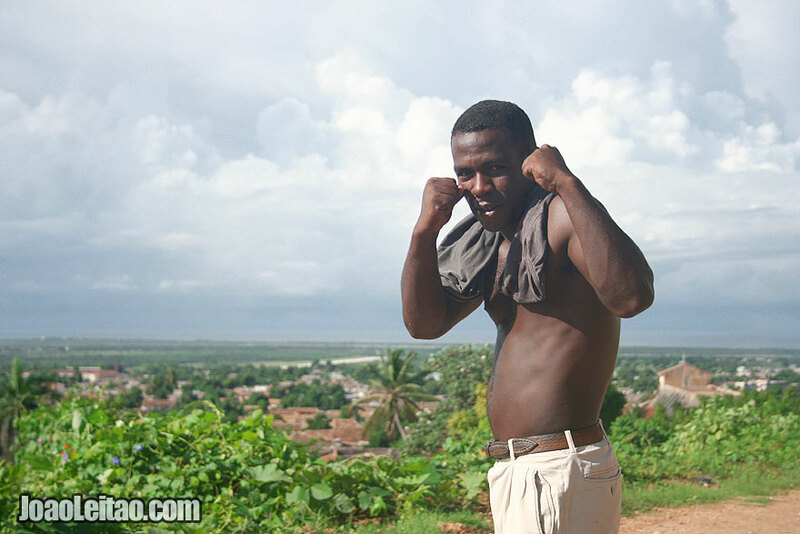 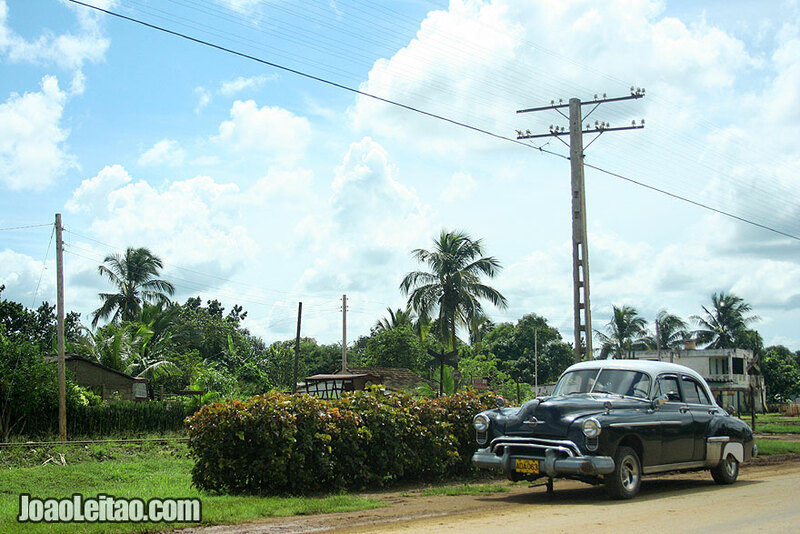 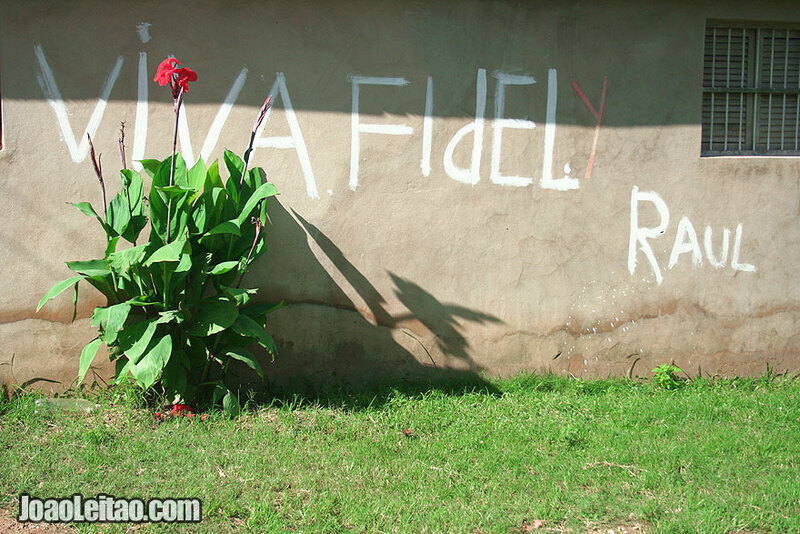 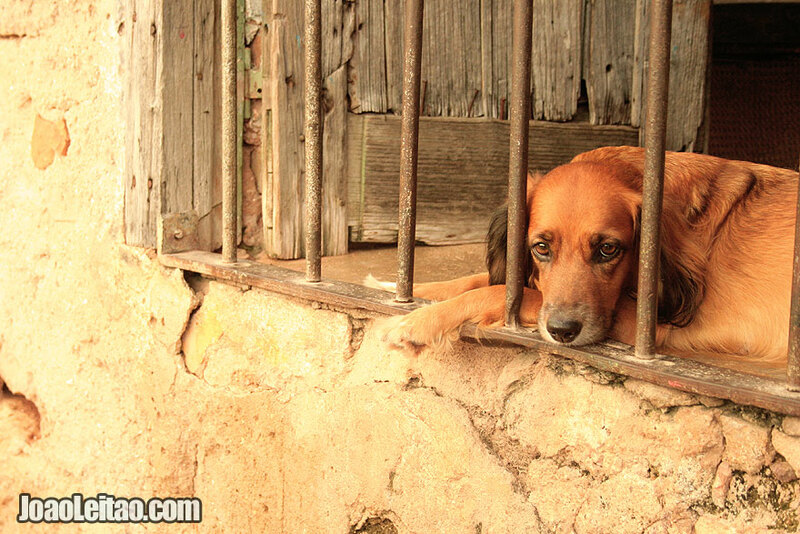 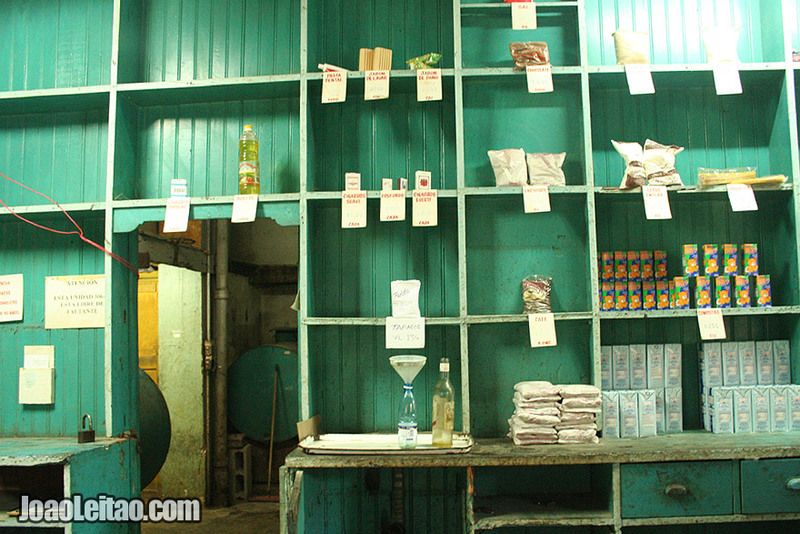 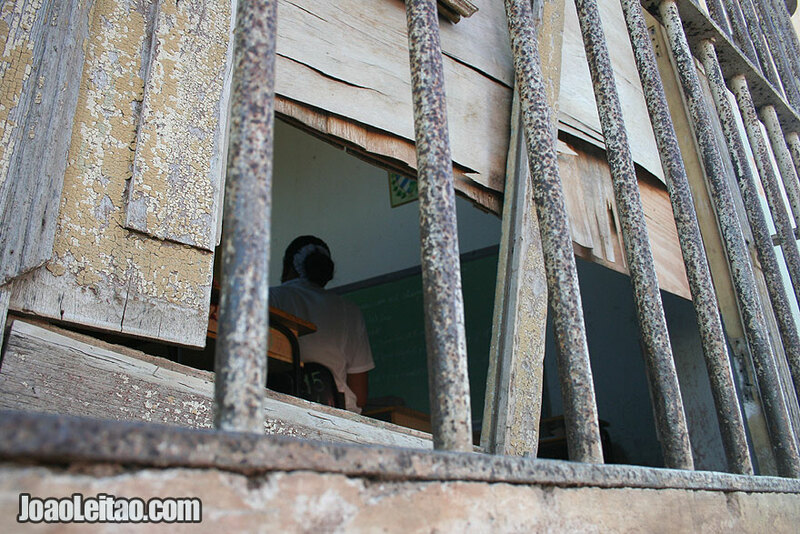 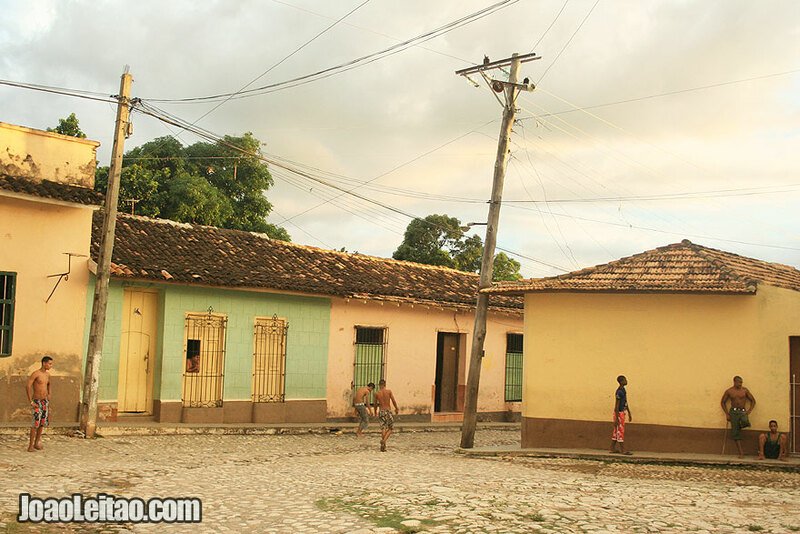 After coming from Havana it was good to experience what life is like in a Cuban rural town. 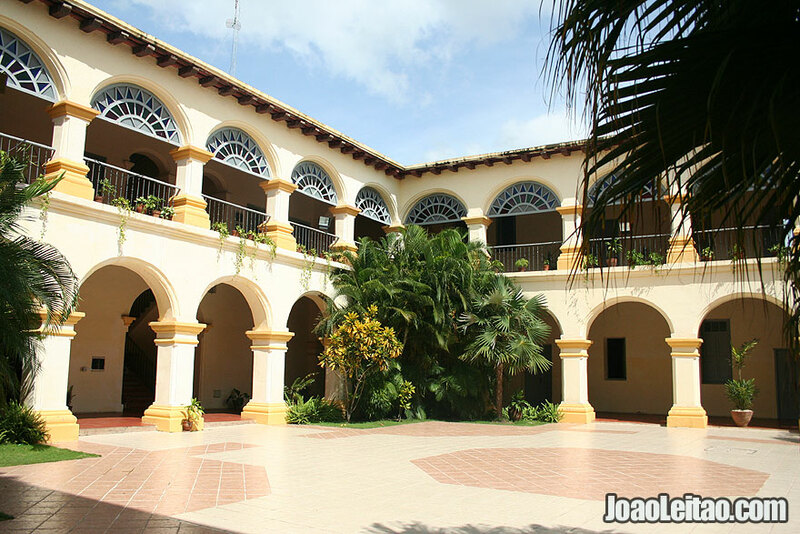 You can visit the cultural center to attend dance classes. 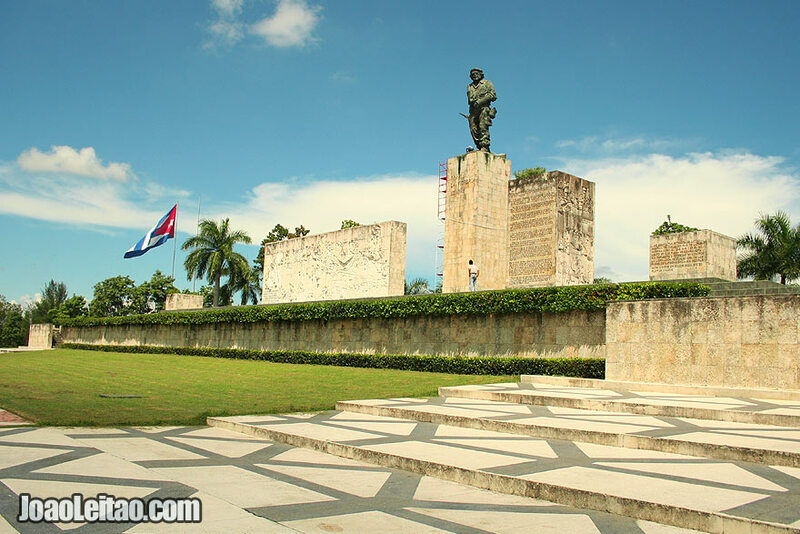 Santa Clara is a small town with some points of interest such as the city center with the Parque de la Iglesia El Carmen and other monuments, churches and the historical armored train. 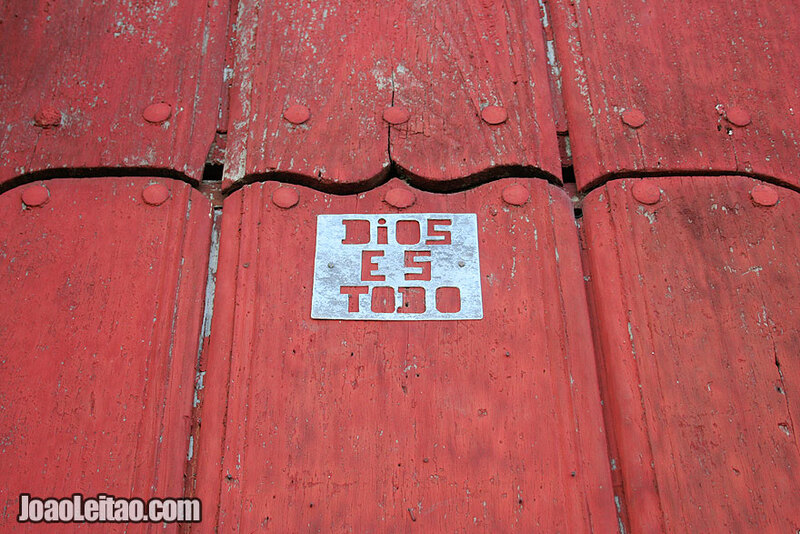 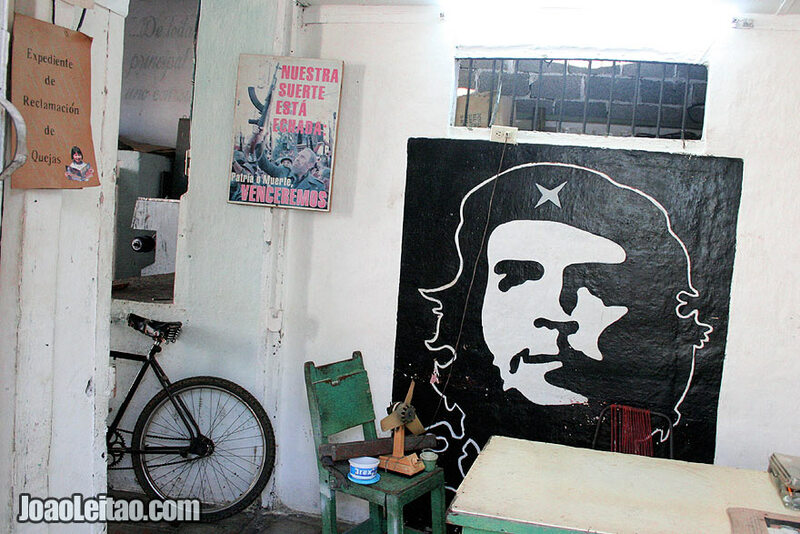 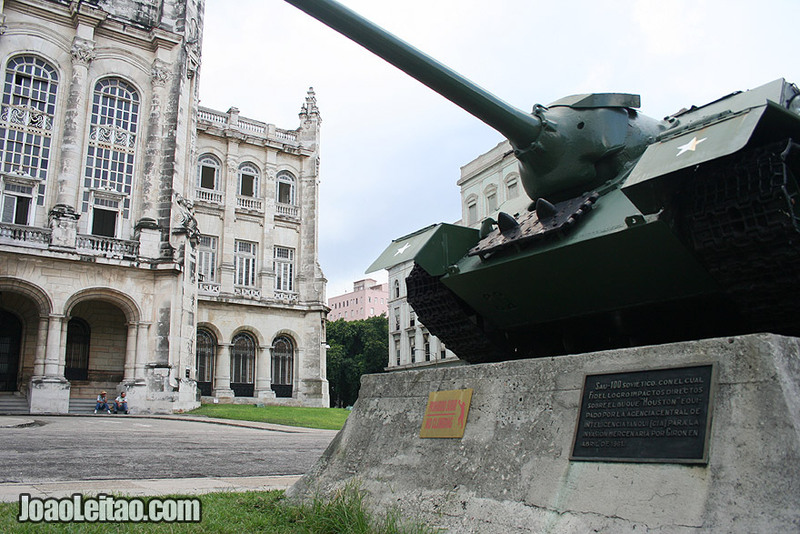 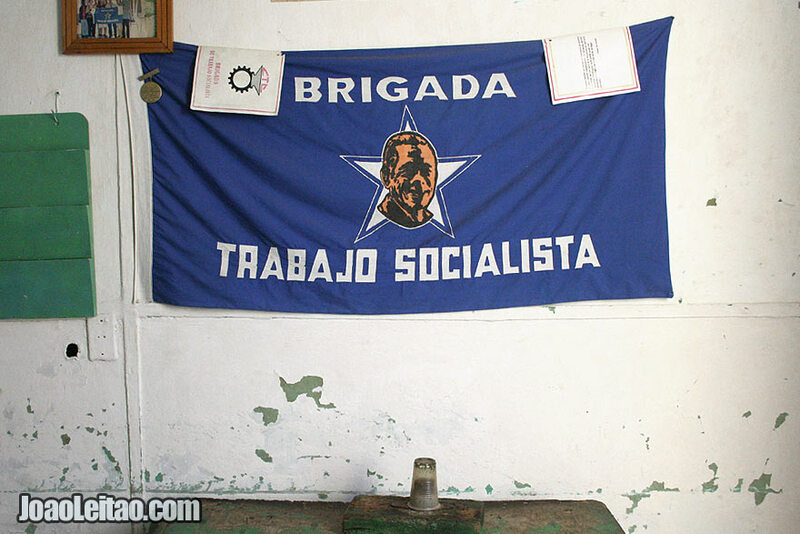 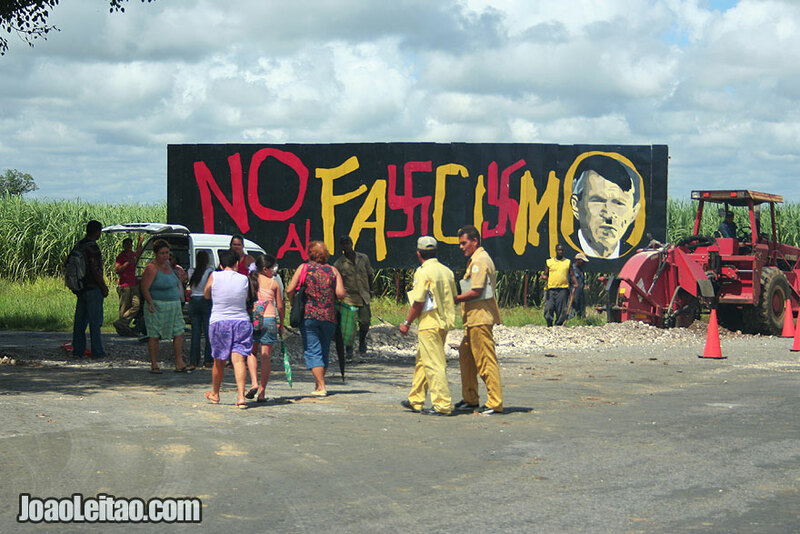 The most famous site in Santa Clara is the Che Guevara Mausoleum. 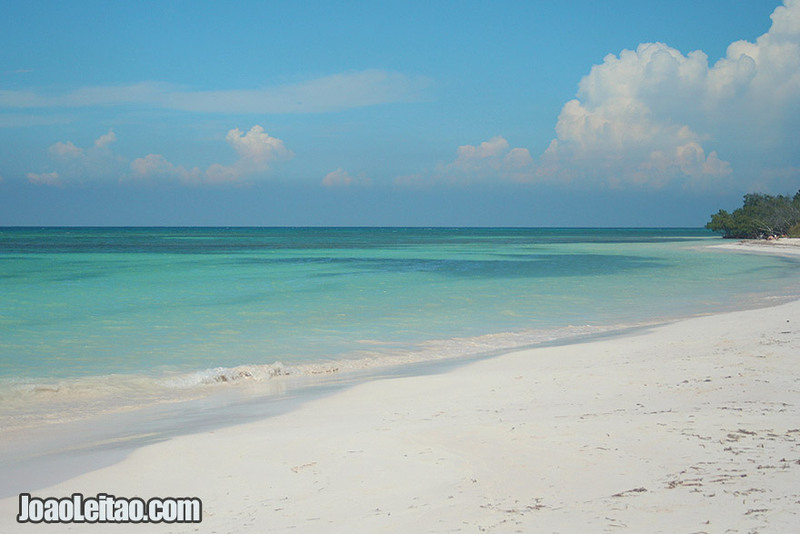 Cayo Santa Maria beach has white sand, crystal clear water and no one is ever there, so you can enjoy the beach all by yourself. 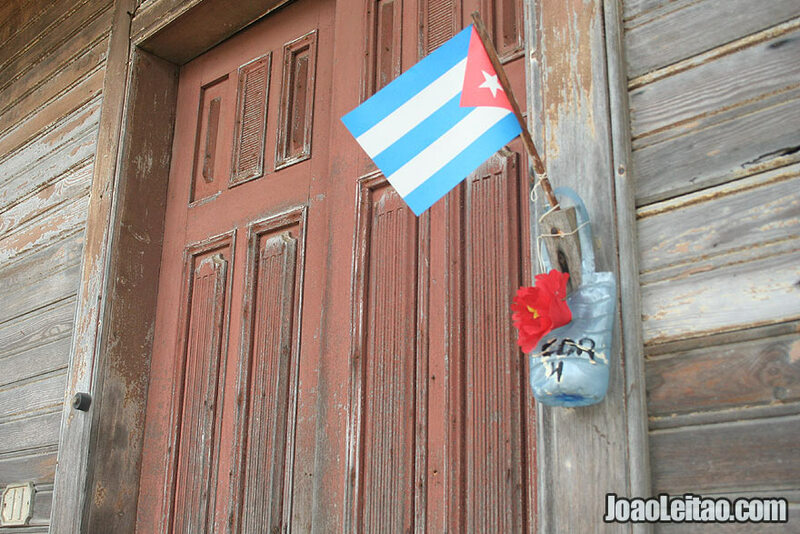 Cayo Santa Maria is located a few kilometers from the city of Caibarién, on the north coast of Cuba. 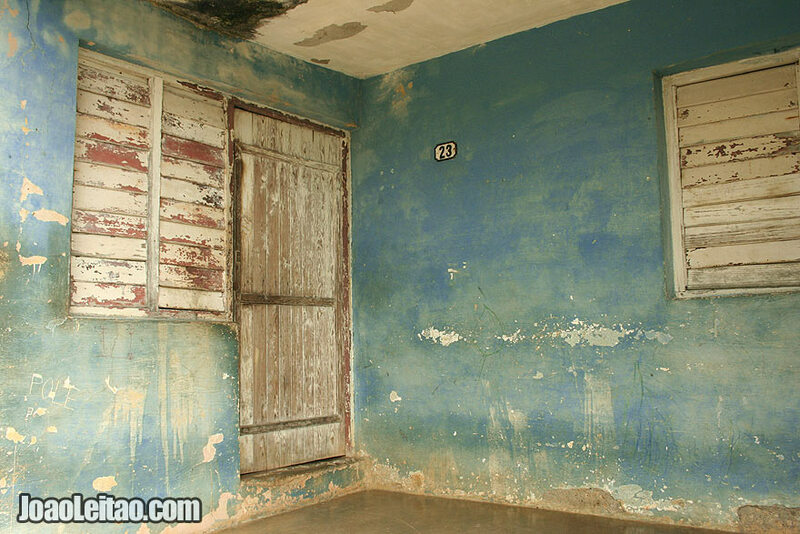 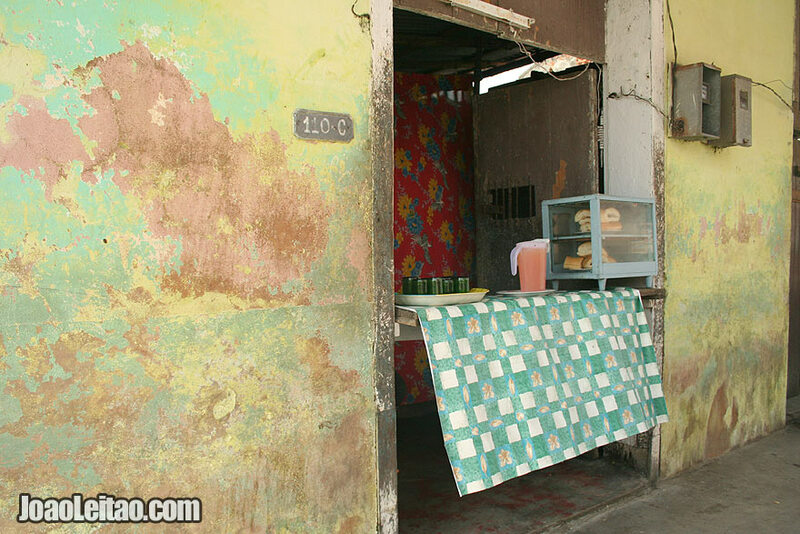 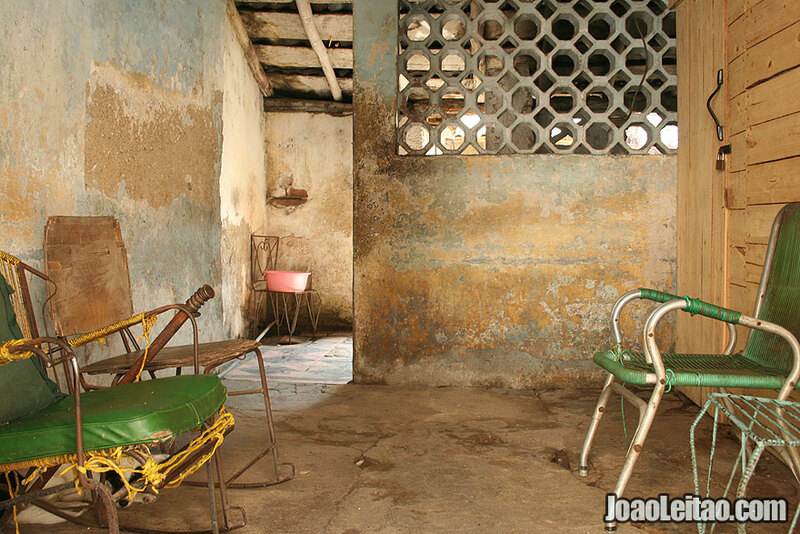 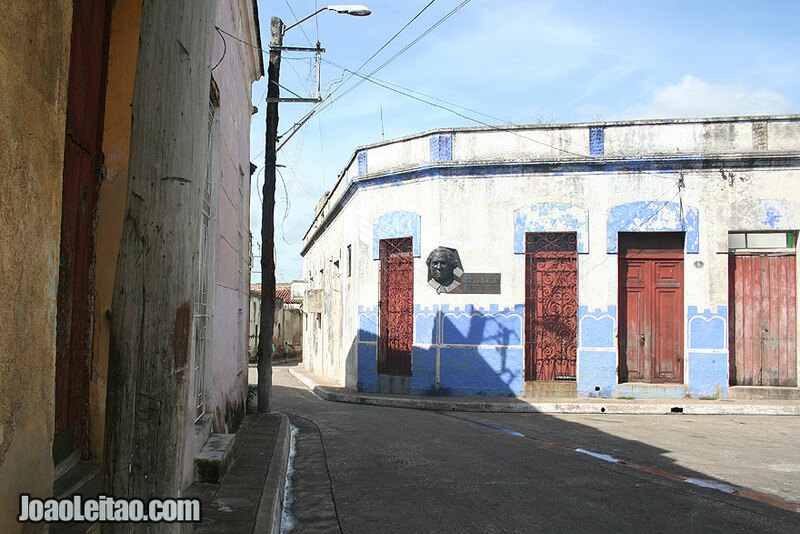 Caibarién is a small almost abandoned town with old decorated colonial buildings. 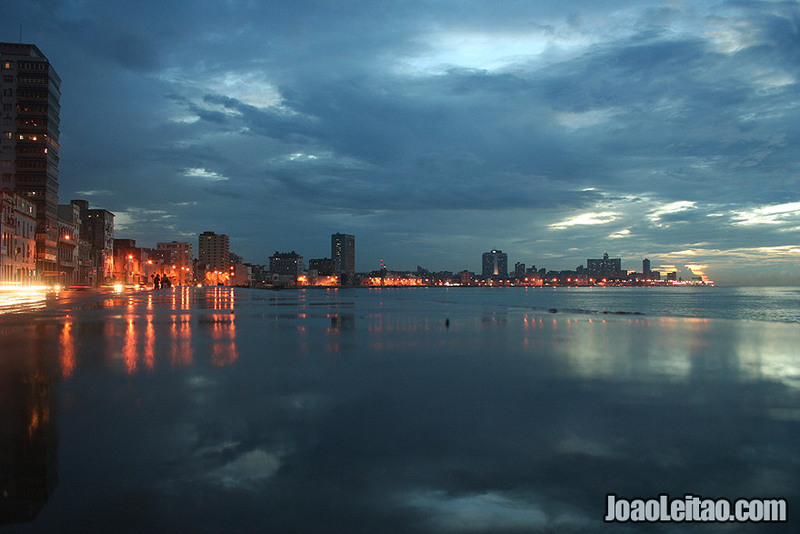 I saw a magnificent sunset in the port area. 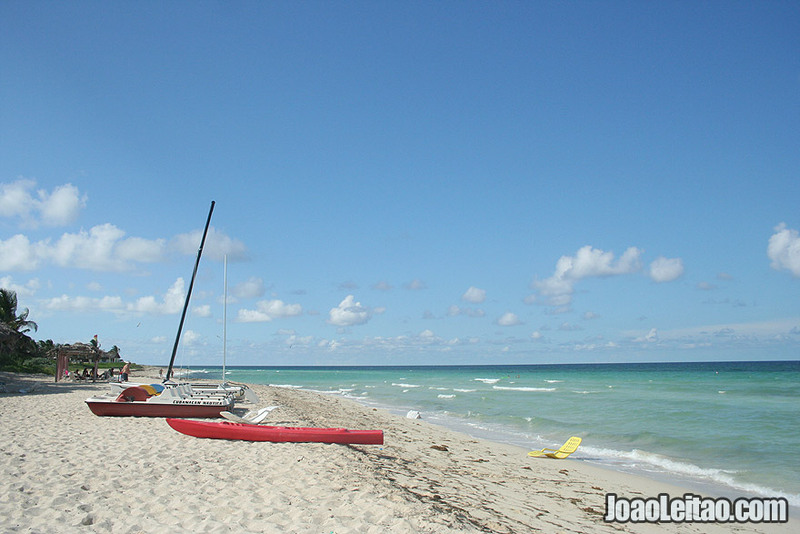 Guardalavaca is a popular beach destination among Cubans. 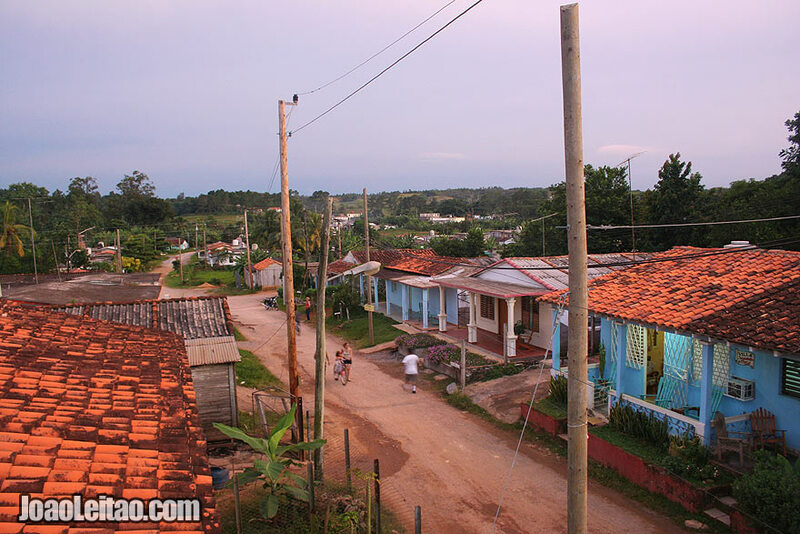 Here many families come to spend holidays. 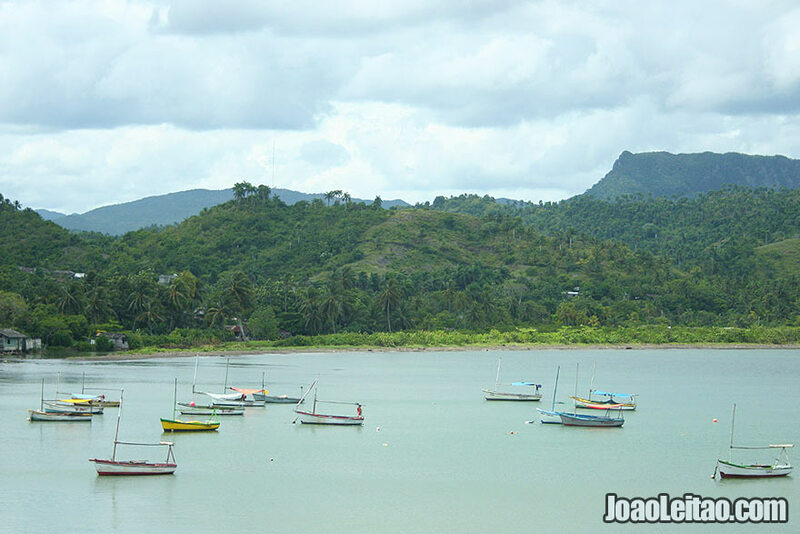 The famous beaches are Playa Guardalavaca, Playa Esmeralda, Playa Don Lino and Playa Bahia de Naranjo. 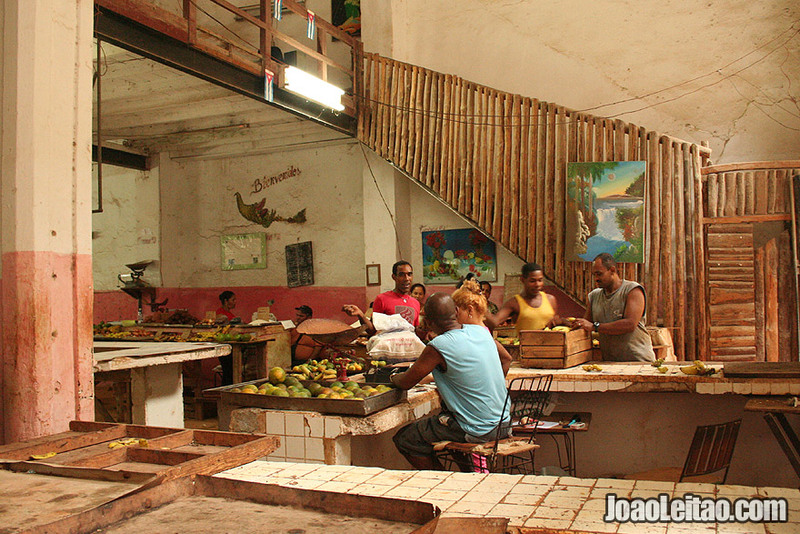 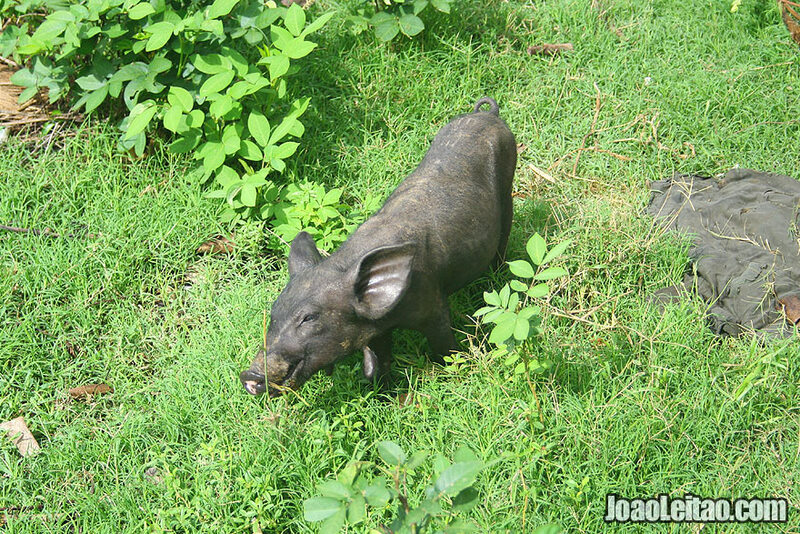 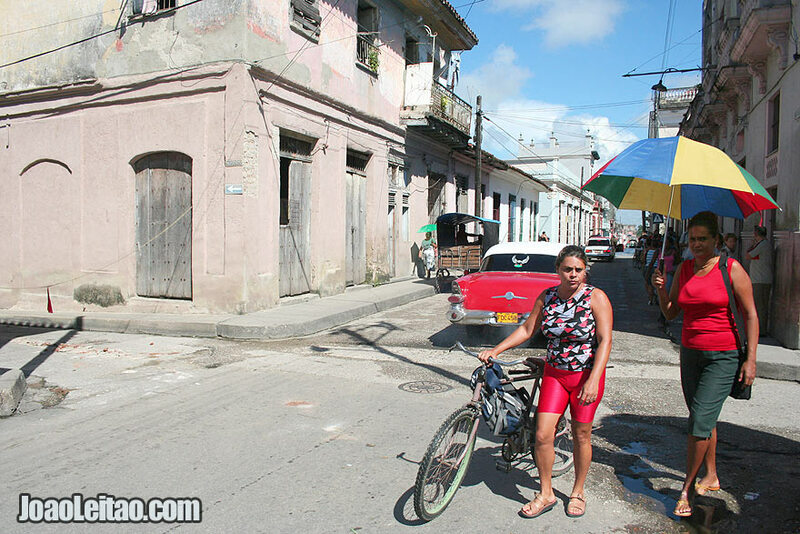 Baracoa is a city in Guantánamo Province on the eastern tip of Cuba. 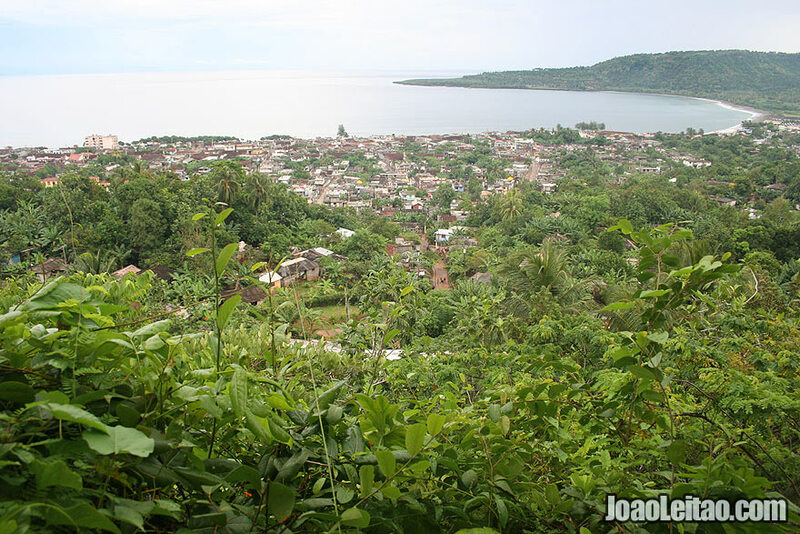 Baracoa was founded in August 15, 1511, by the governor of Cuba, the Spanish conquistador Diego Velázquez de Cuéllar. 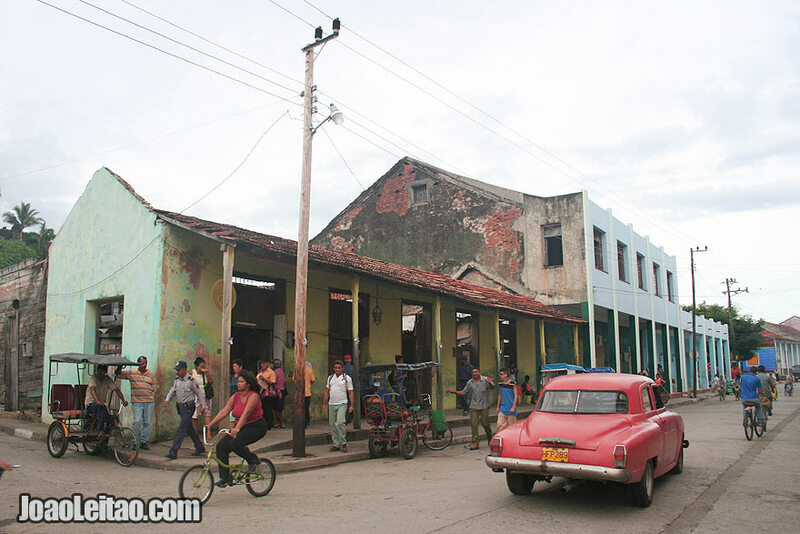 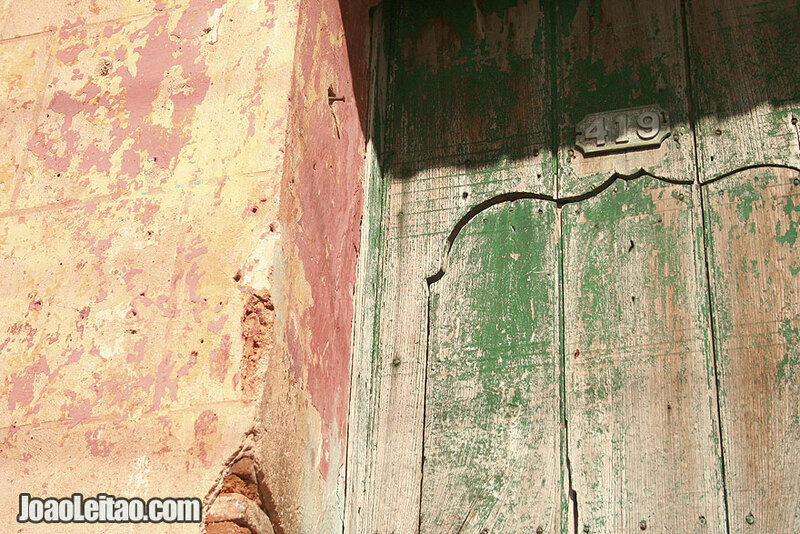 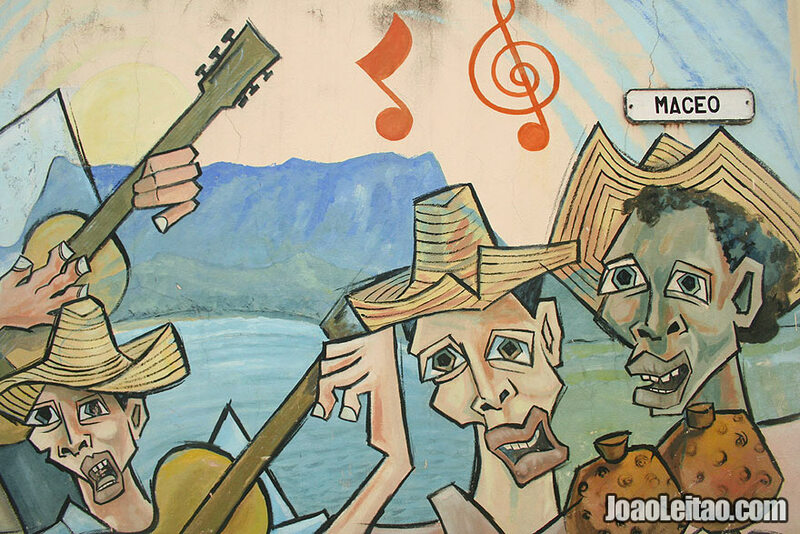 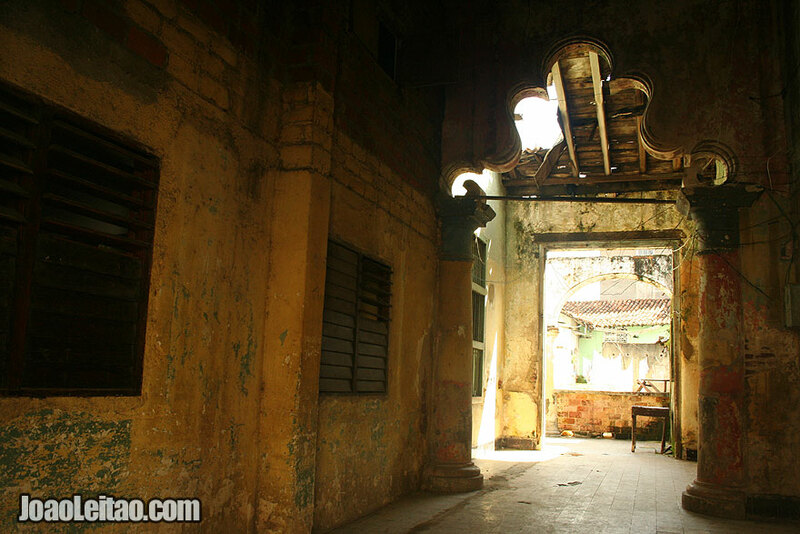 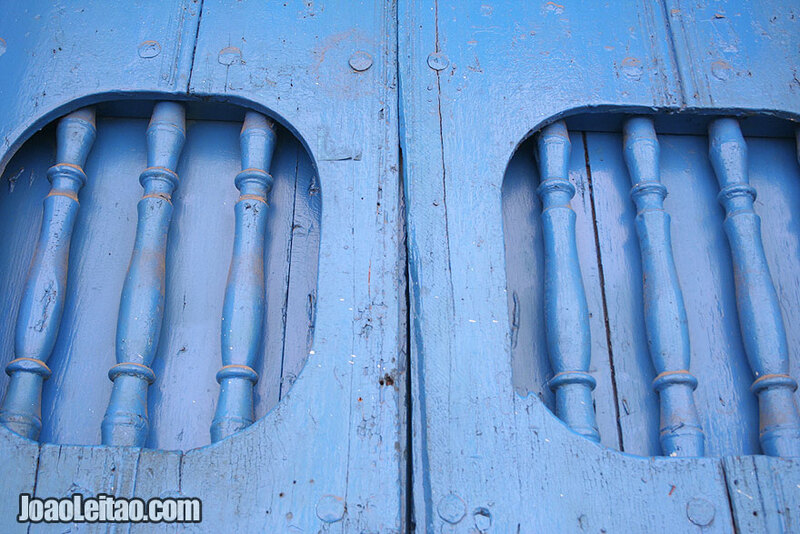 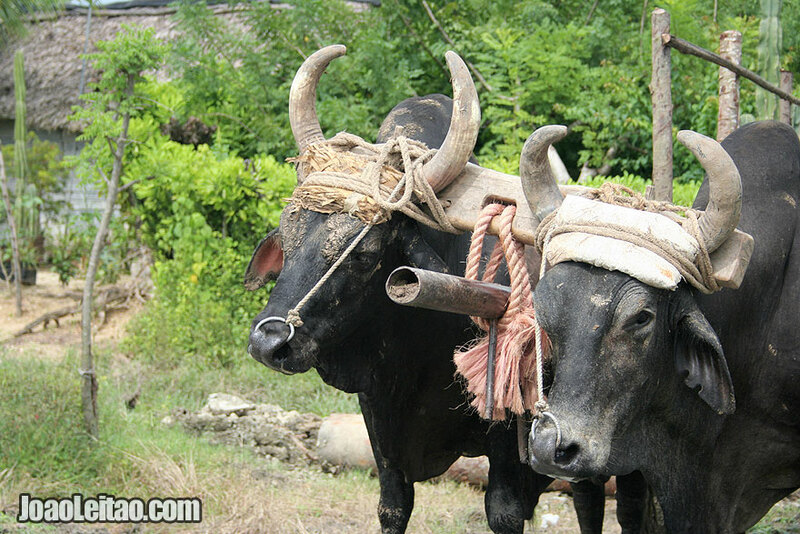 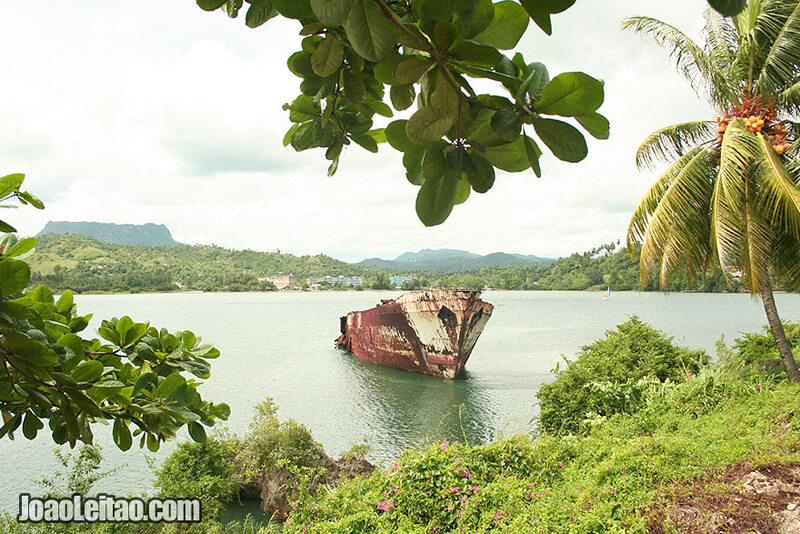 Baracoa is the oldest Spanish settlement in Cuba and was its first capital. 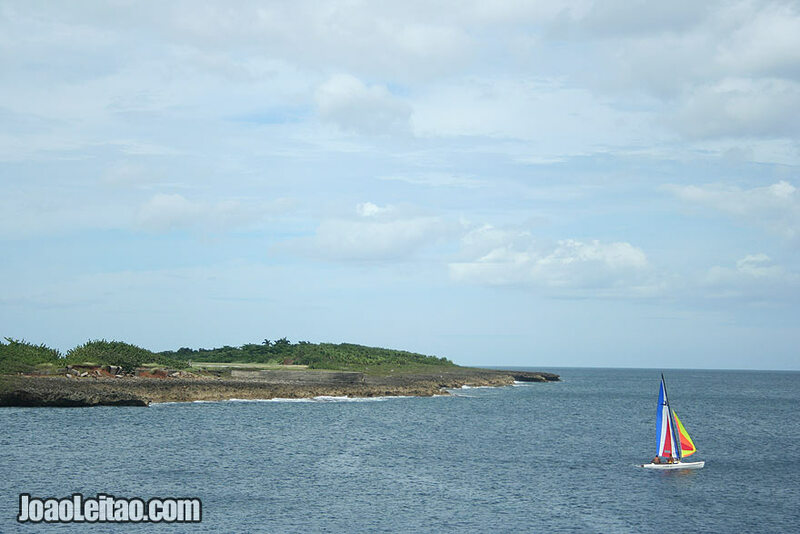 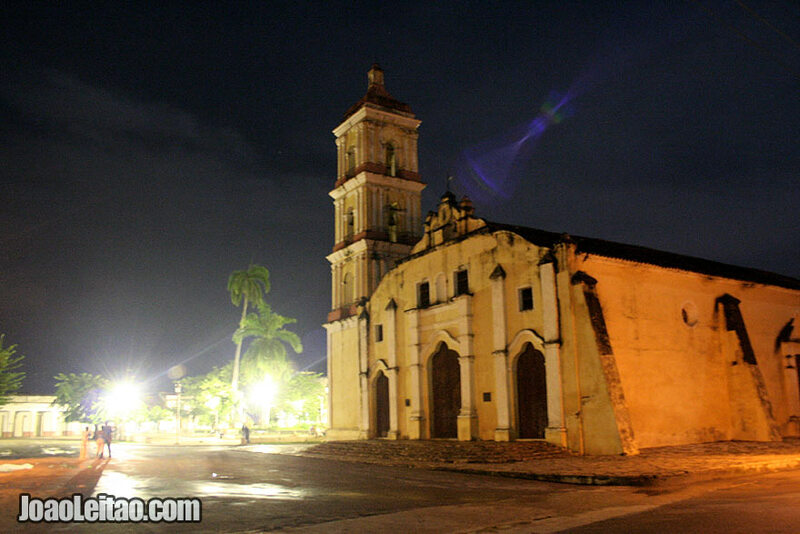 It was on this place that Christopher Columbus first landed when he arrived in Cuba. 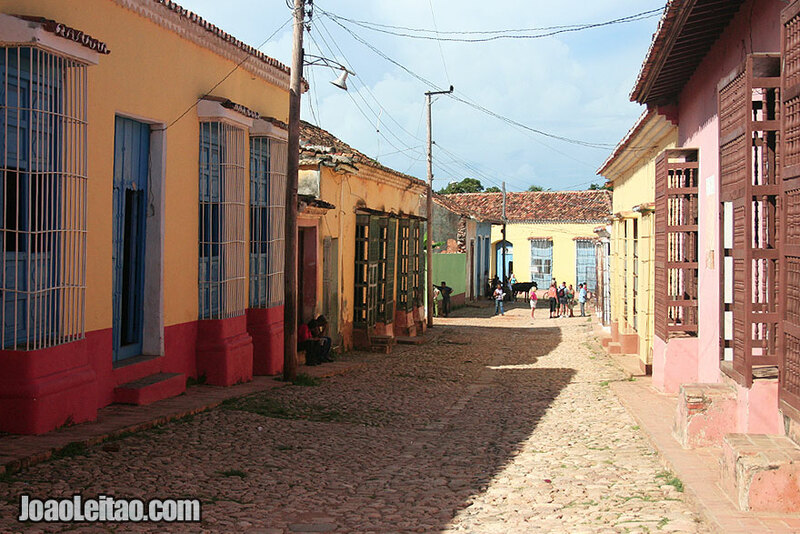 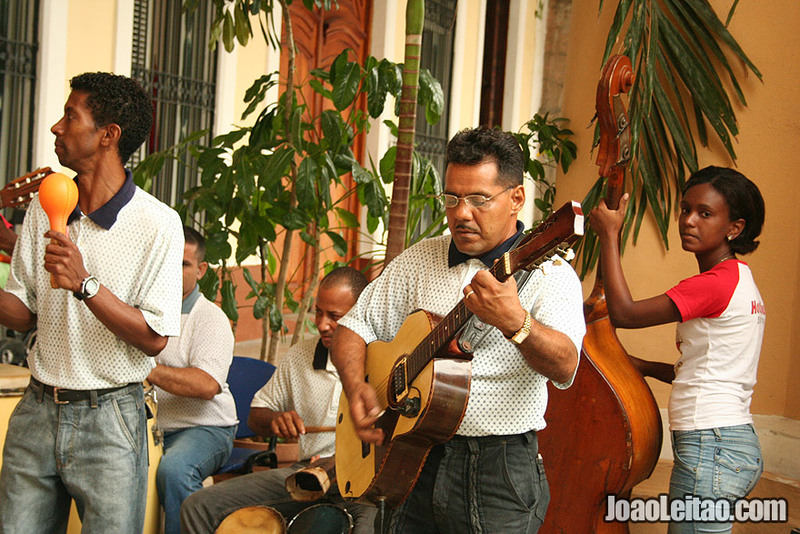 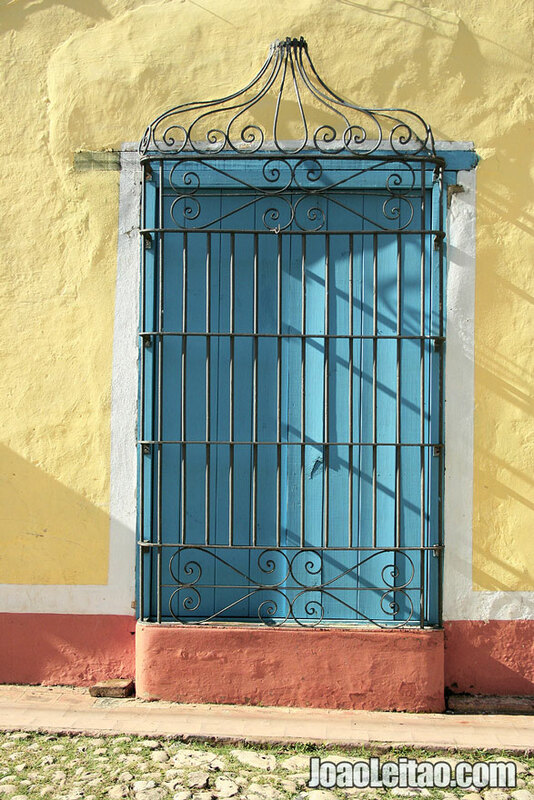 Santiago de Cuba is an old historical Cuban city where you can enjoy live music bars, dancing and drinking with local people. 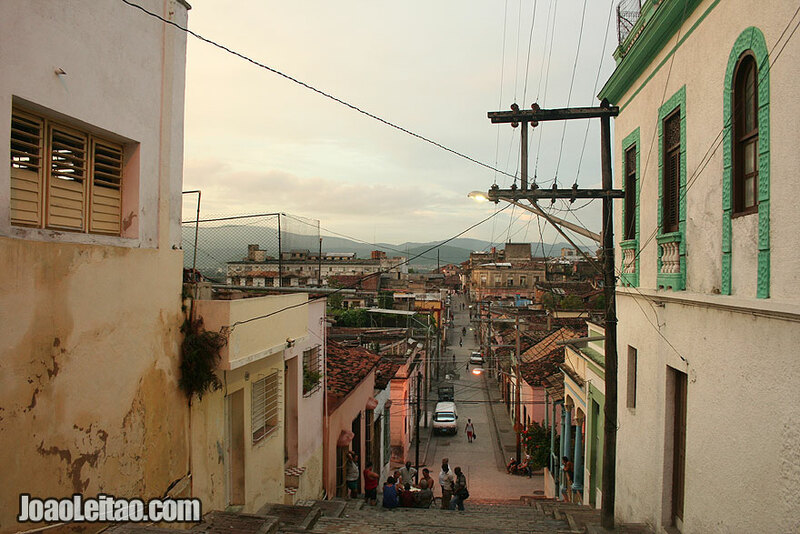 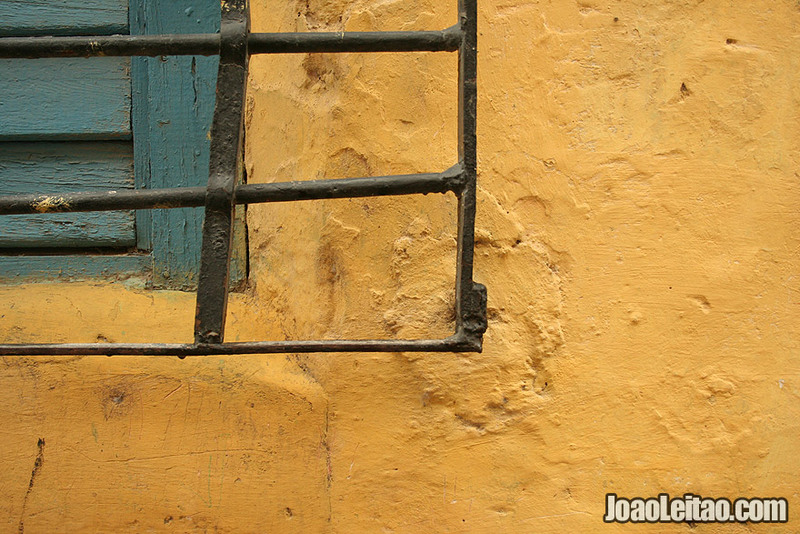 Santiago de Cuba staircases are famous. 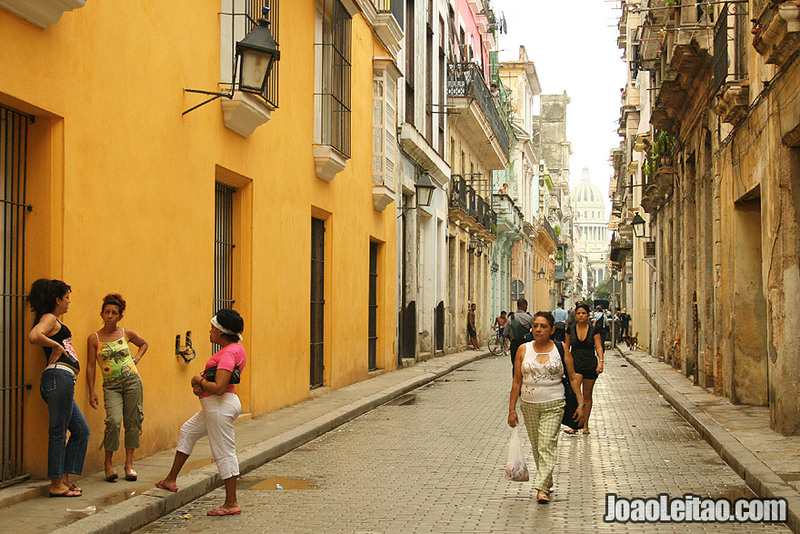 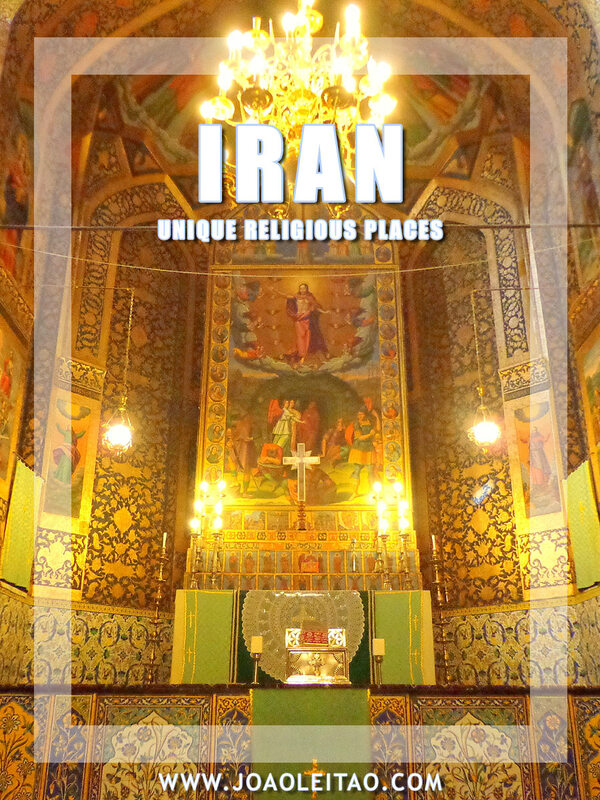 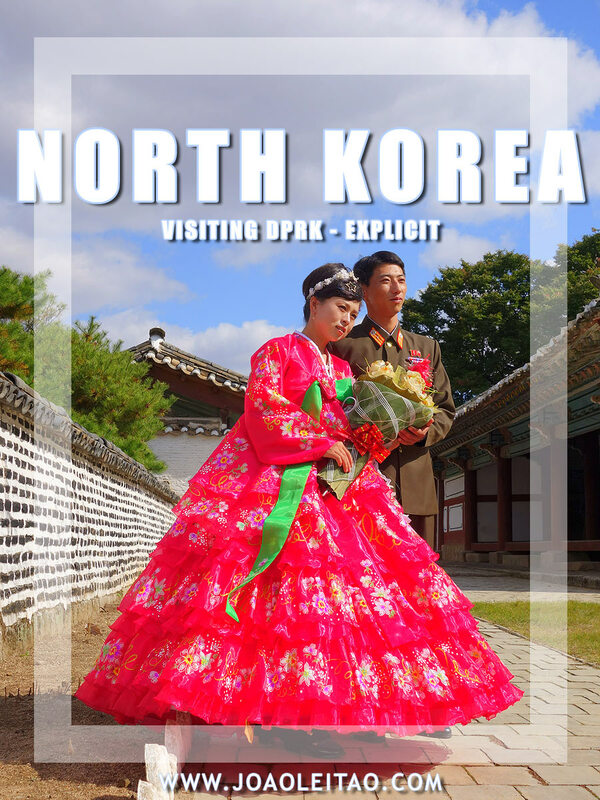 The city is very busy and a little polluted but there are several gardens, churches and monuments to visit. 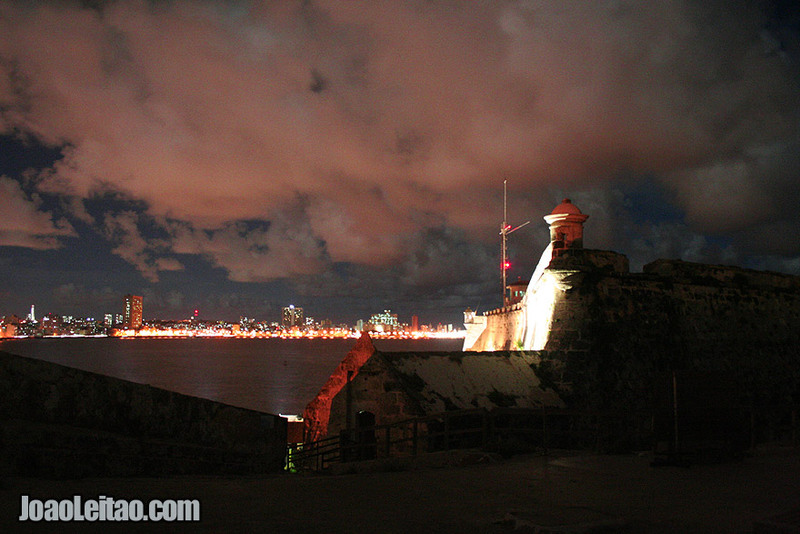 Castillo de San Pedro de la Roca is a spectacular fortress with fantastic views over the bay. 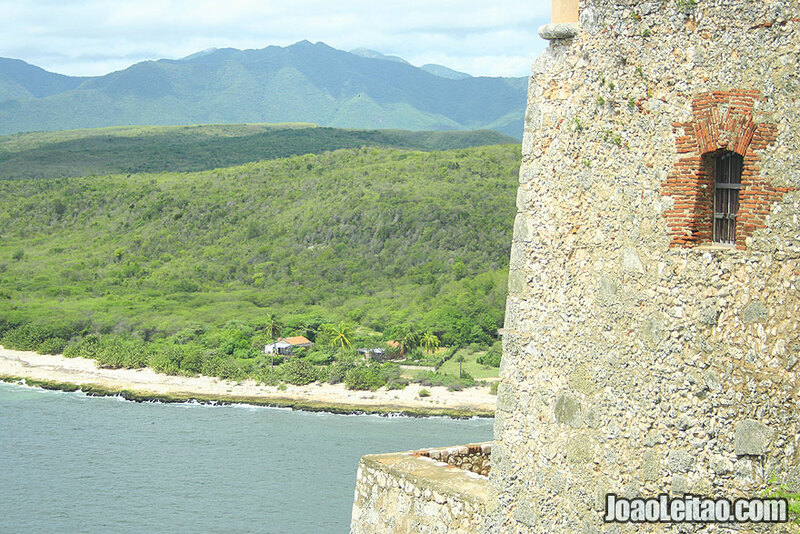 This sixteenth century Spanish fortress is a UNESCO World Heritage site. 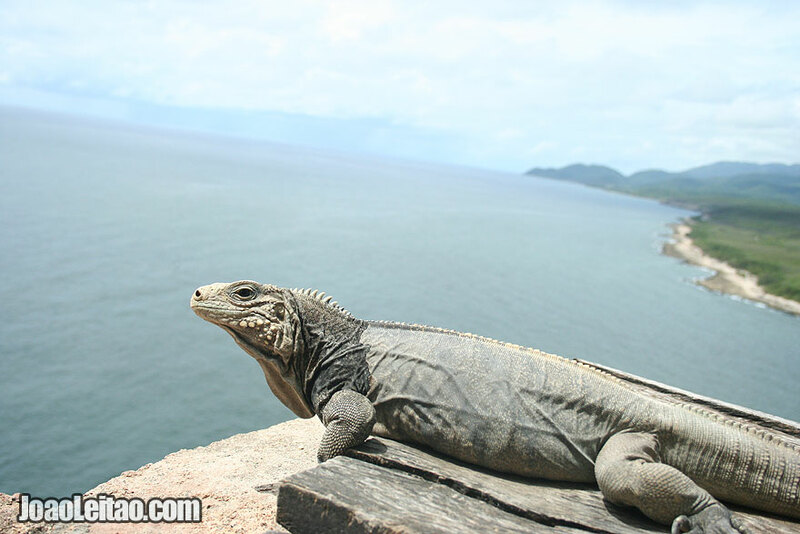 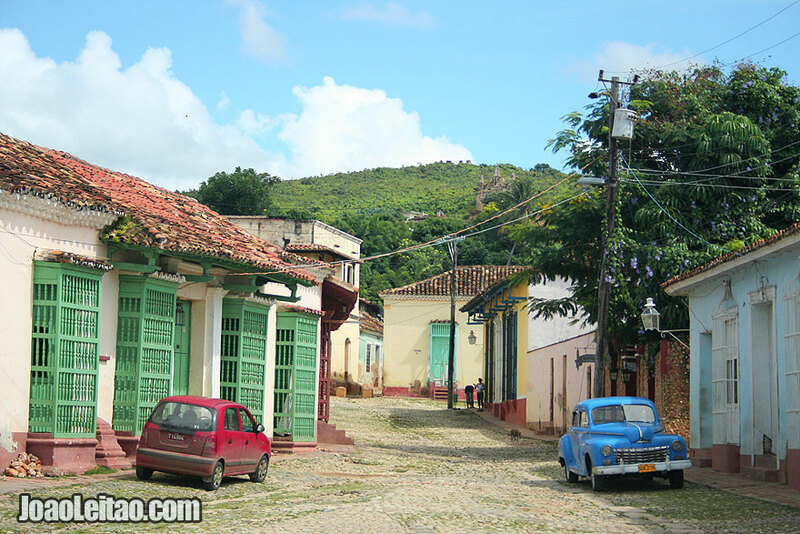 San Pedro de la Roca castle is located about 10km south of Santiago de Cuba. 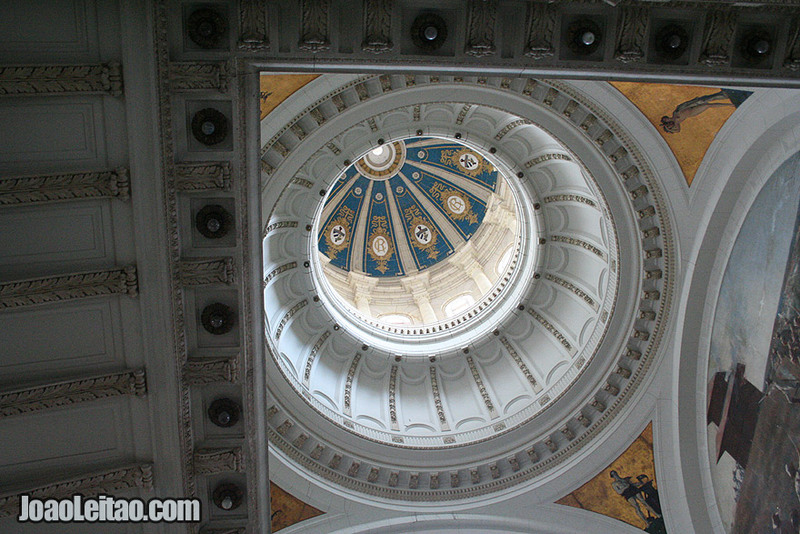 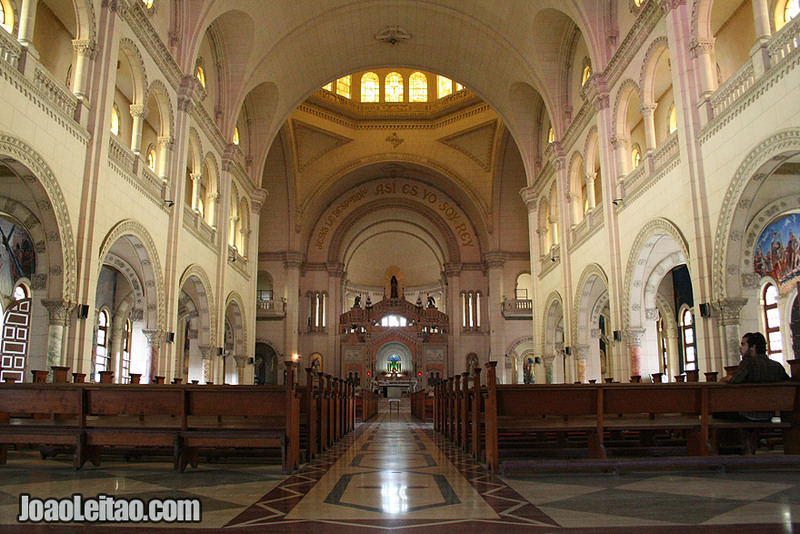 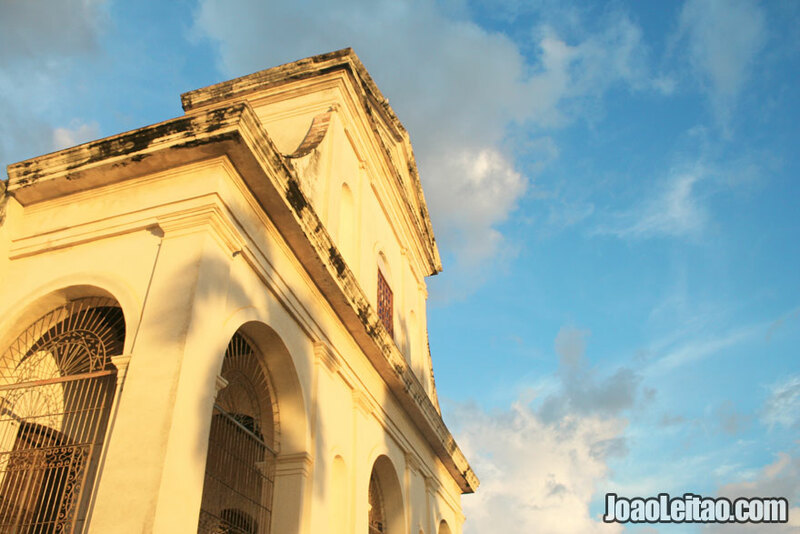 Basilica of Nuestra Senora de la Caridad del Cobre is also known as The National Shrine Basilica of Nuestra Señora de la Caridad del Cobre and is located near Santiago de Cuba. 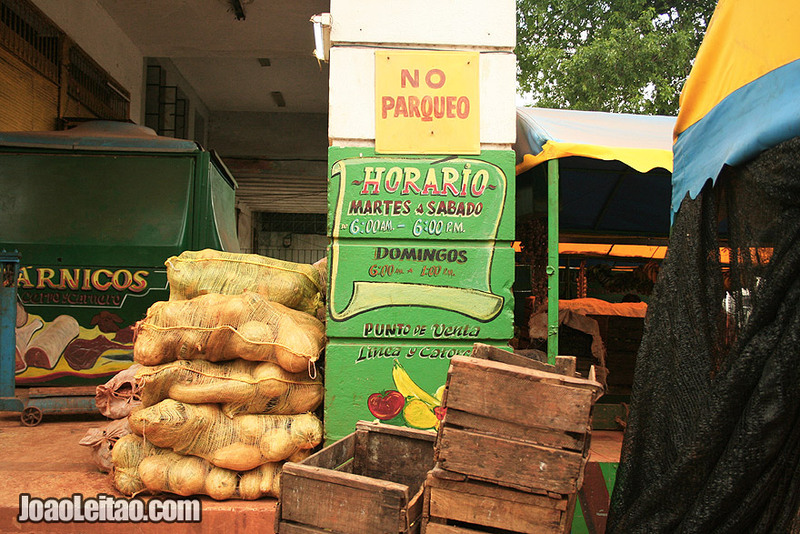 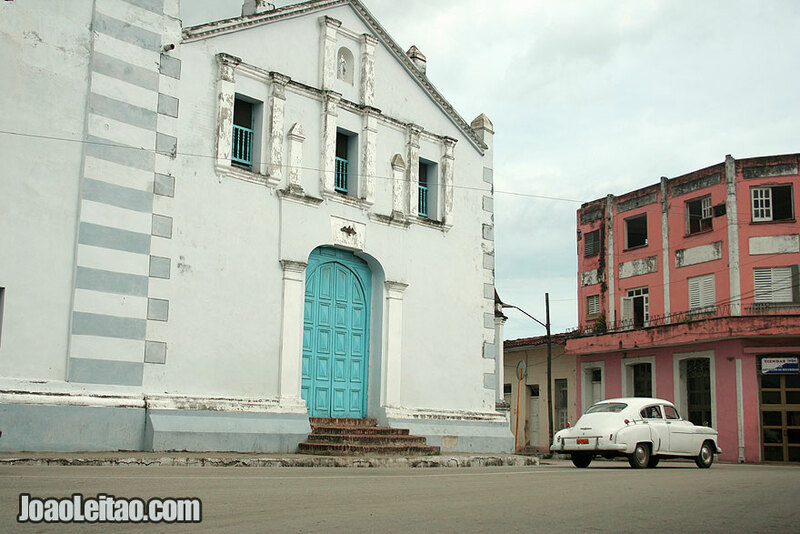 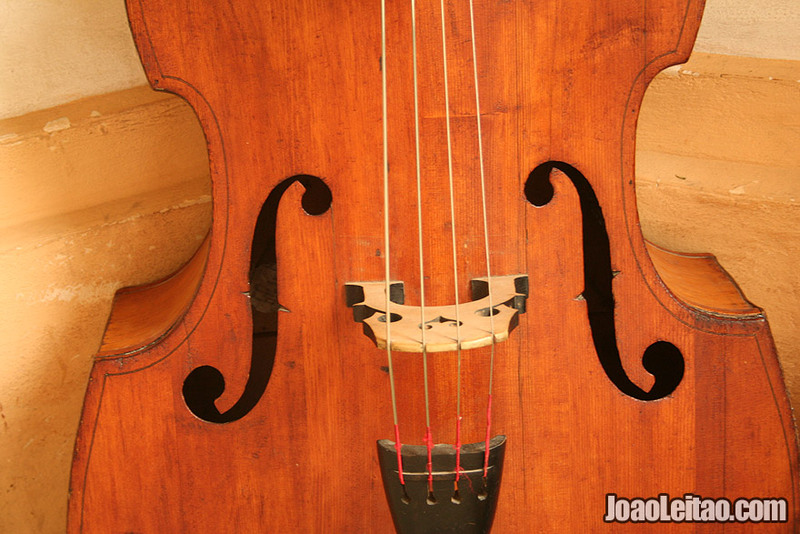 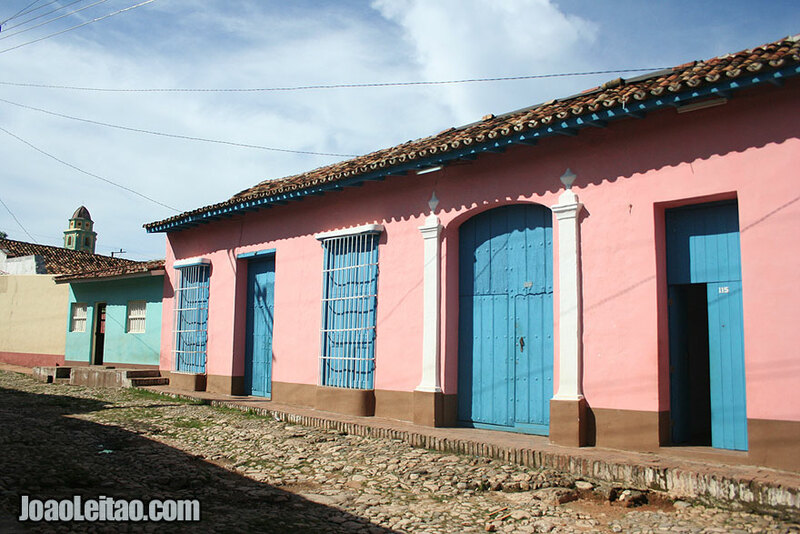 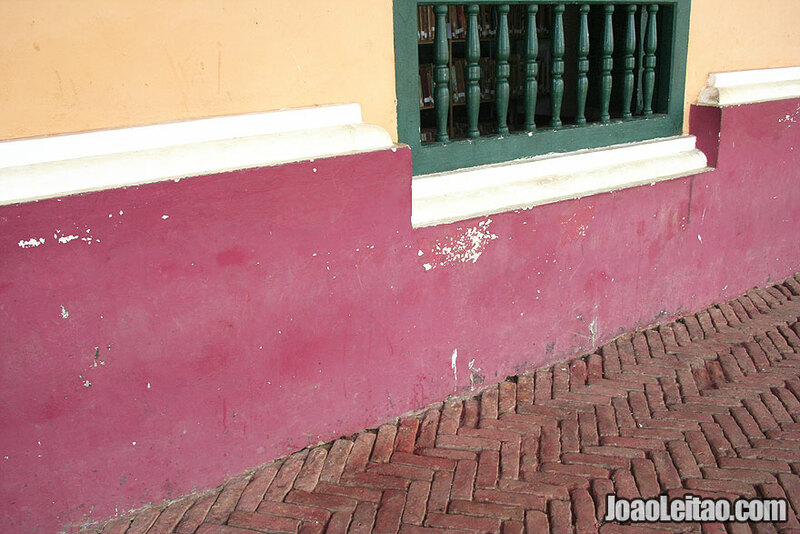 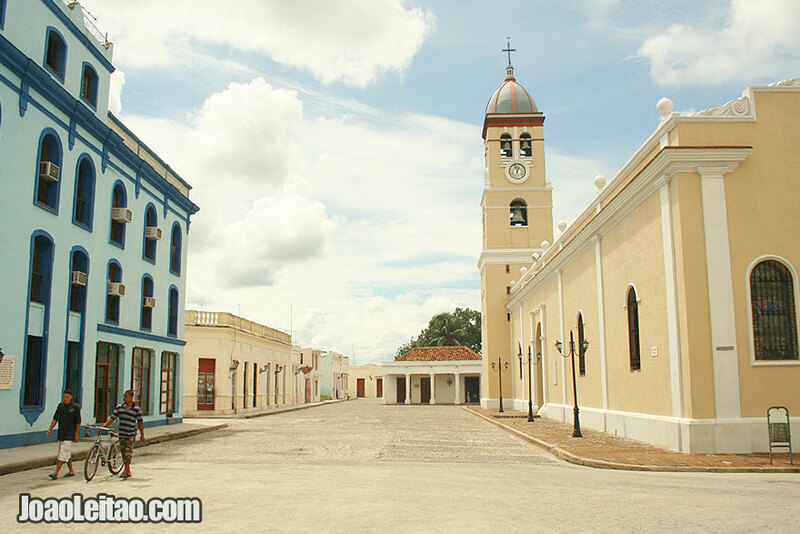 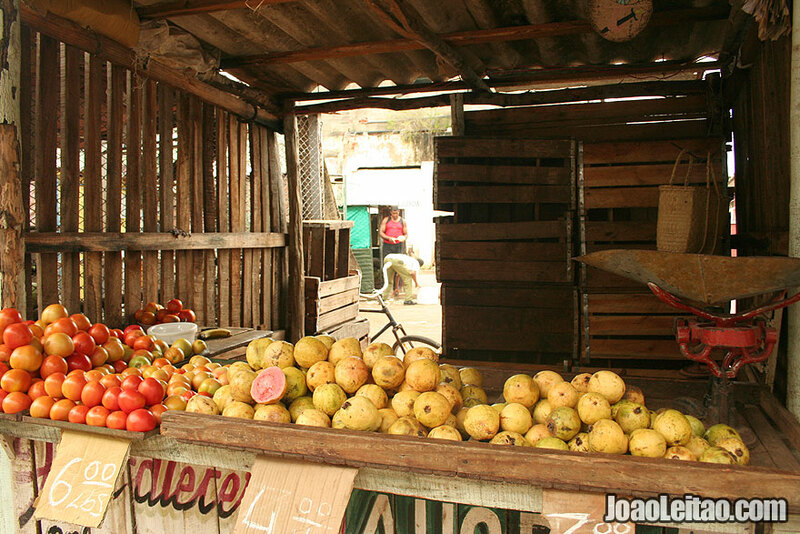 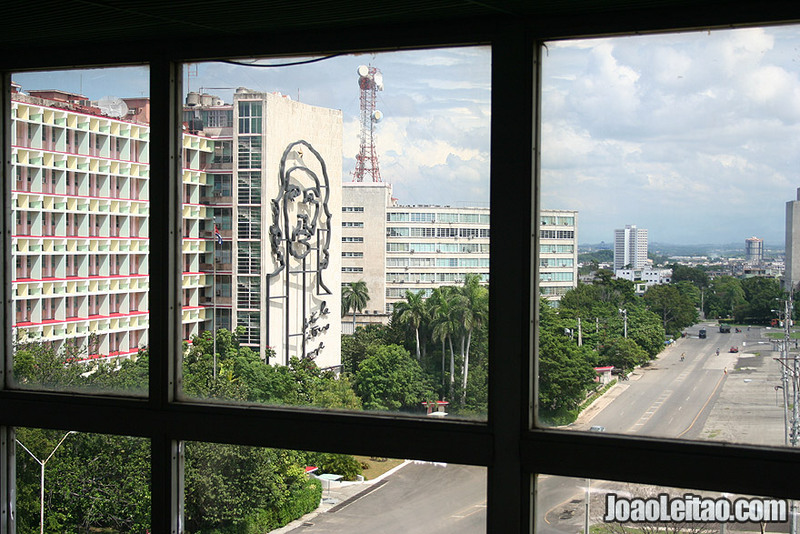 Bayamo is a city with a beautiful historical center. 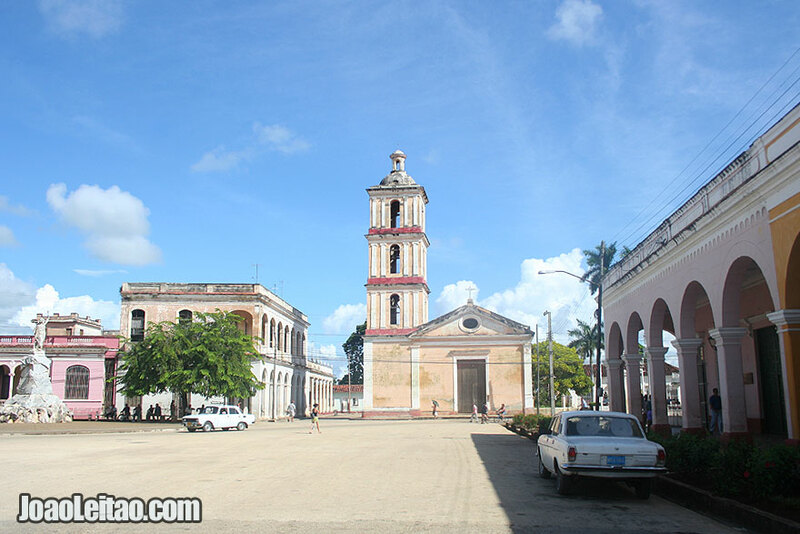 Bayamo was the second of the seven cities founded by Diego Velázquez de Cuéllar and was established in November 5, 1513. 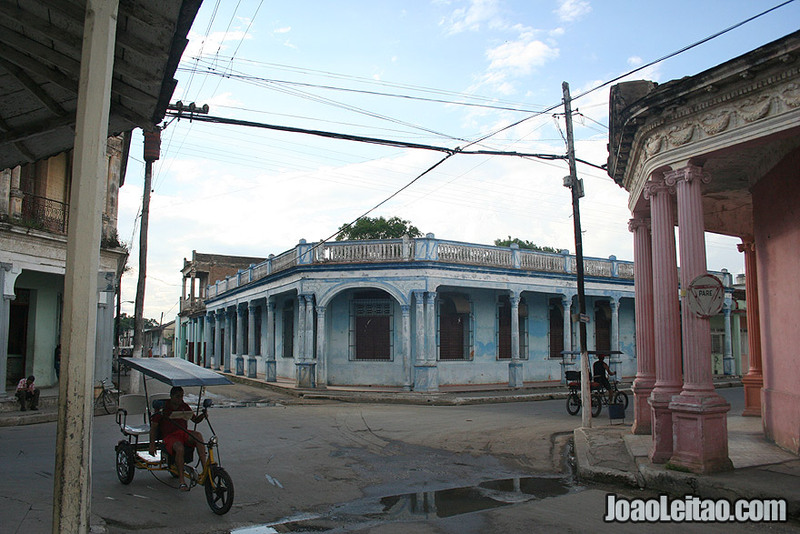 Camaguey is a famous Cuban historical city. 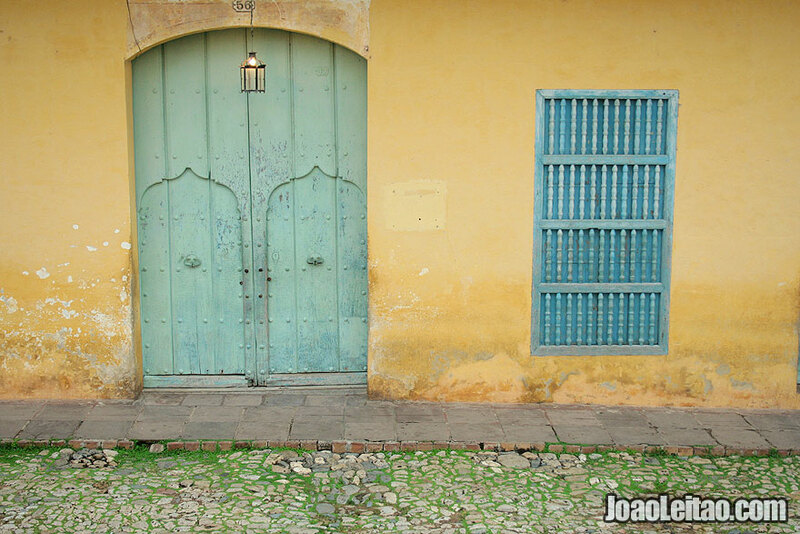 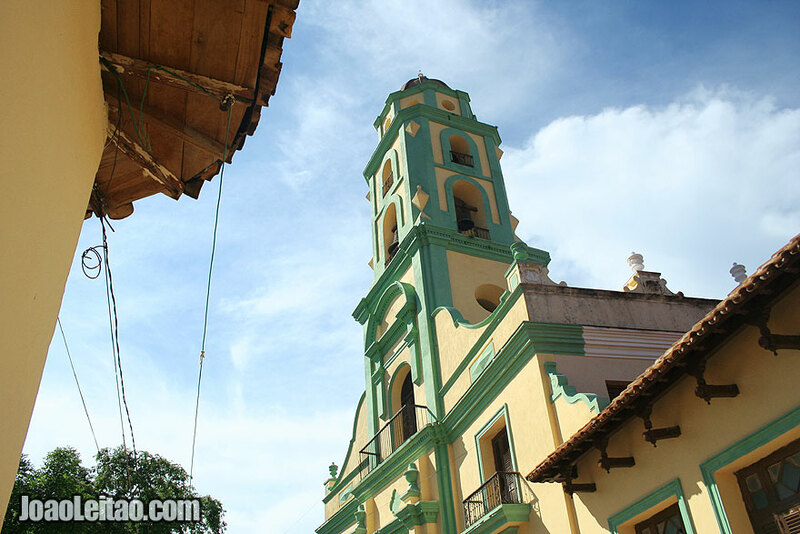 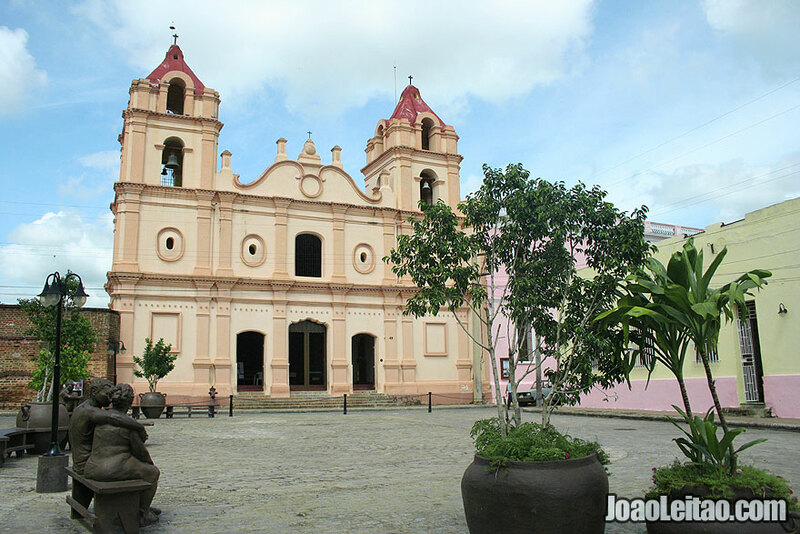 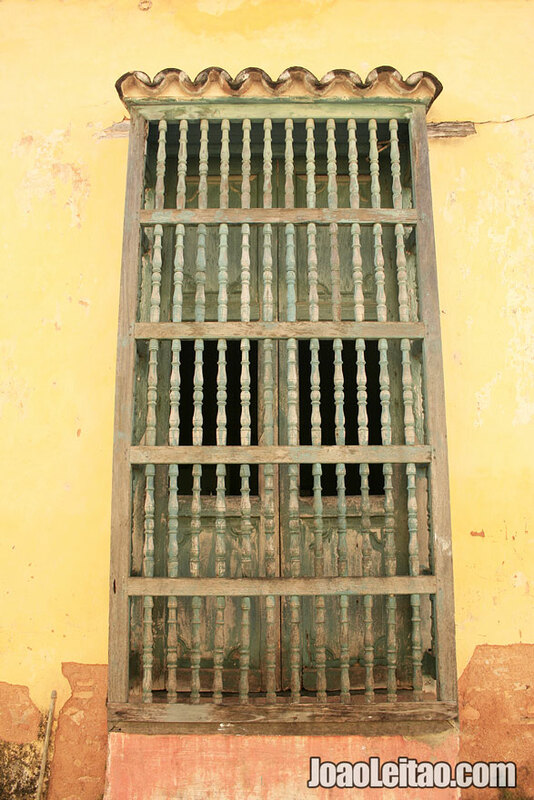 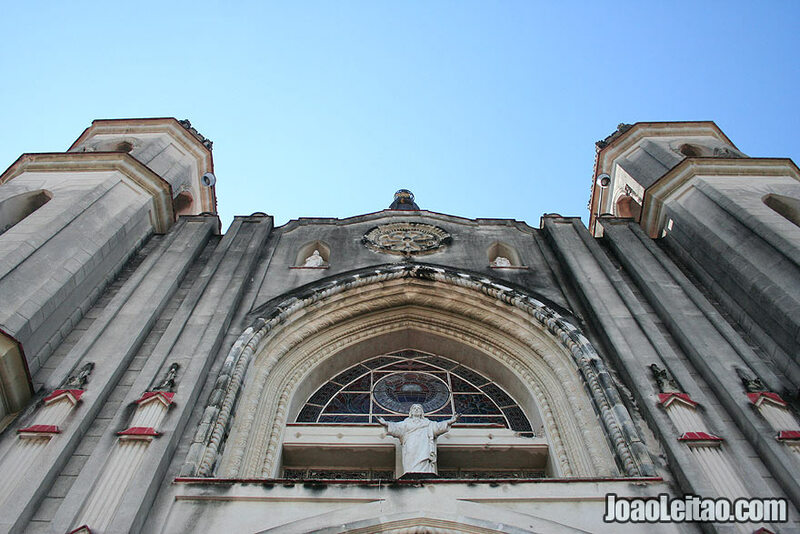 Camaguey has beautiful buildings in the historic center such as the church of Nuestra Señora de la Soledad. 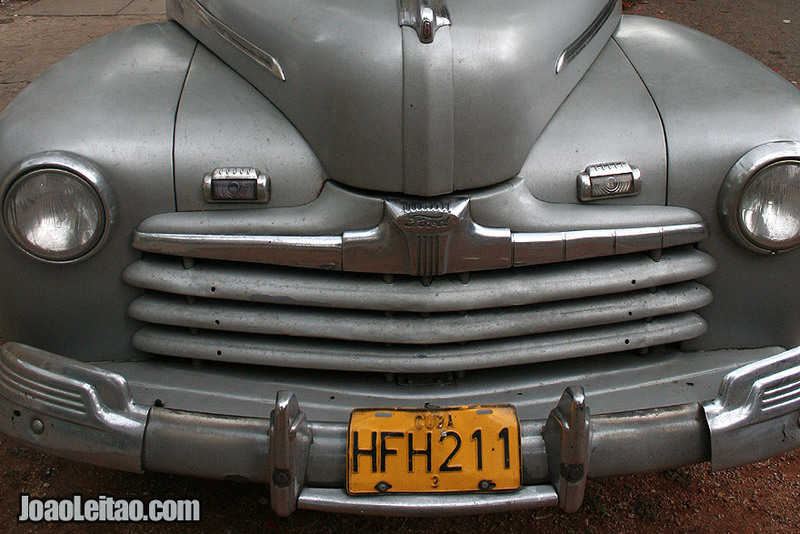 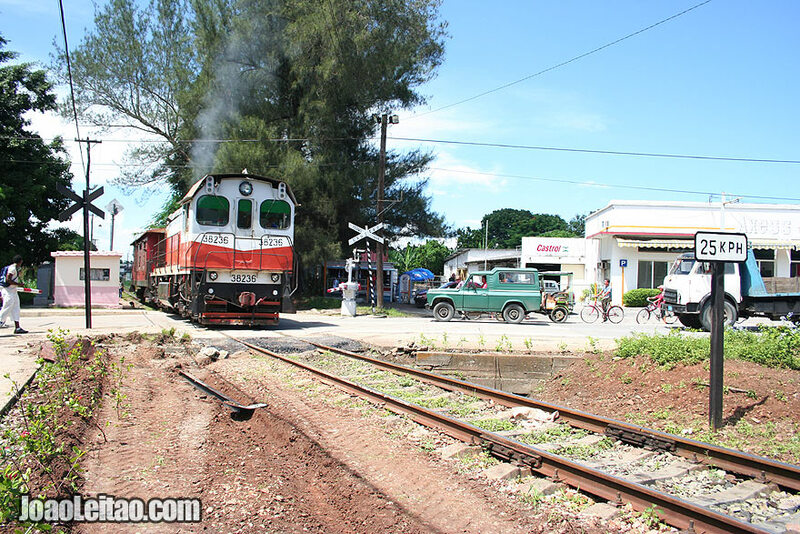 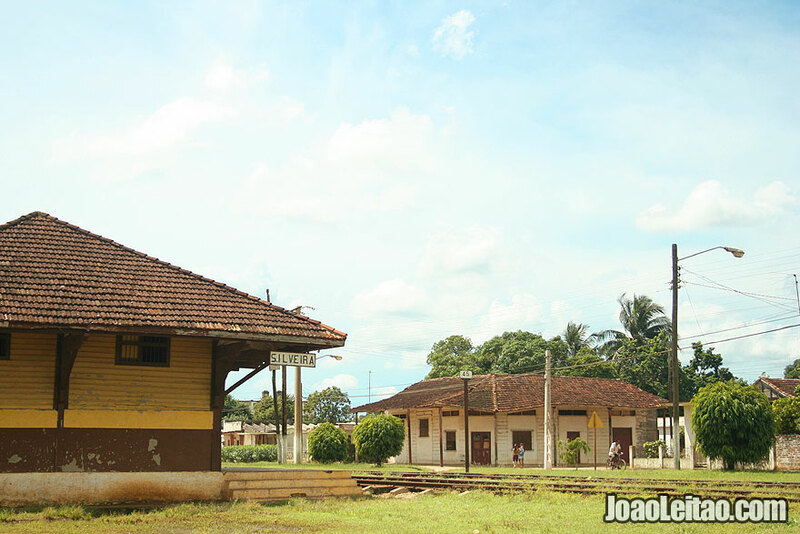 Venezuela village has a small center, a garden, a railway station and many classic cars on the streets. 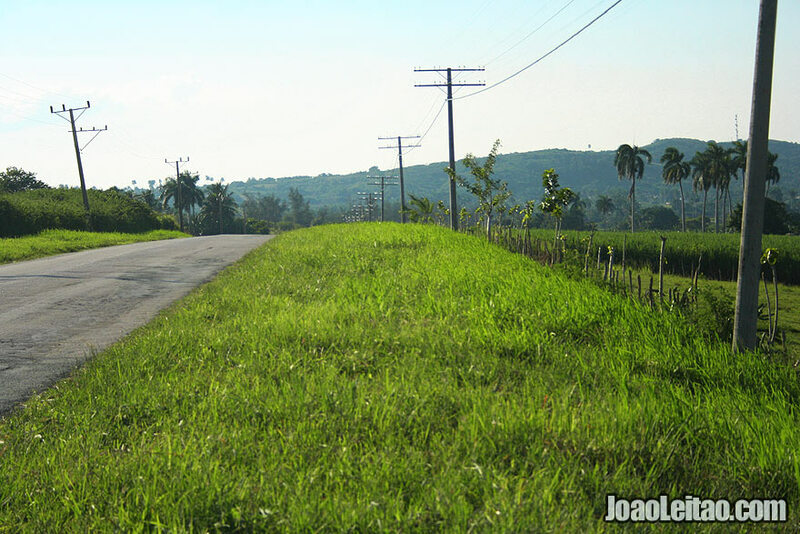 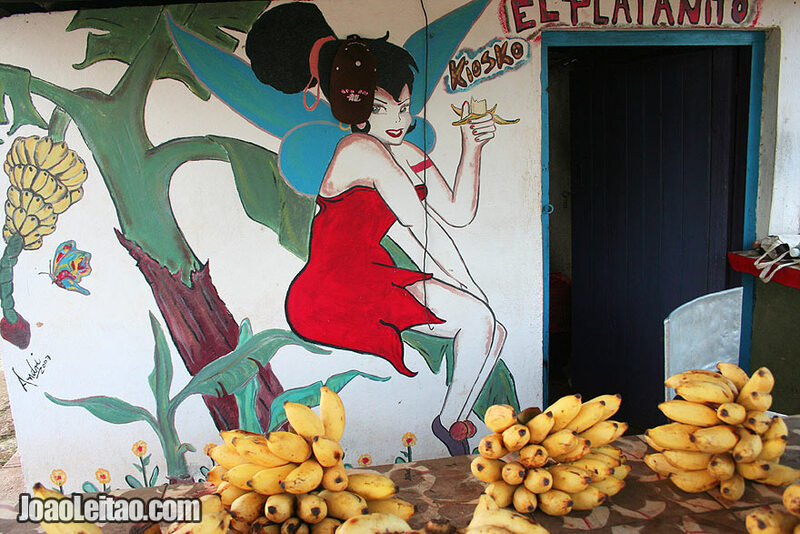 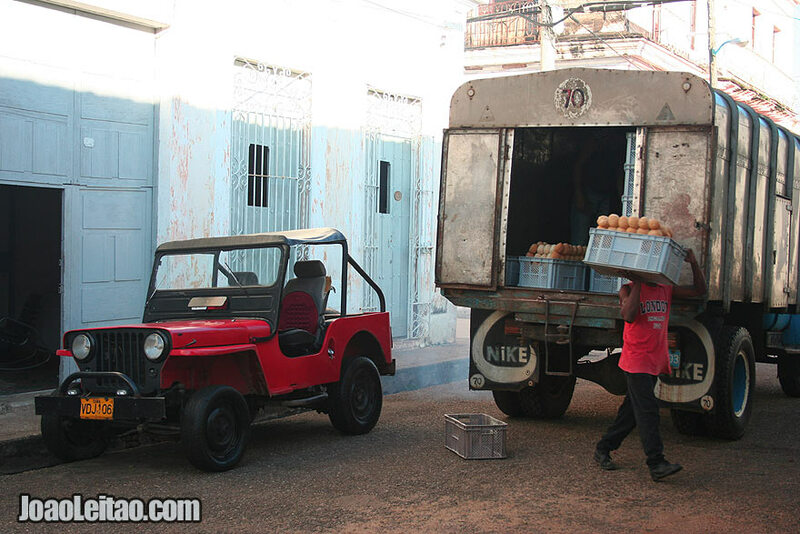 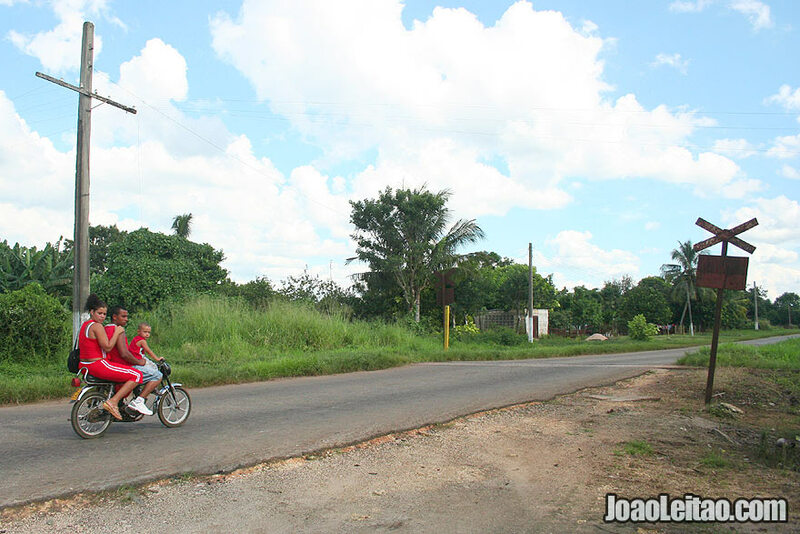 A good example of a small town in the Cuban countryside. 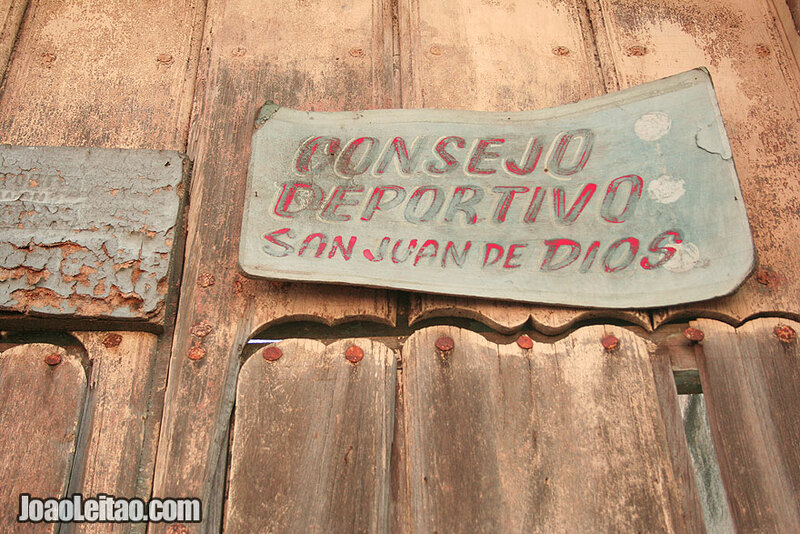 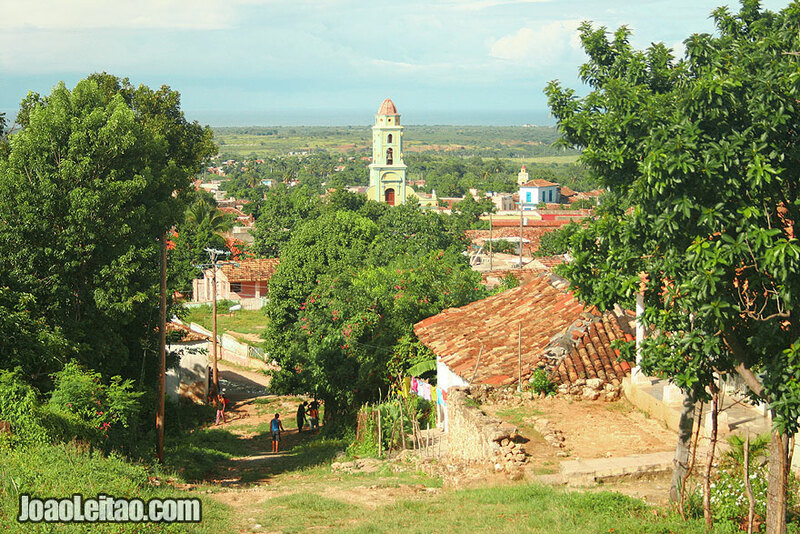 Sancti Spiritus is a city on the road between Ciego de Ávila and Trinidad, and has the oldest church in Cuba. 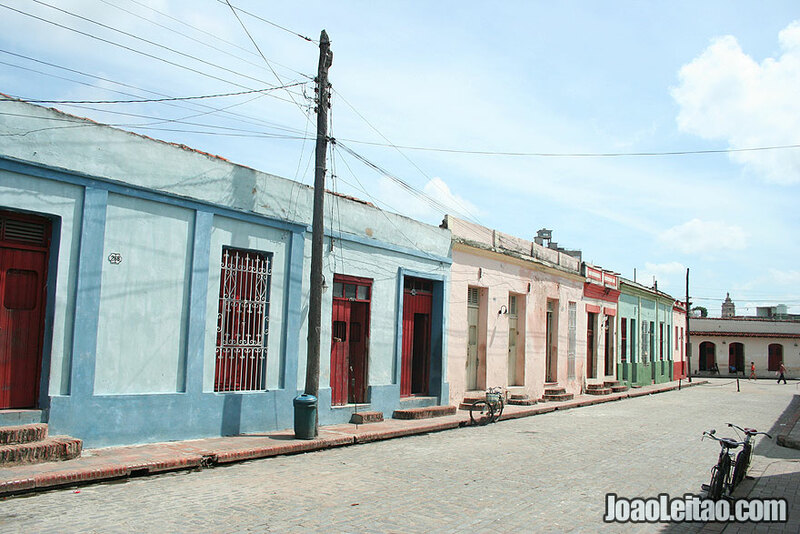 At the time I visited it there were many festivities talking place, so the streets were filled with people and stalls with food and drinks. 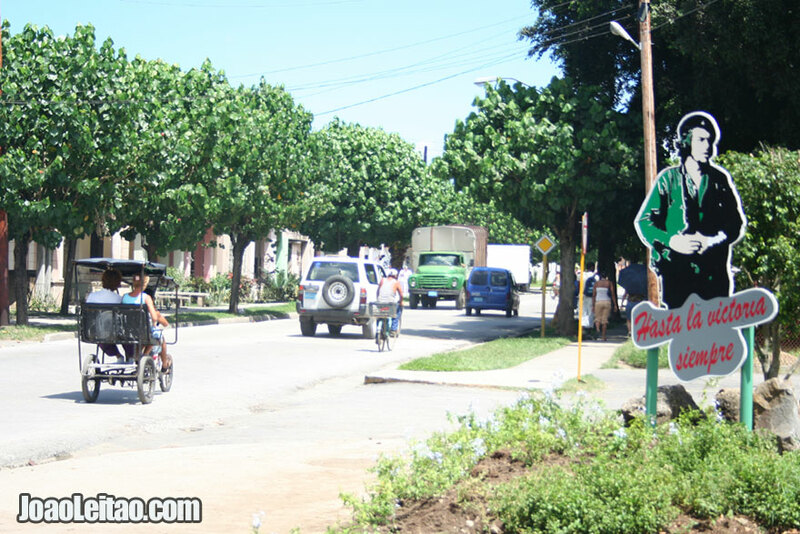 The city of Sancti Spiritus was founded by Diego Velázquez de Cuéllar in 1514. 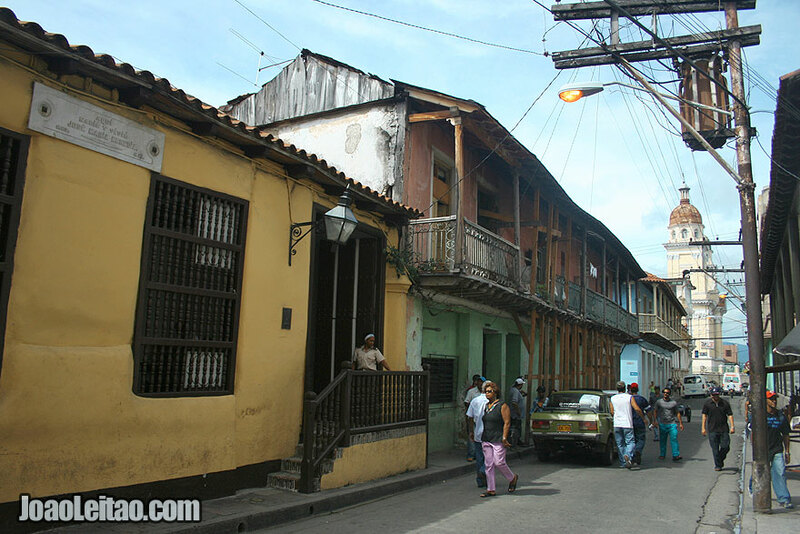 Trinidad city was founded in December 23, 1514, by Diego Velázquez de Cuéllar. 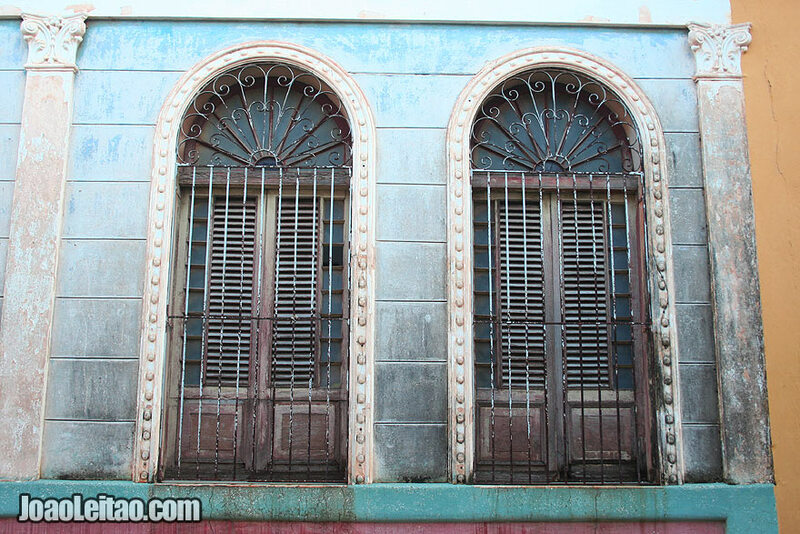 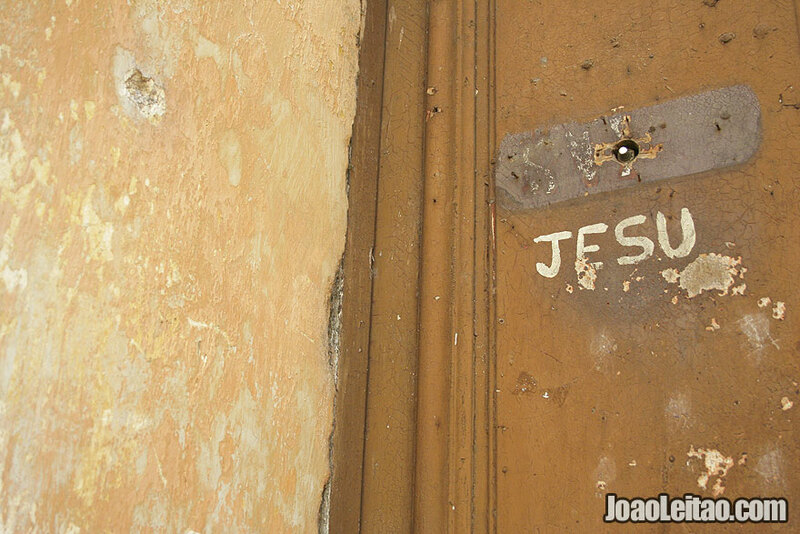 Its original name is Villa De la Santisima Trinidad. 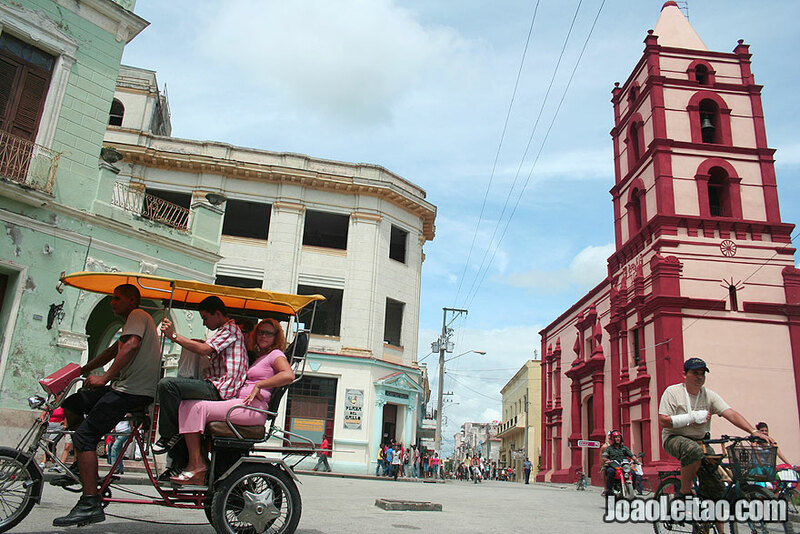 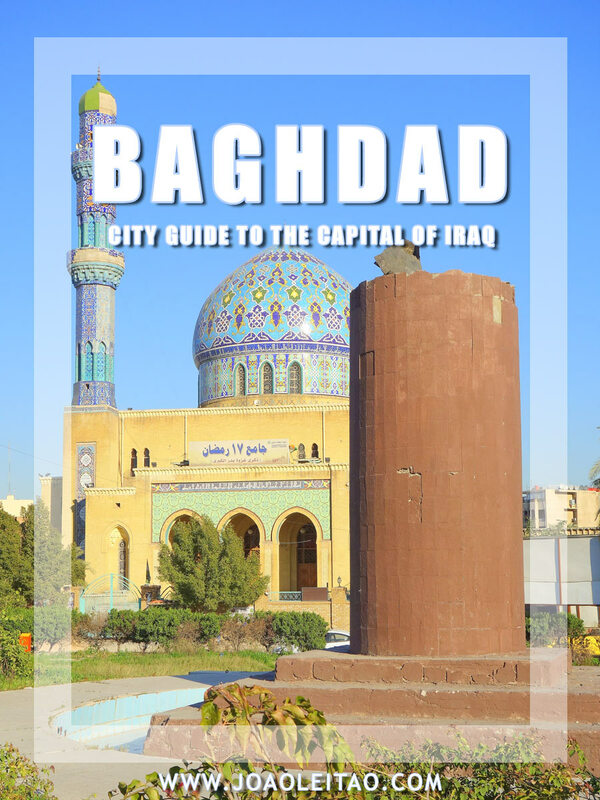 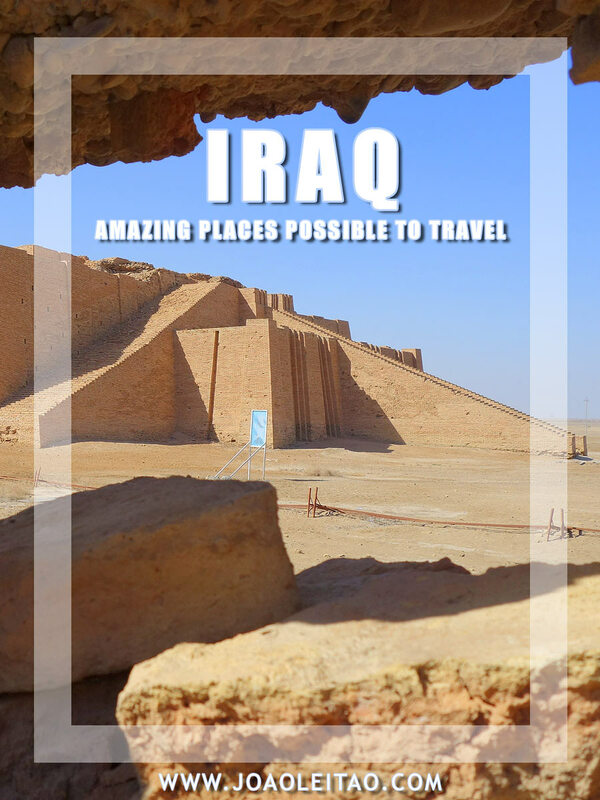 I loved this city, its people, its historical center. 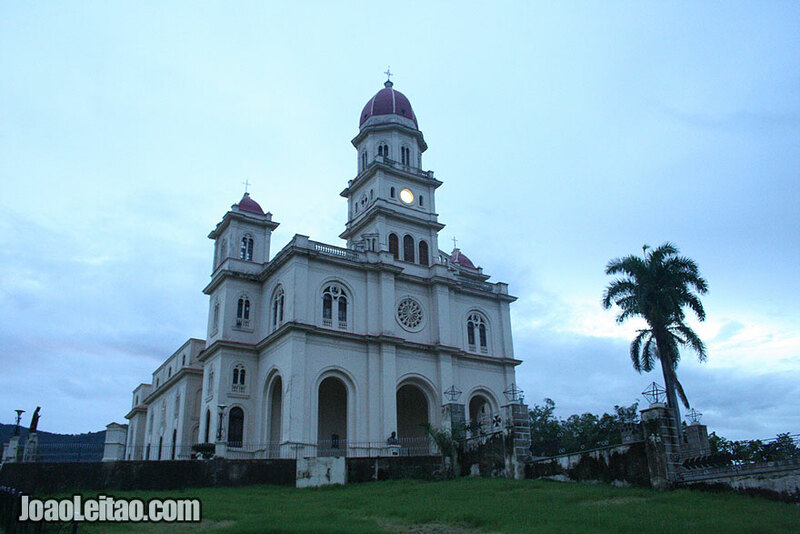 Trinidad is a UNESCO World Heritage site. 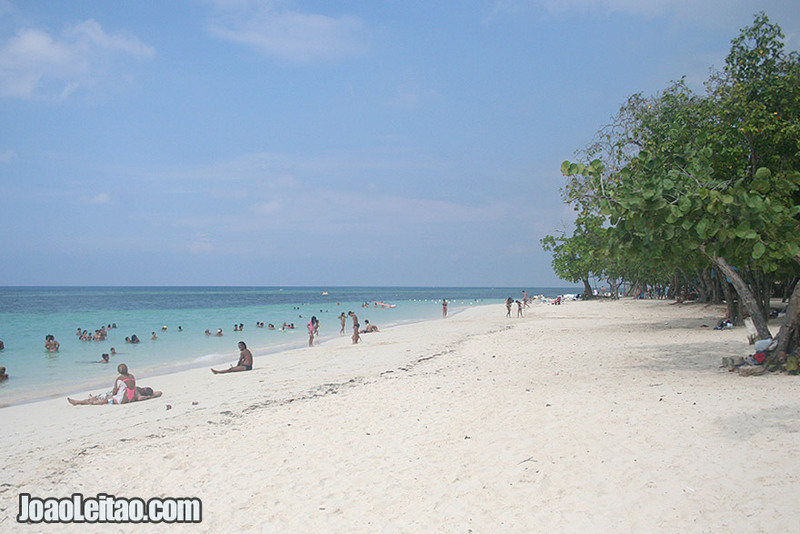 Playa de Ancon beach is on the Caribbean Sea, a few kilometers south of the city of Trinidad. 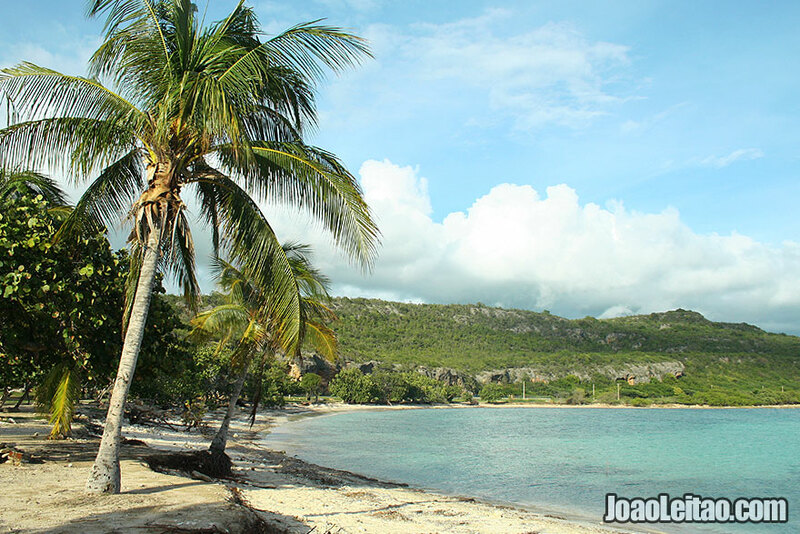 Playa de Ancon is famous for its beauty, tranquility, with plenty of palm trees, white sand beaches and crystal clear water. 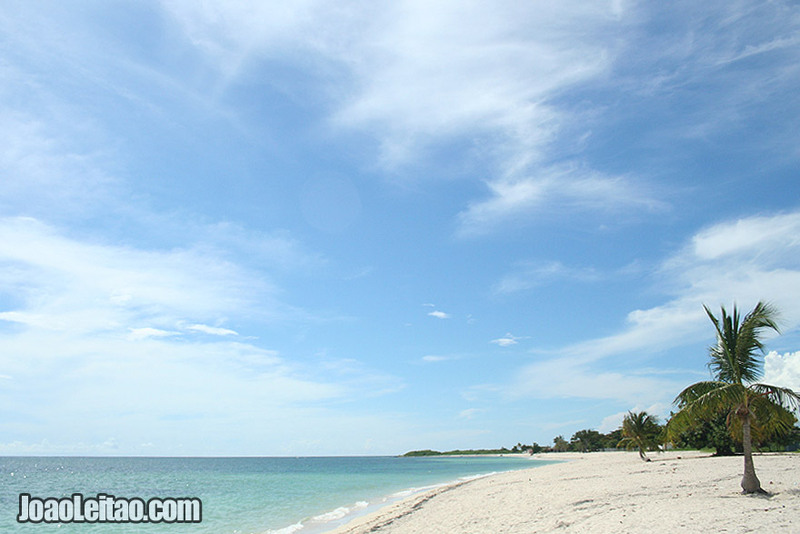 Cayo Jutias in Bahía de Santa Lucía is a beach in the northern part of the island of Cuba. 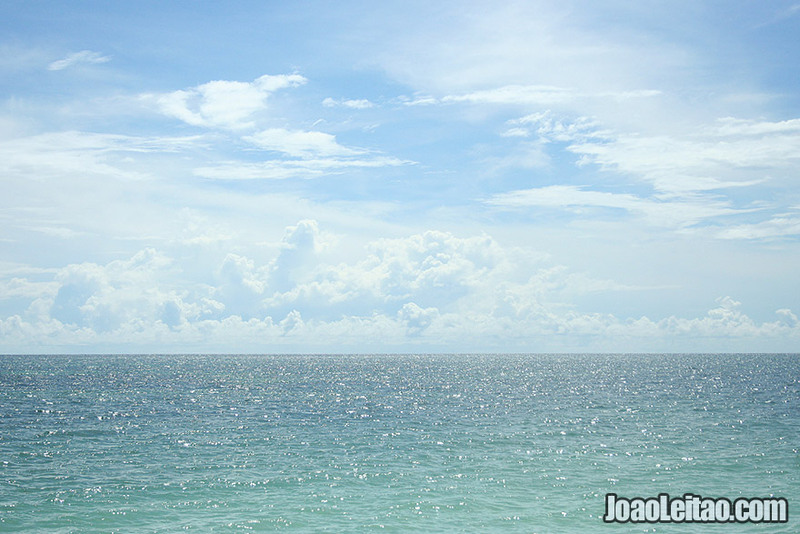 White sand beaches and crystal clear water. 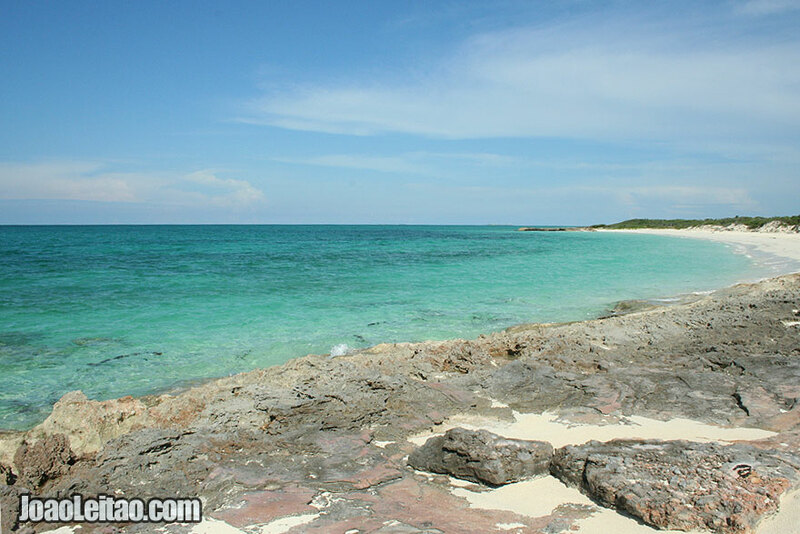 This beach is called Cayo Jutias, which is basically the name of a small island off the coast of Santa Lucía. 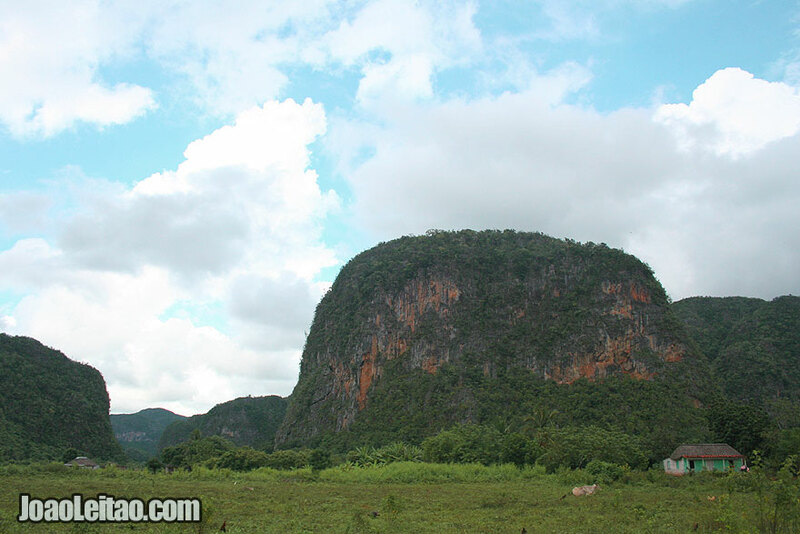 Viñales is a very nice place west of Havana. 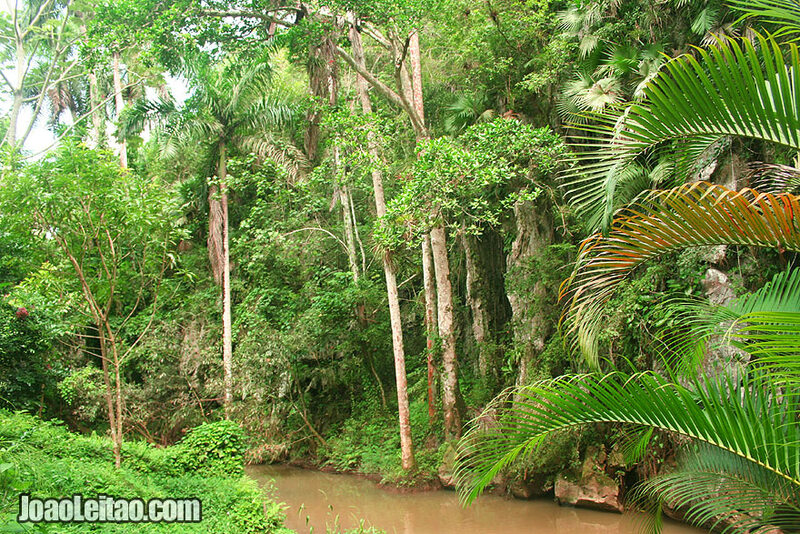 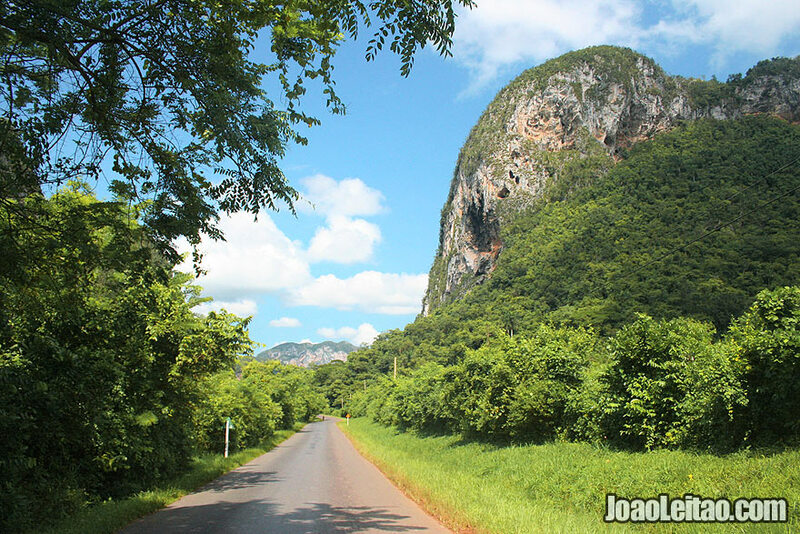 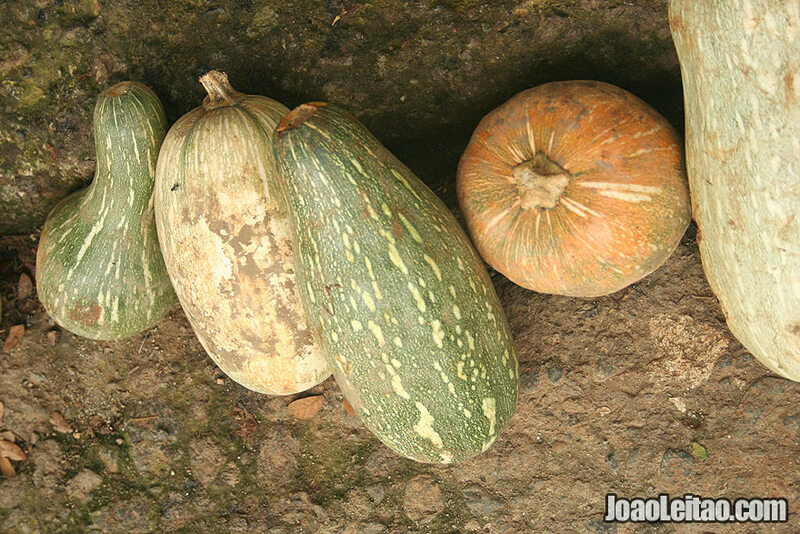 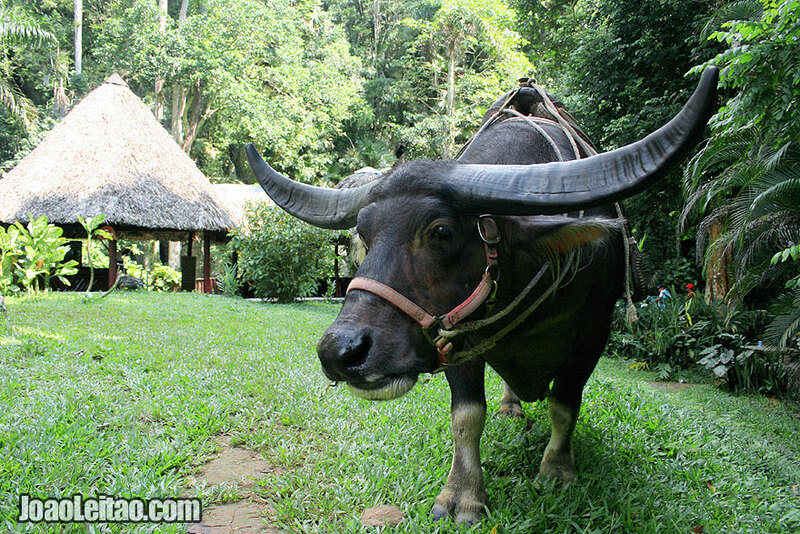 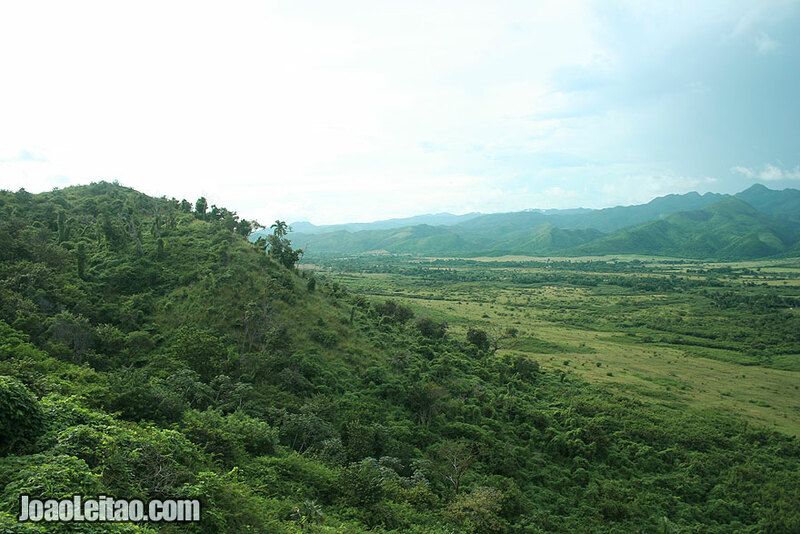 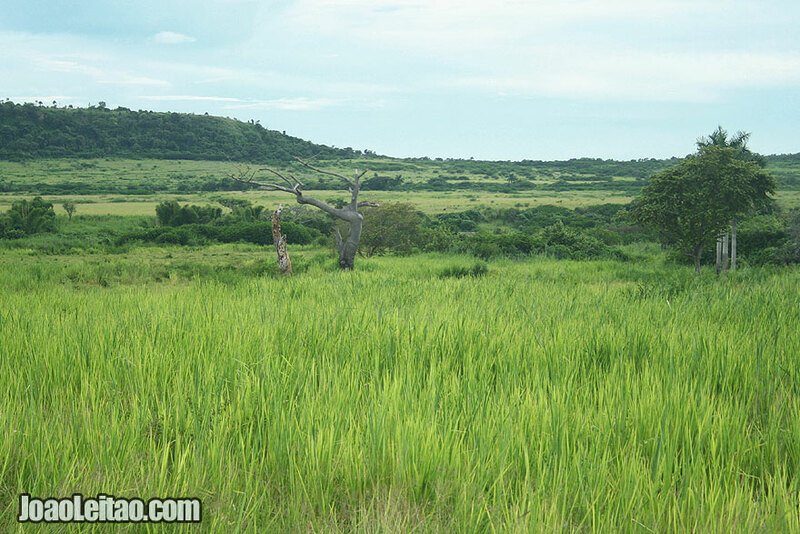 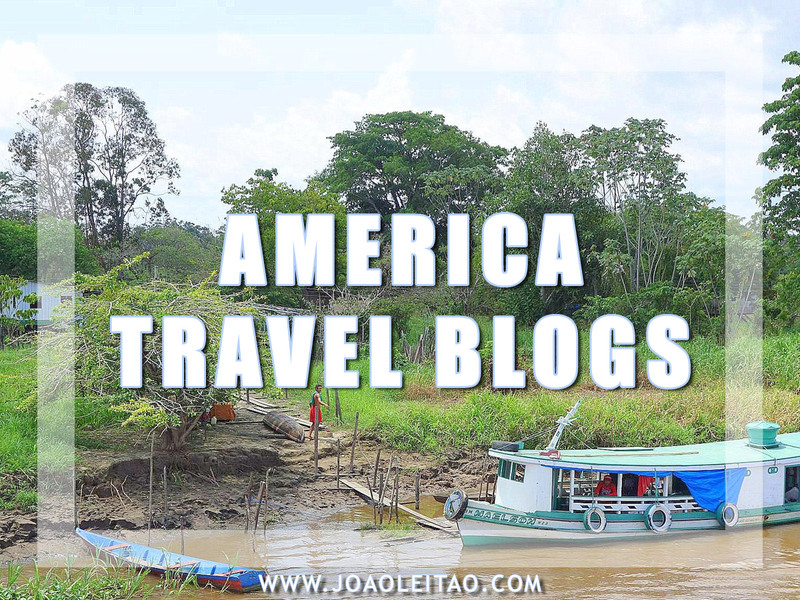 Viñales is a UNESCO World Heritage site that has a natural park, several caves, rocky mountains and jungle. 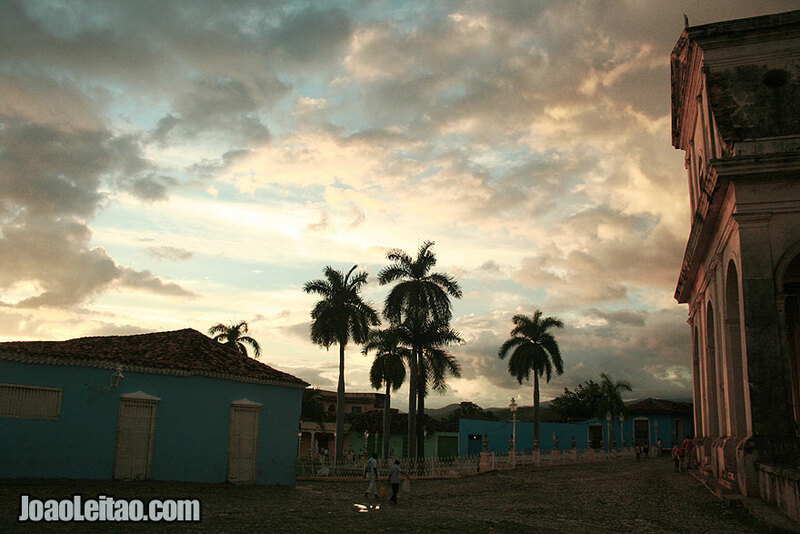 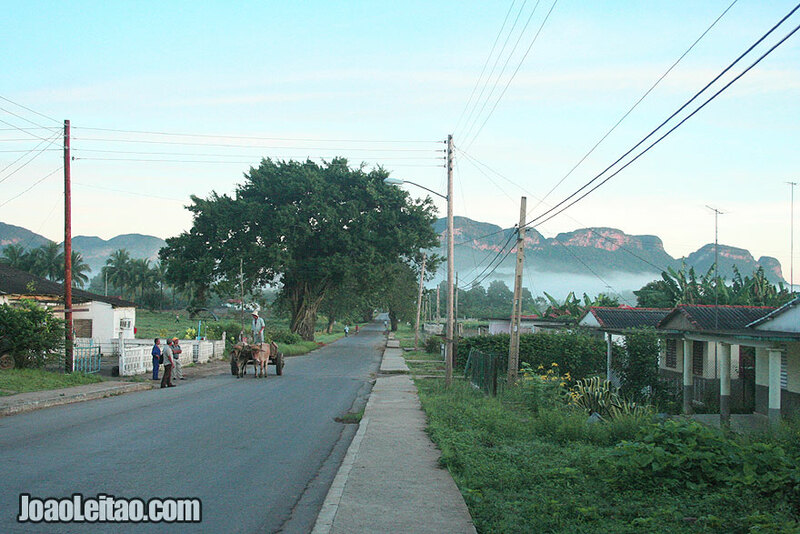 Apart from the fantastic landscapes, Viñales village is also very nice, quiet and has beautiful sunsets. 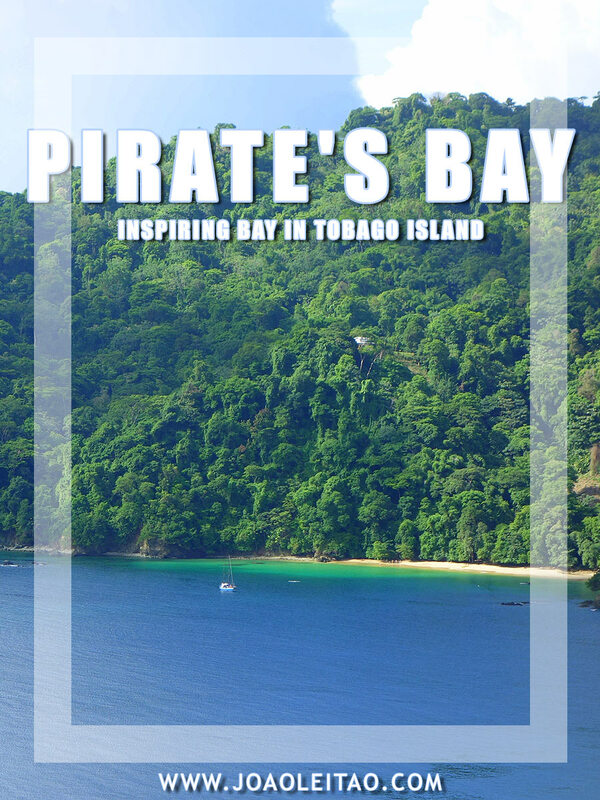 And how about you? 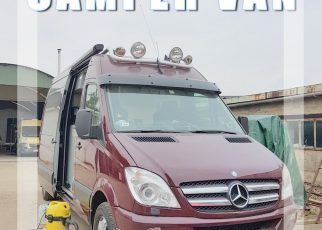 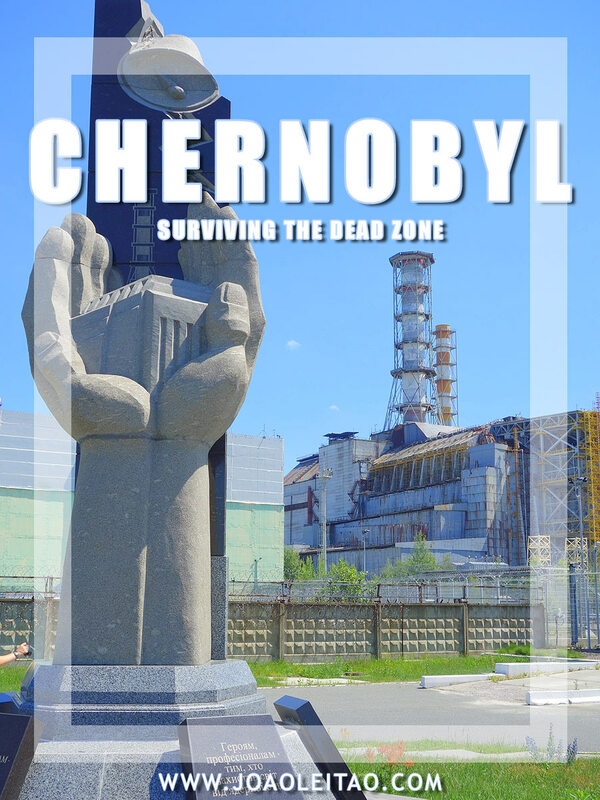 Was this page useful? 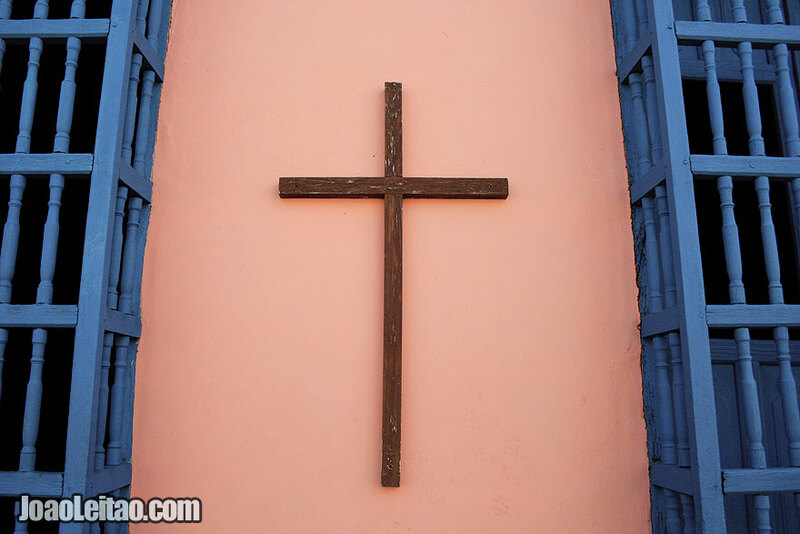 Please share and leave a comment below.